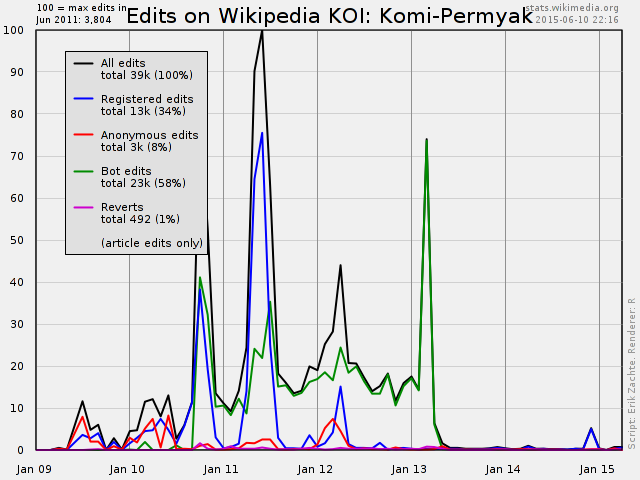 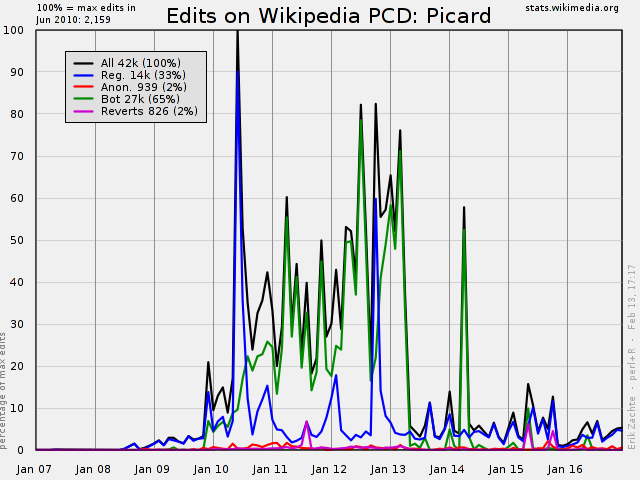 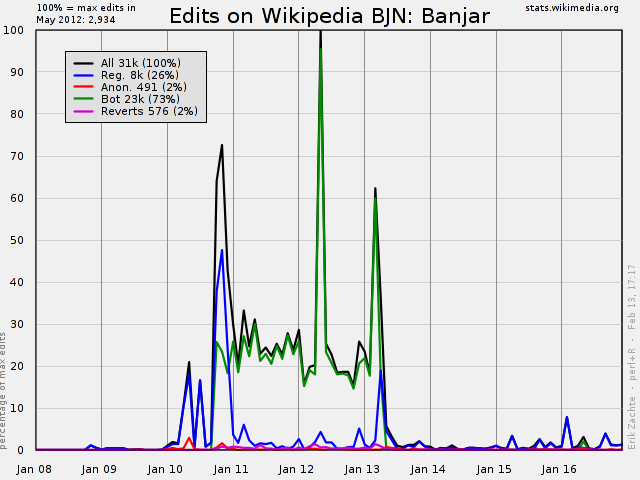 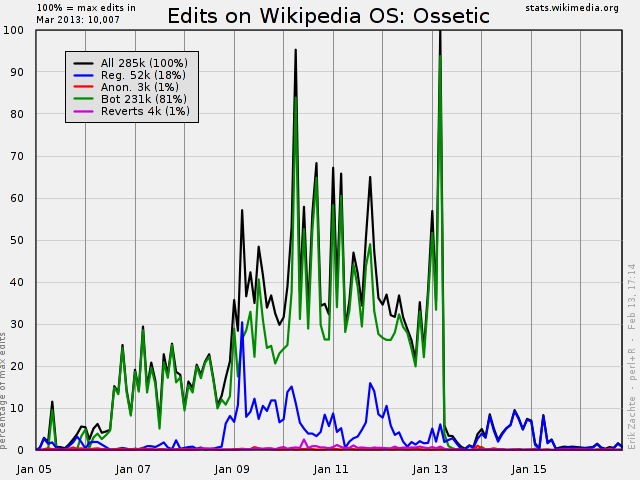 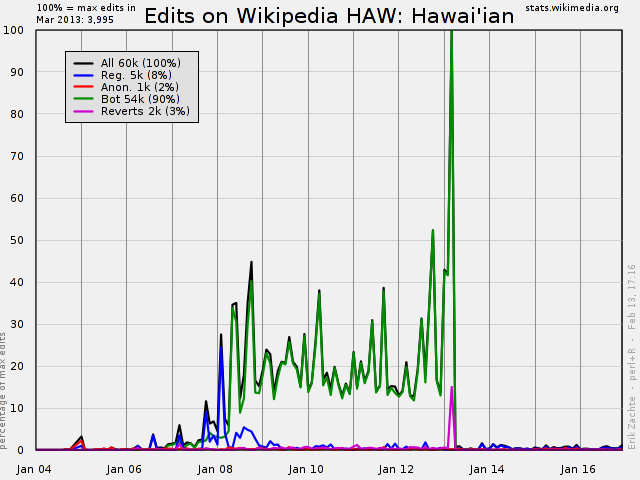 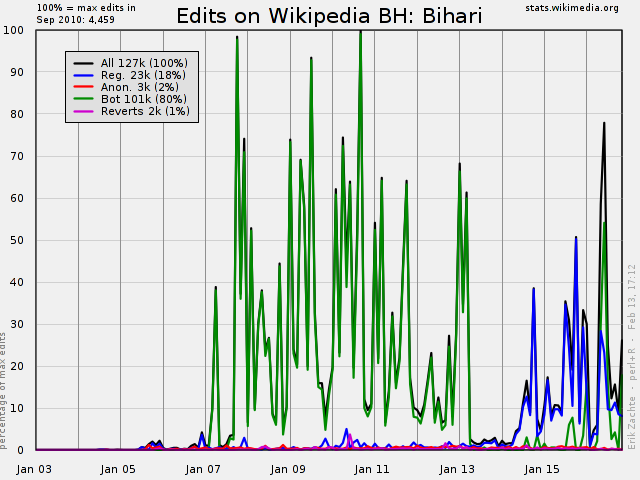 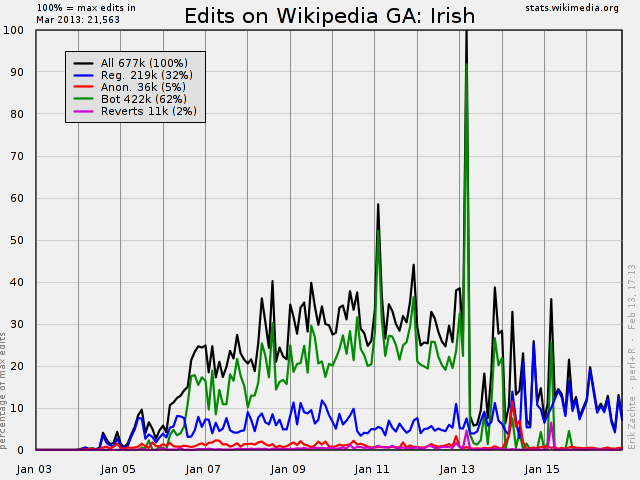 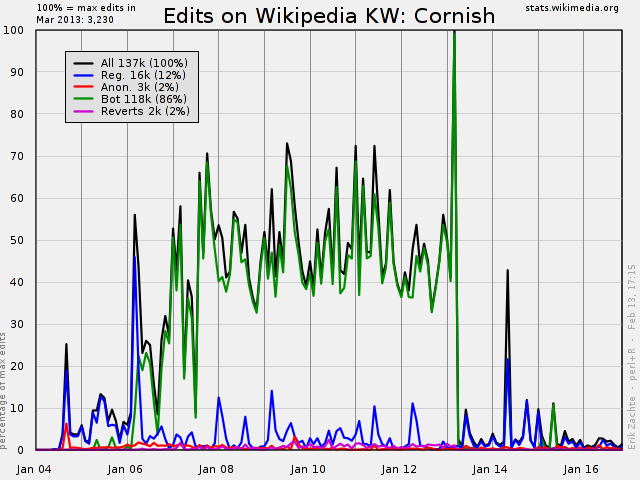 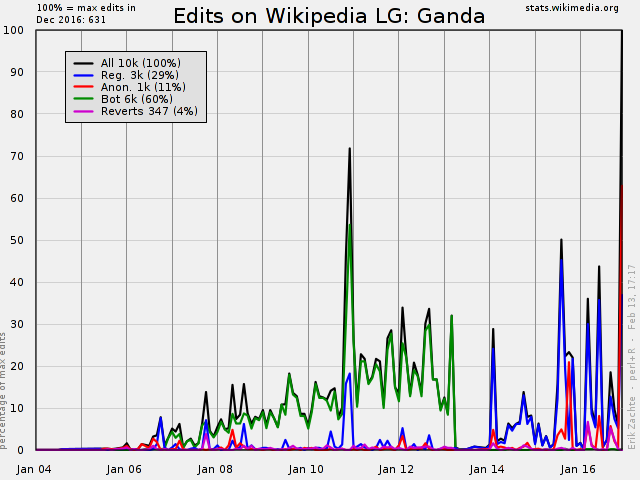 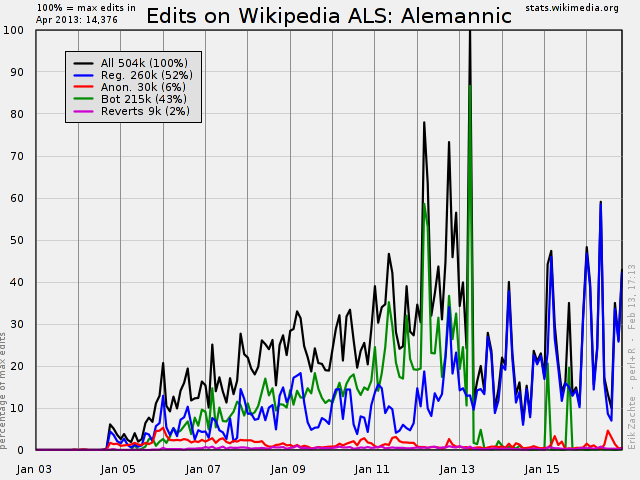 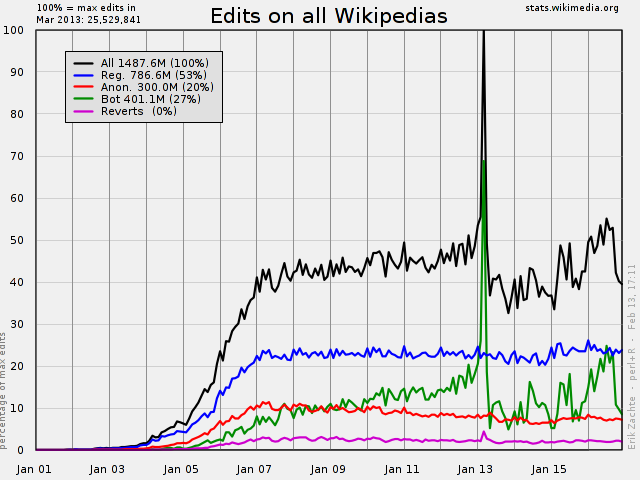 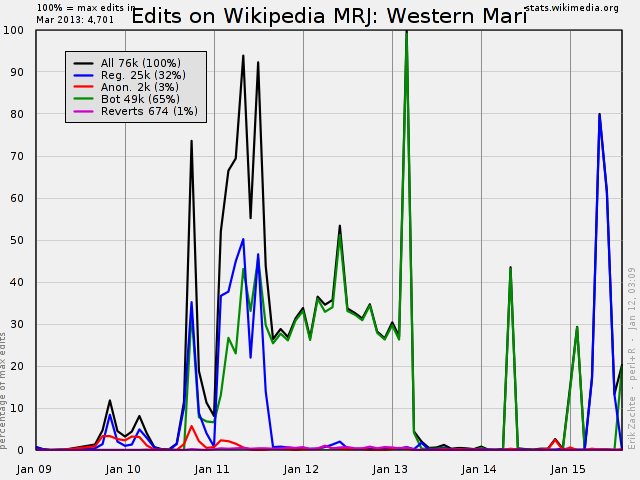 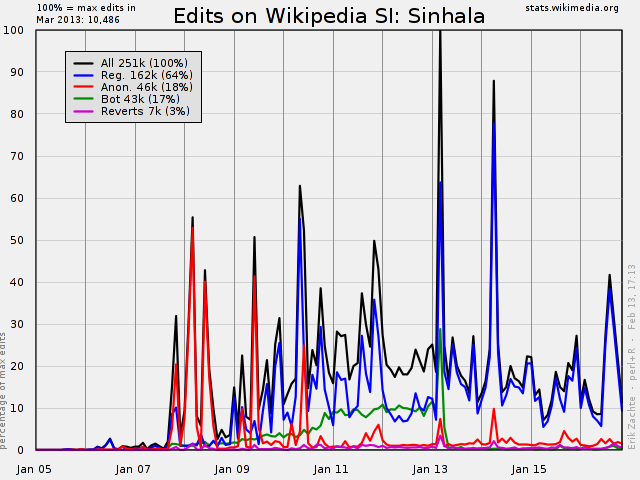 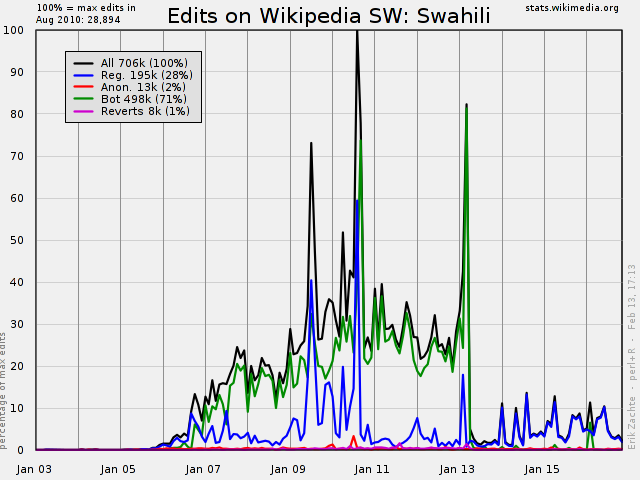 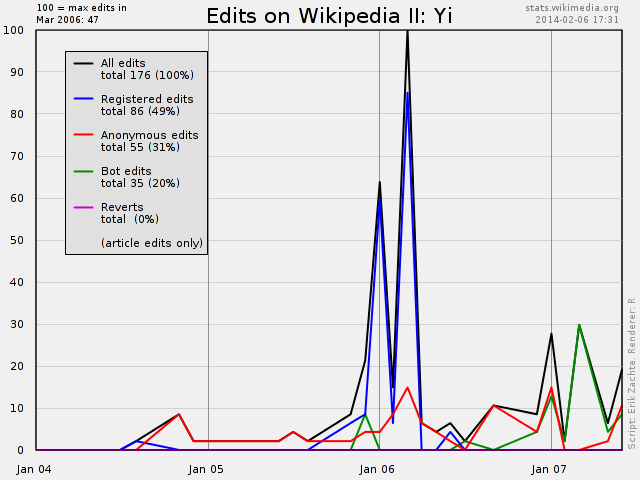 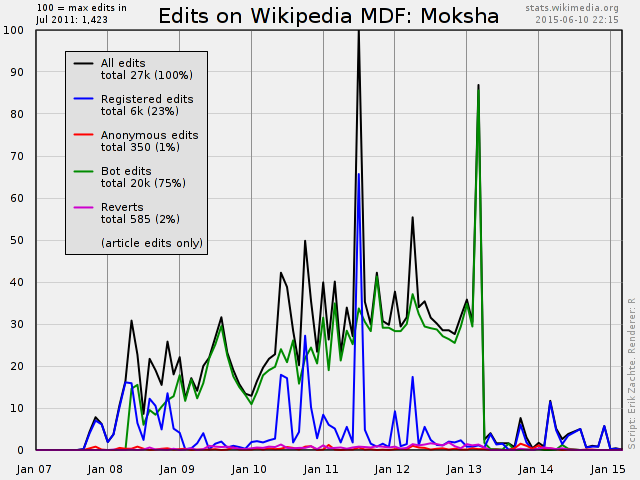 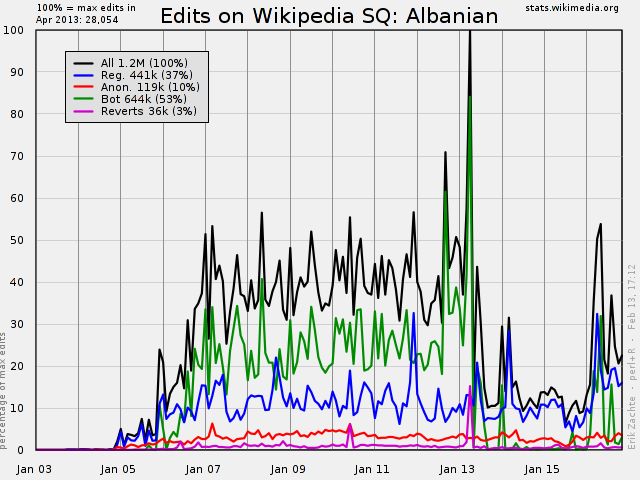 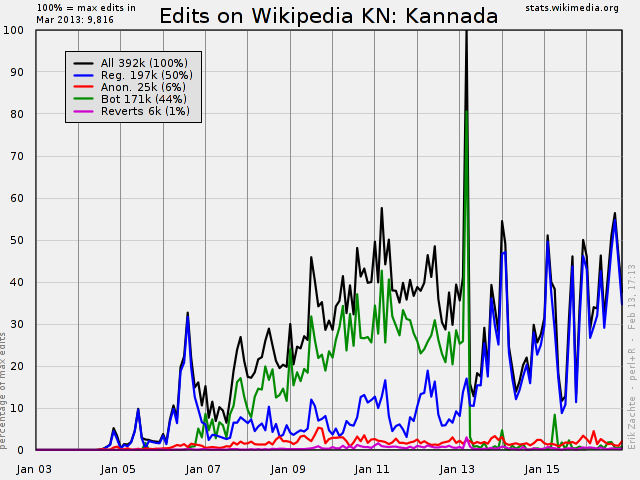 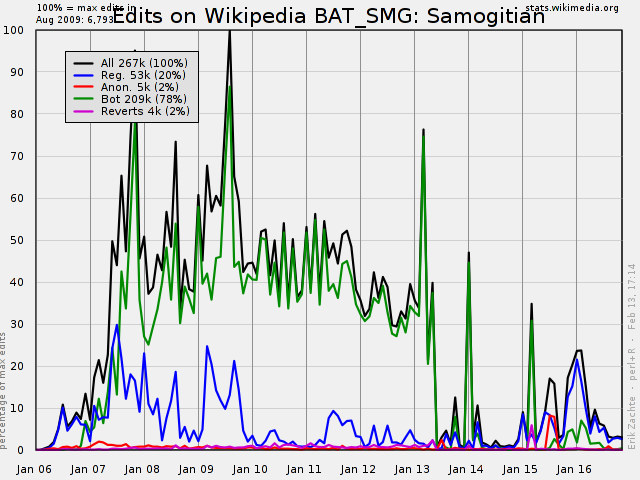 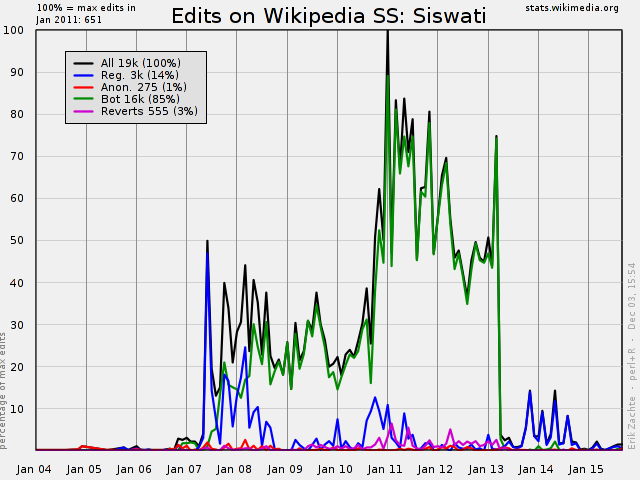 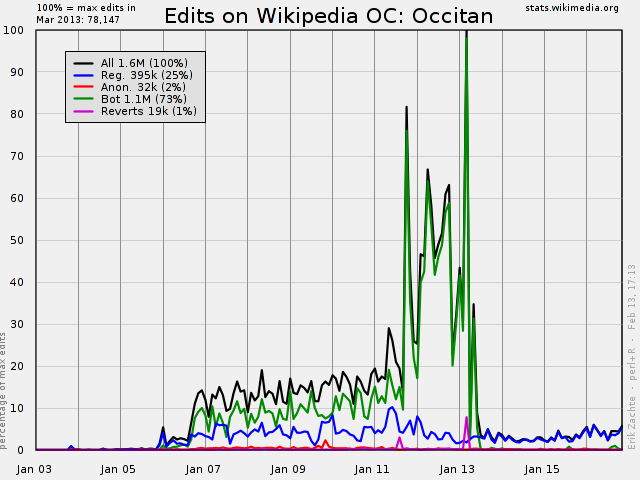 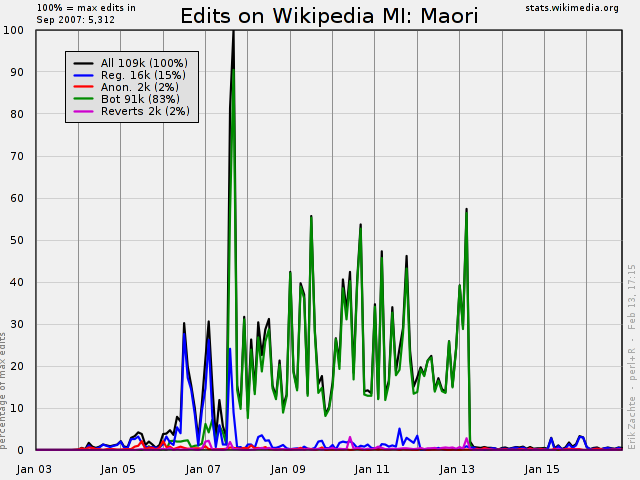 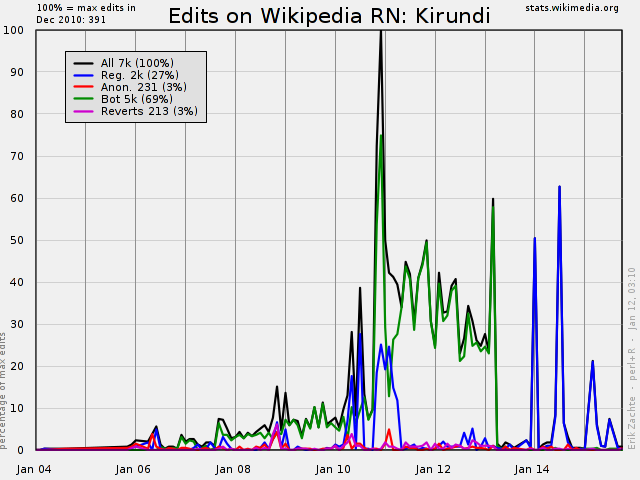 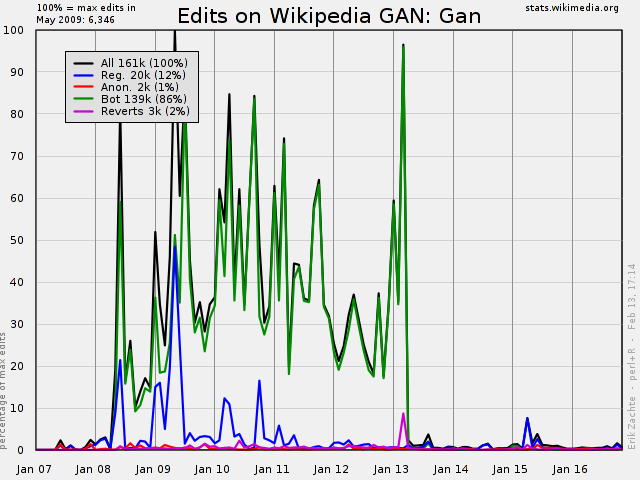 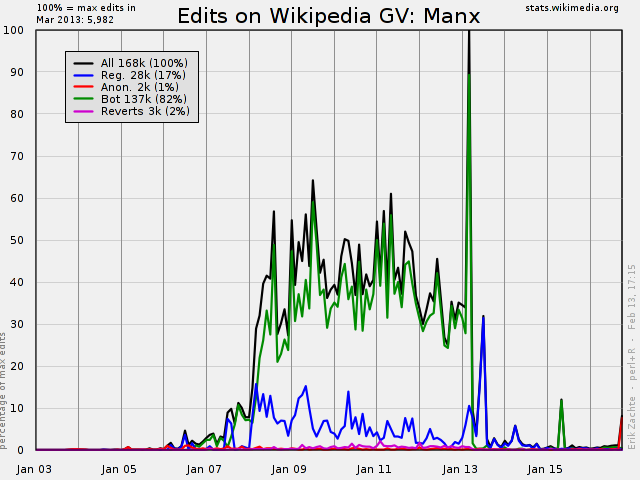 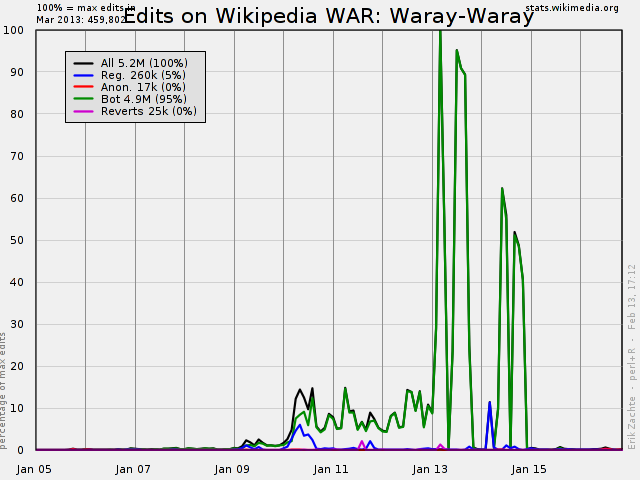 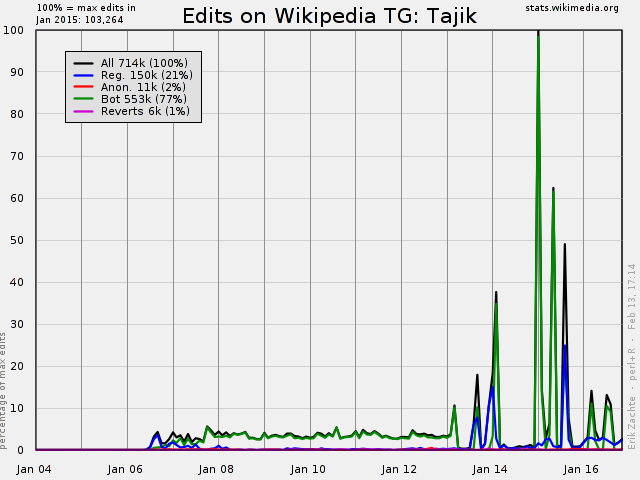 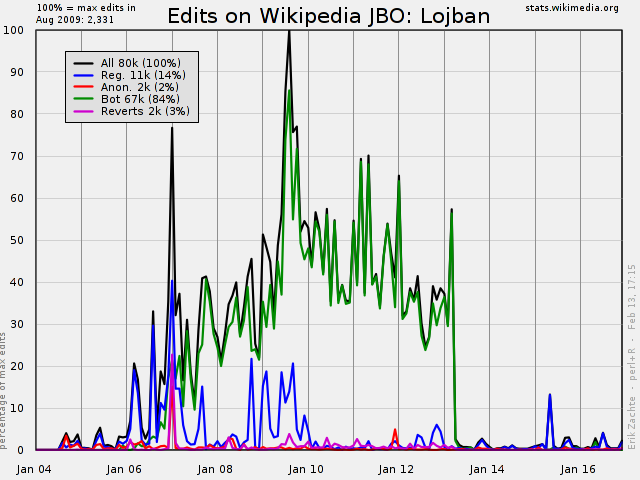 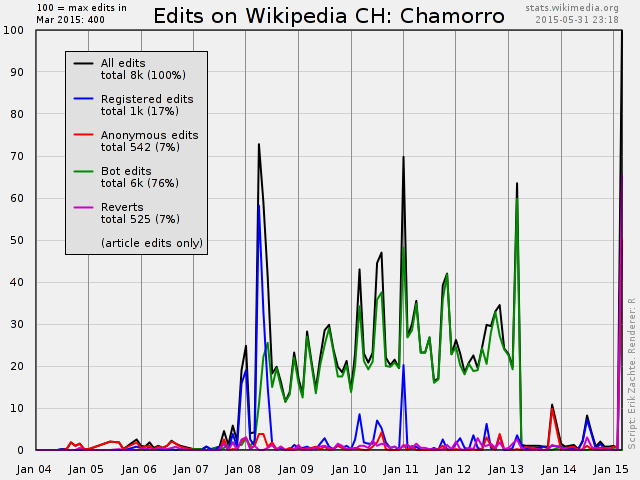 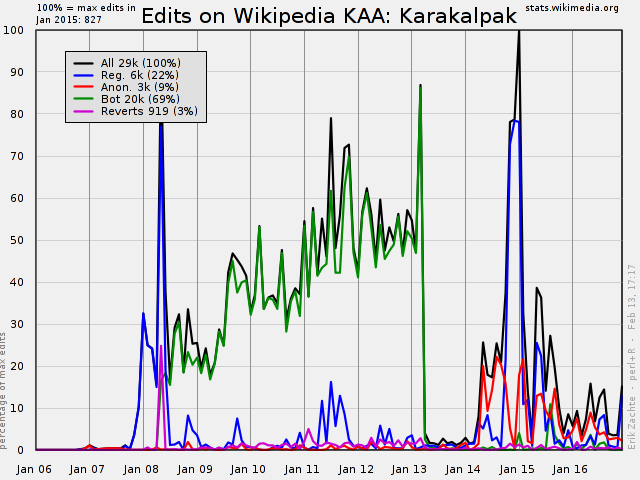 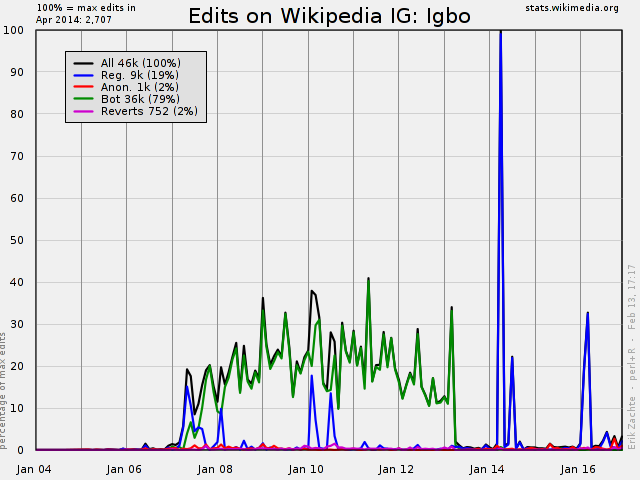 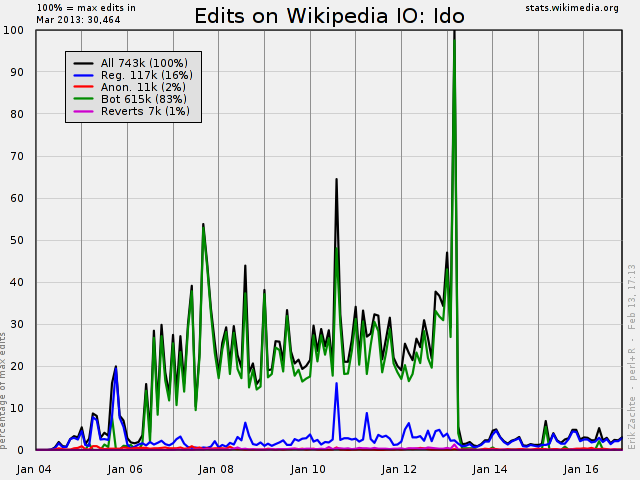 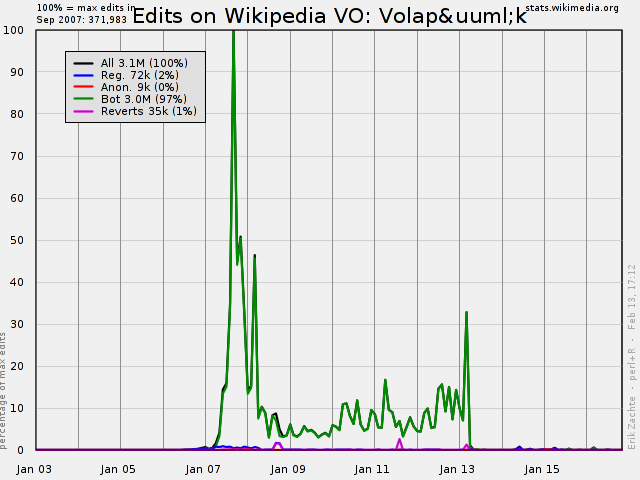 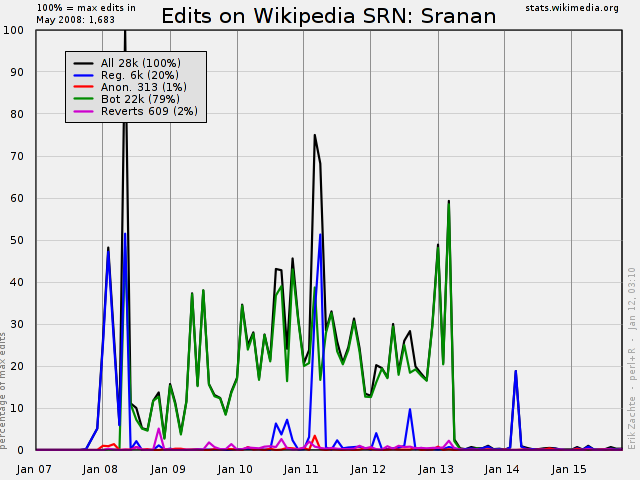 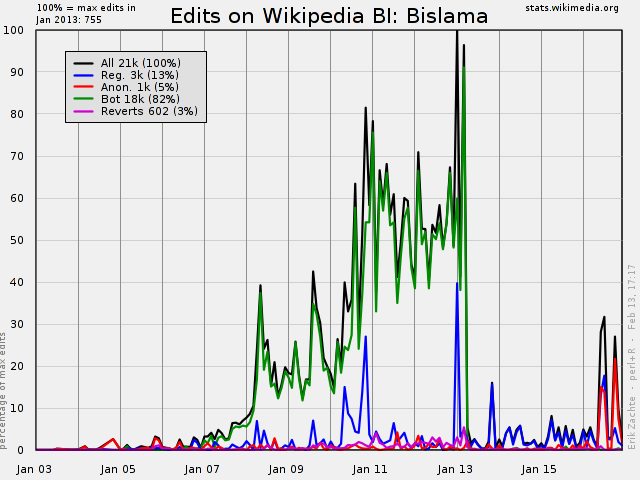 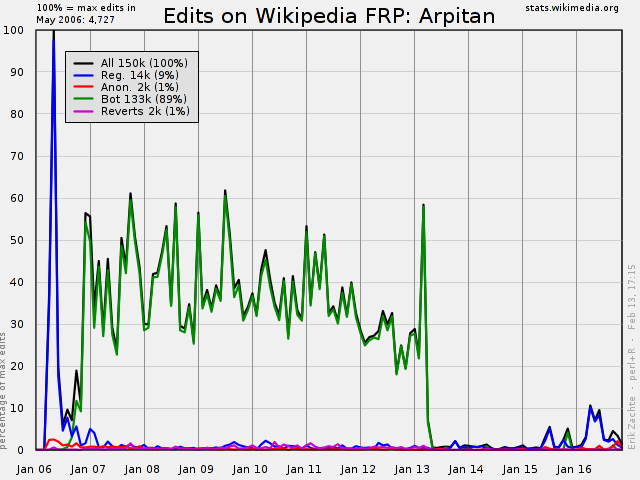 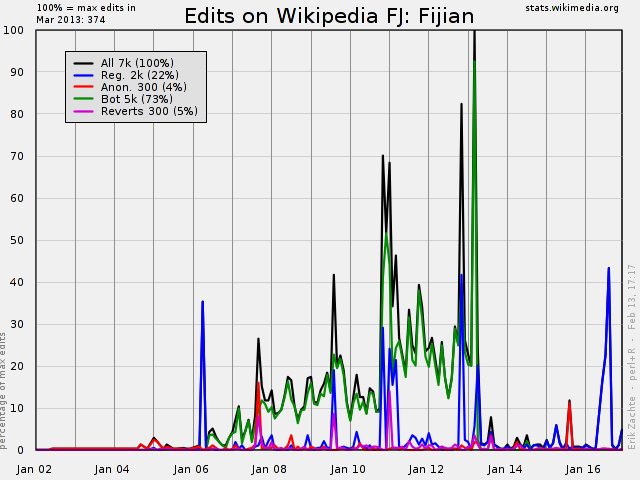 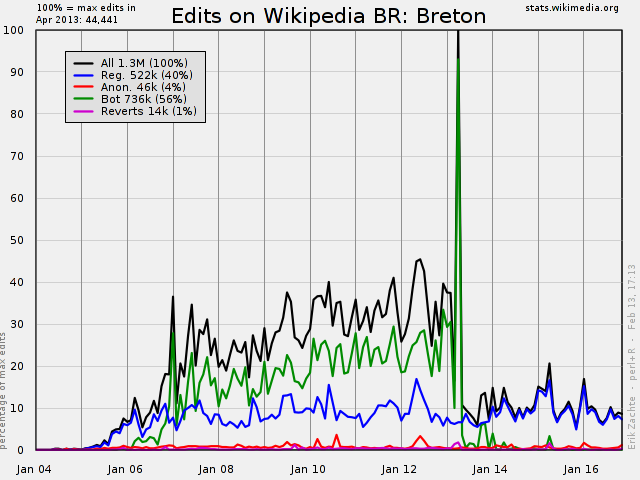 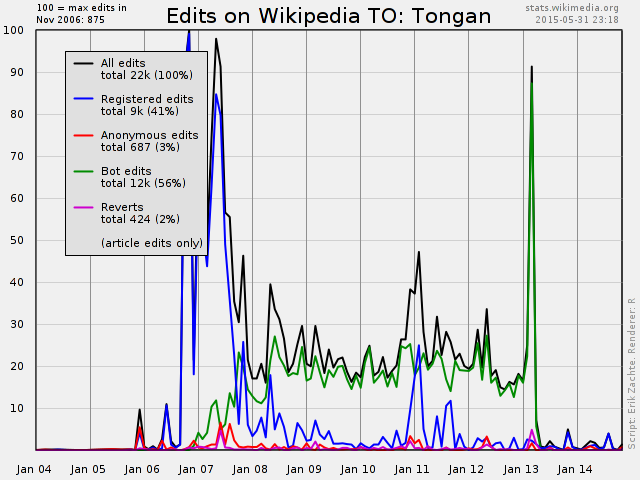 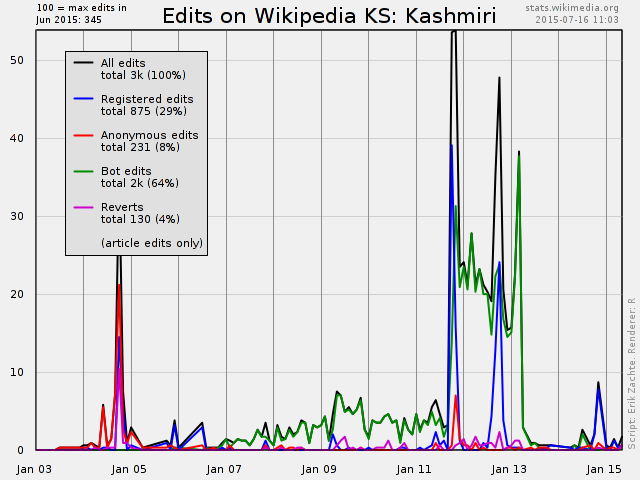 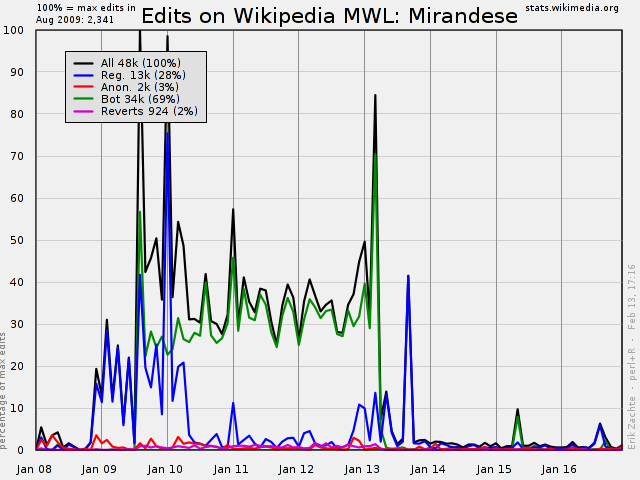 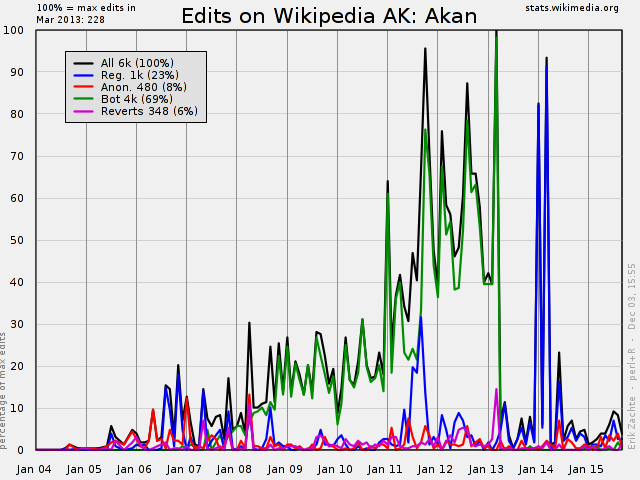 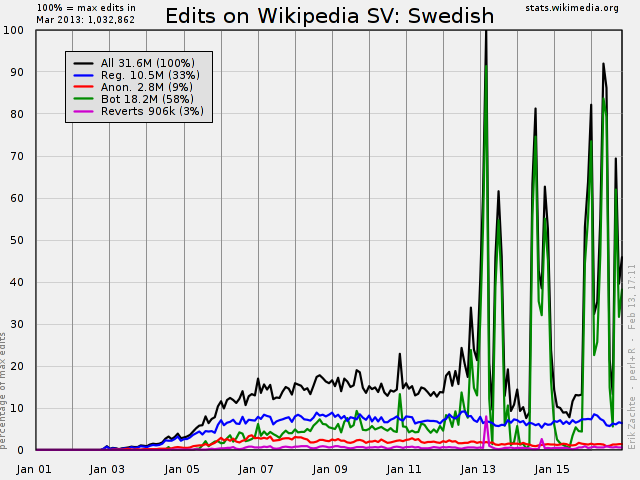 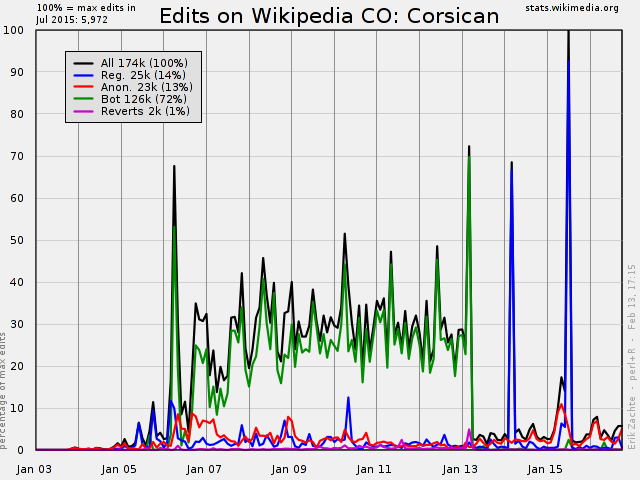 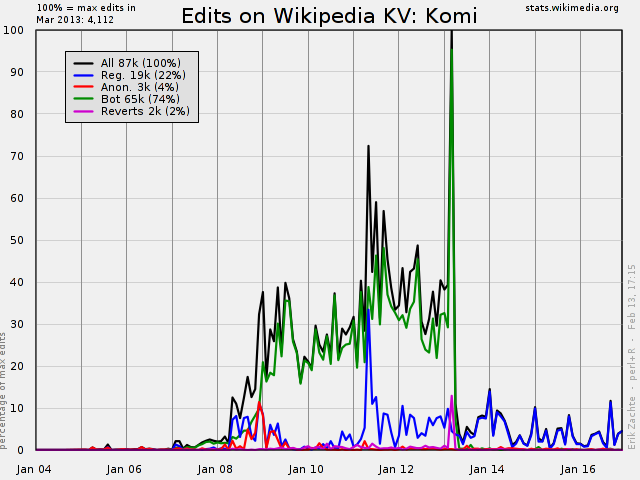 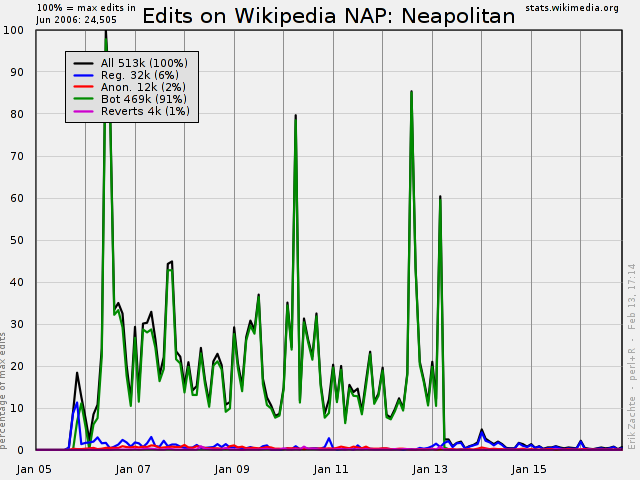 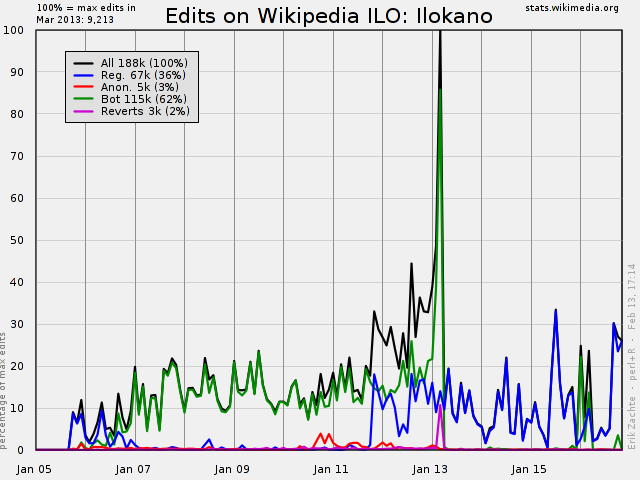 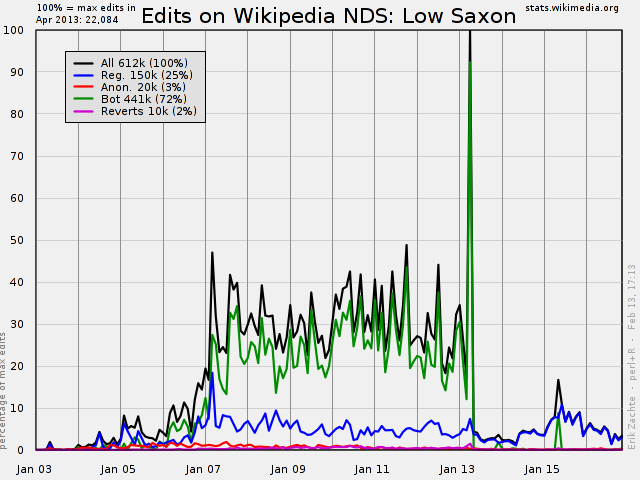 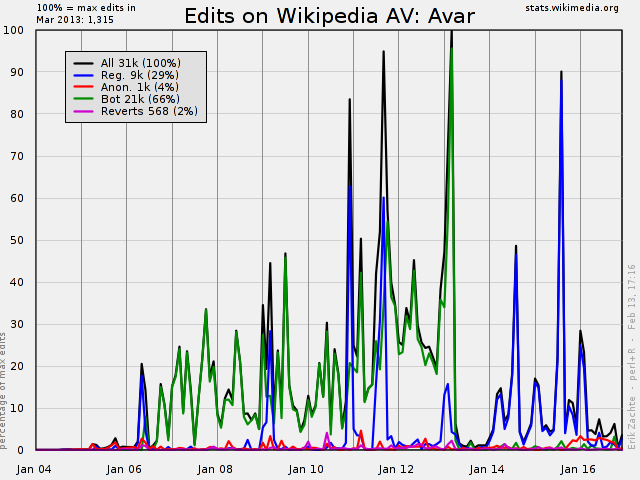 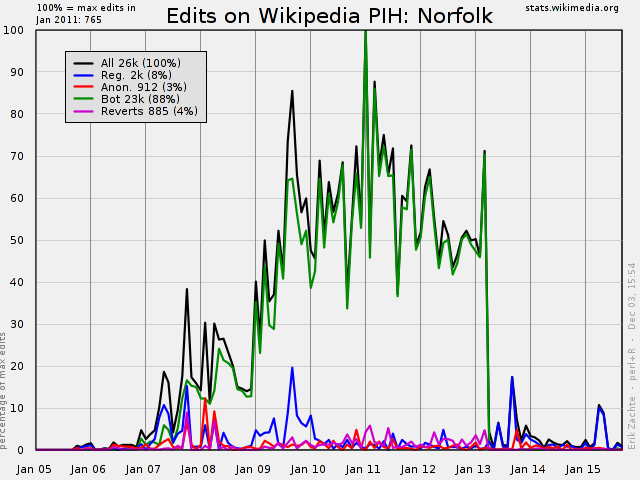 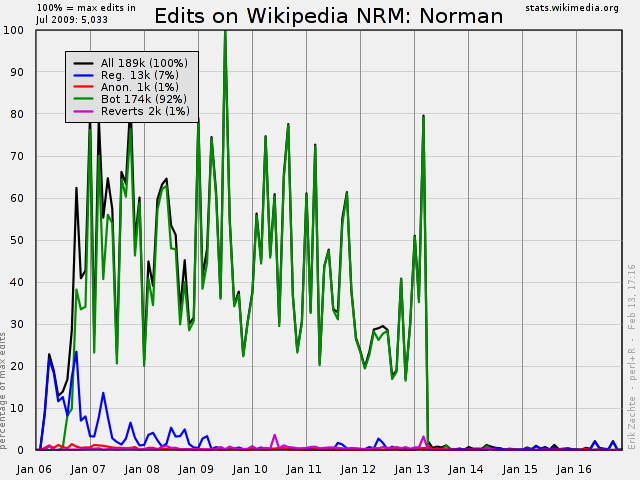 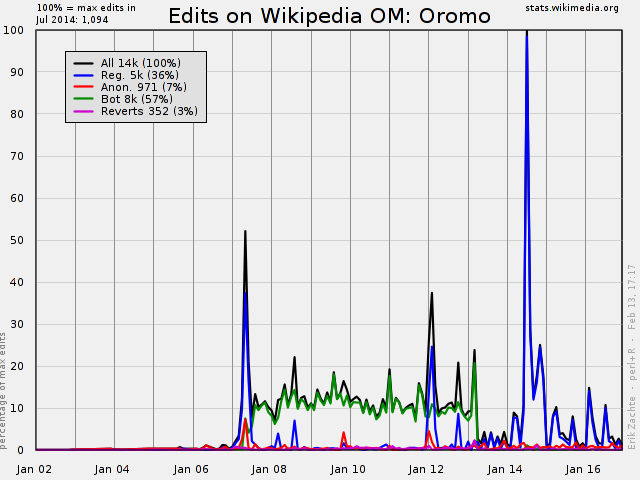 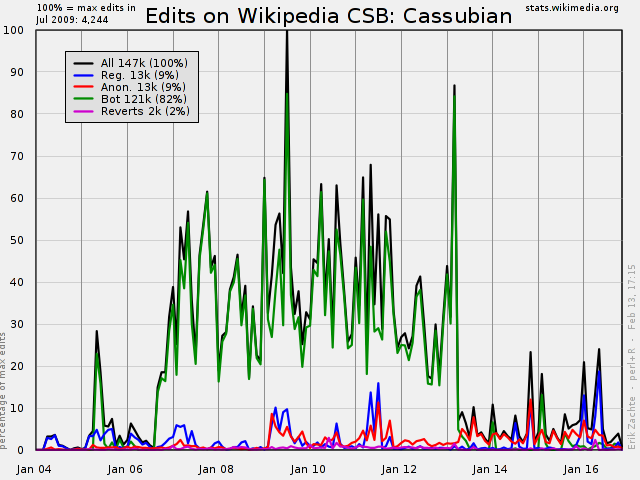 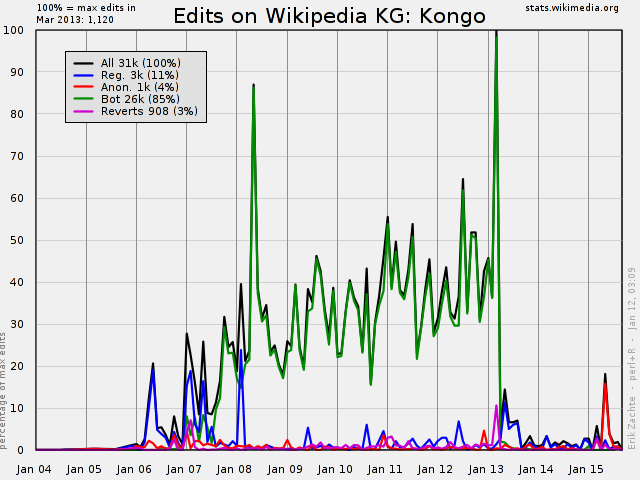 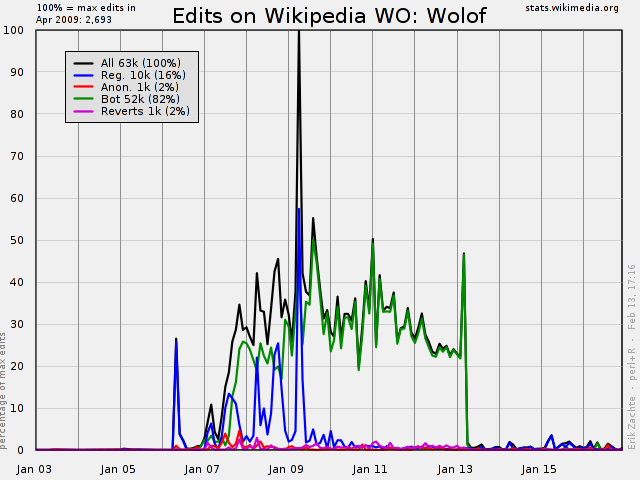 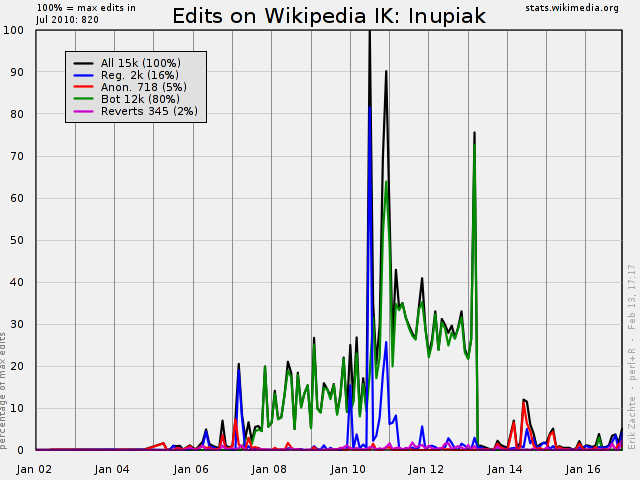 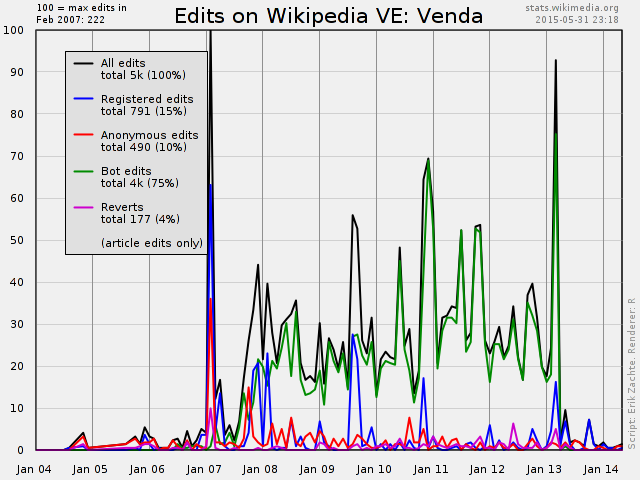 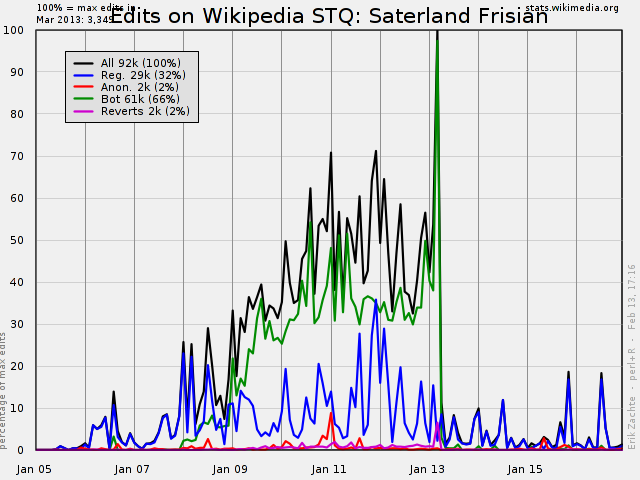 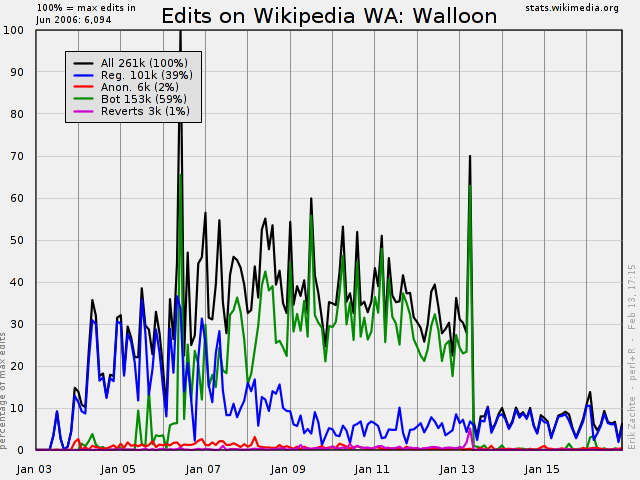 May 2016: The major overhaul of Wikistats reports has entered a new phase. 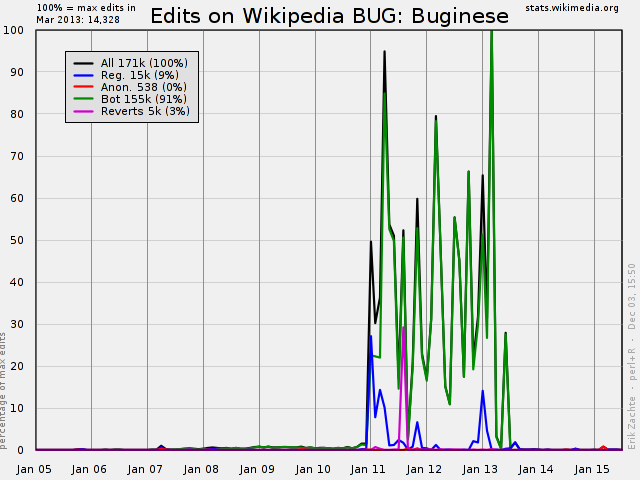 First phase focused on migrating the traffic analysis reports to our new infrastructure. 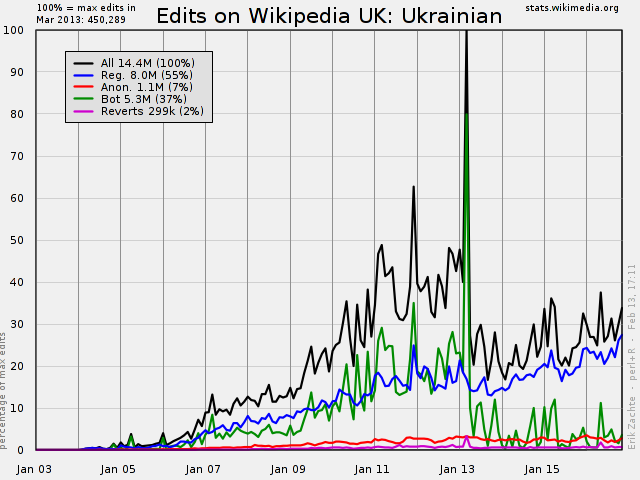 Those are operational now. 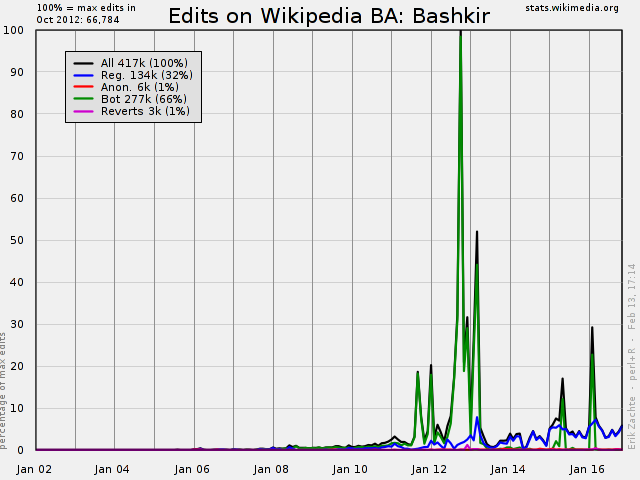 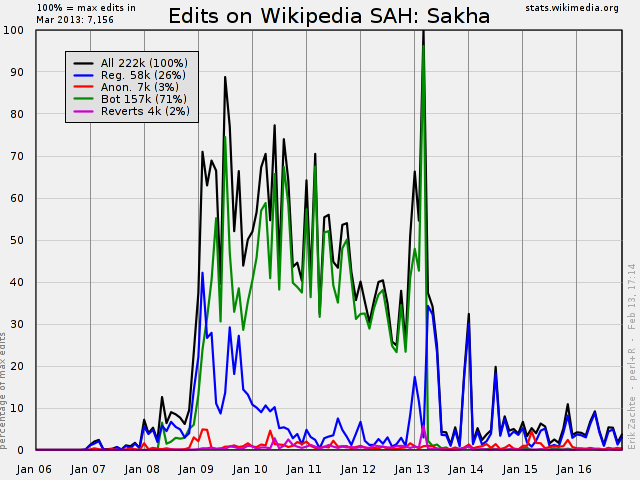 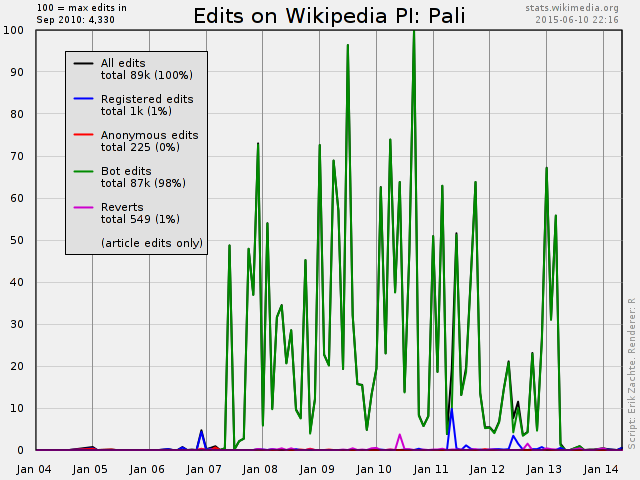 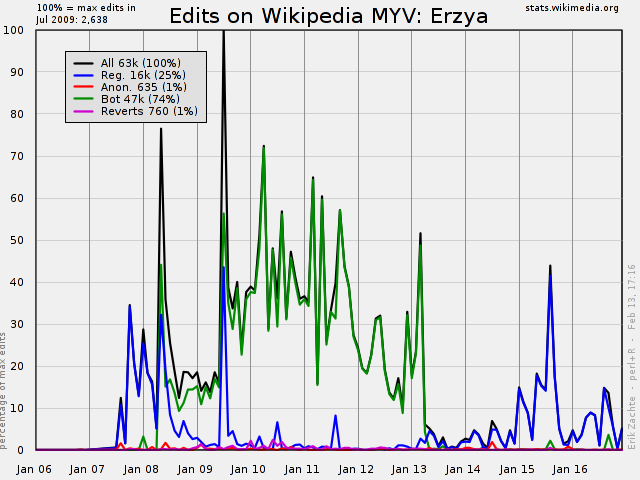 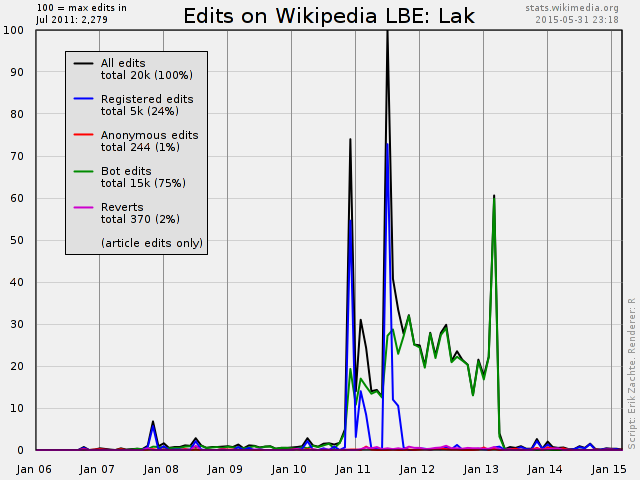 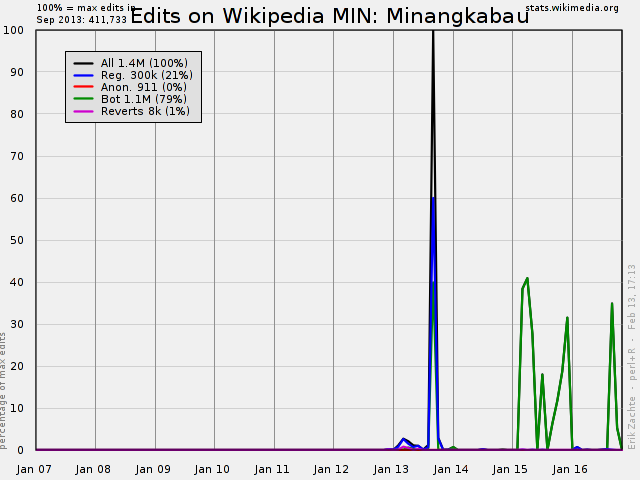 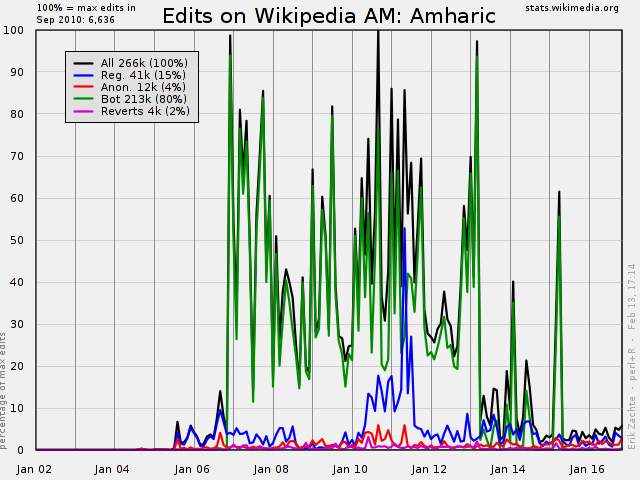 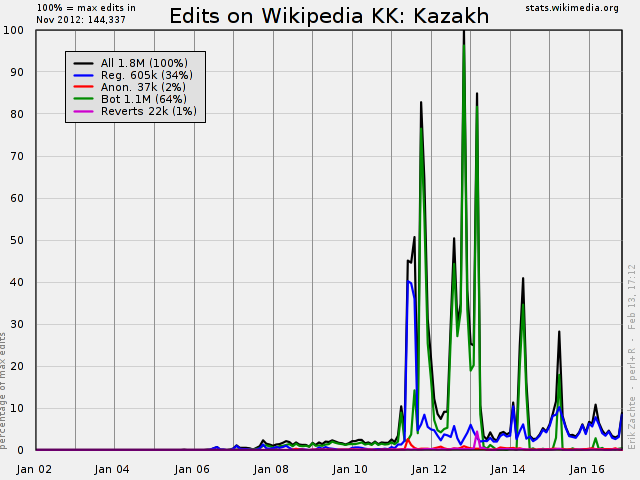 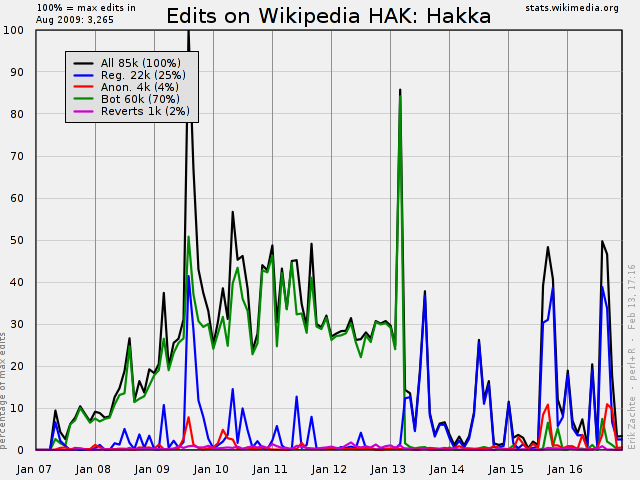 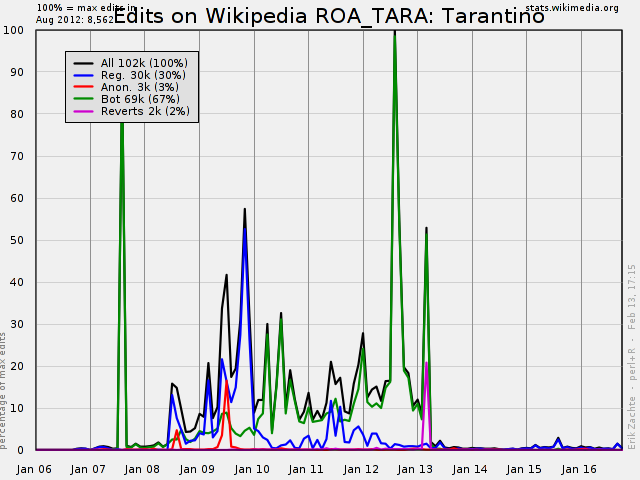 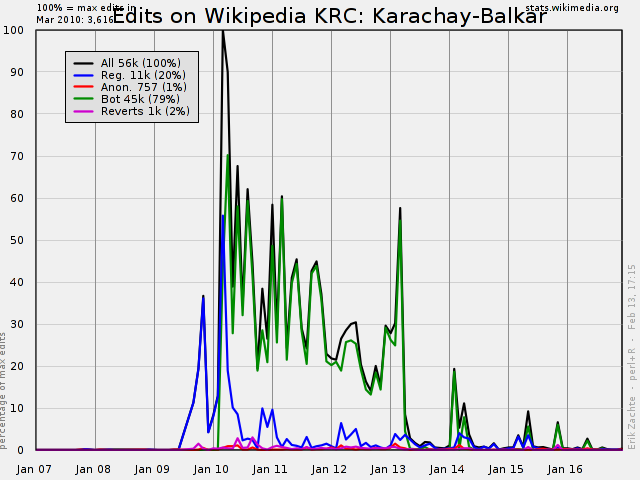 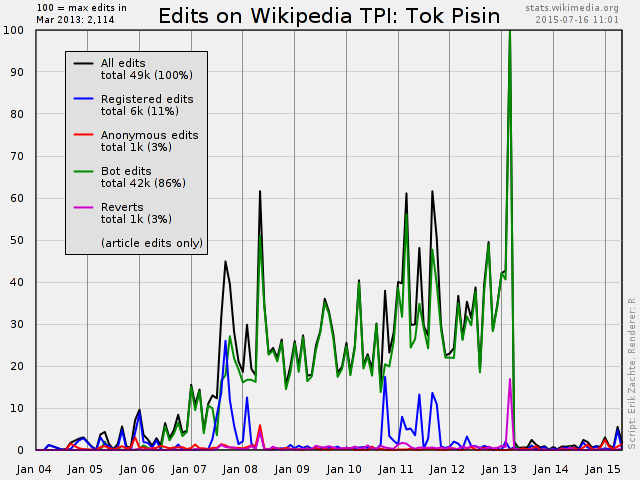 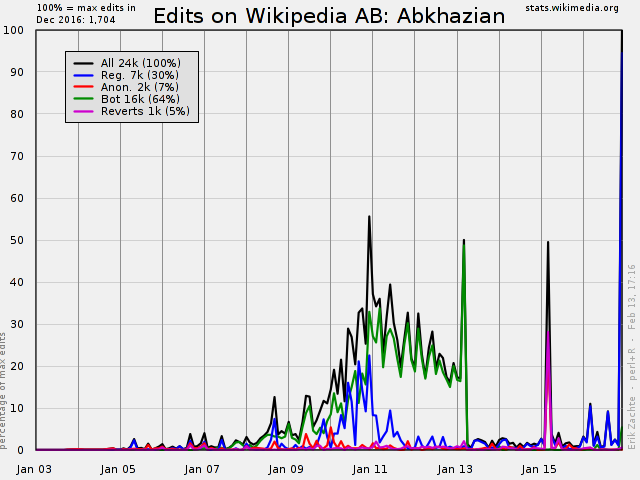 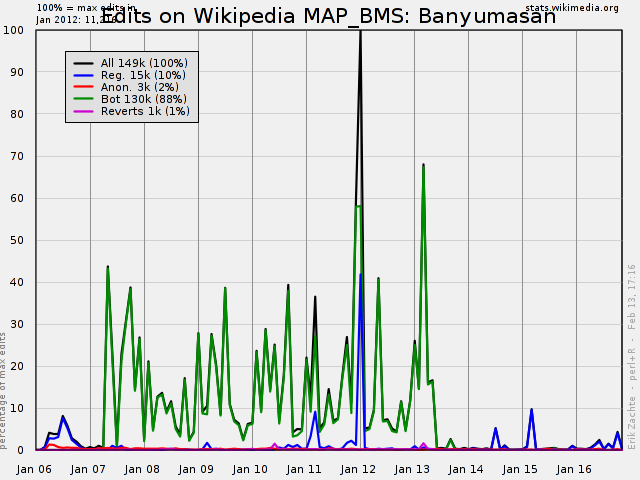 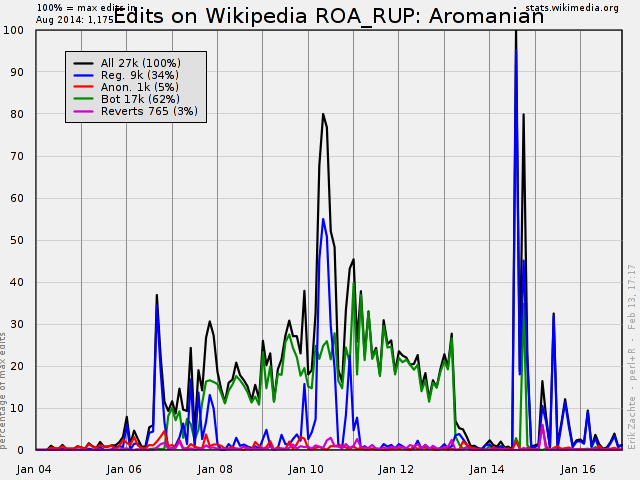 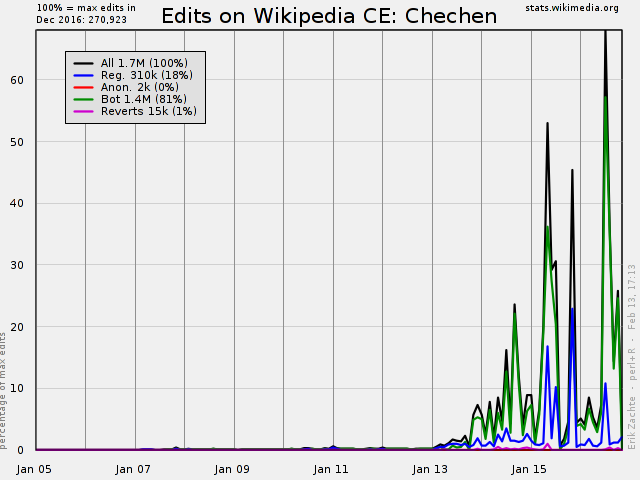 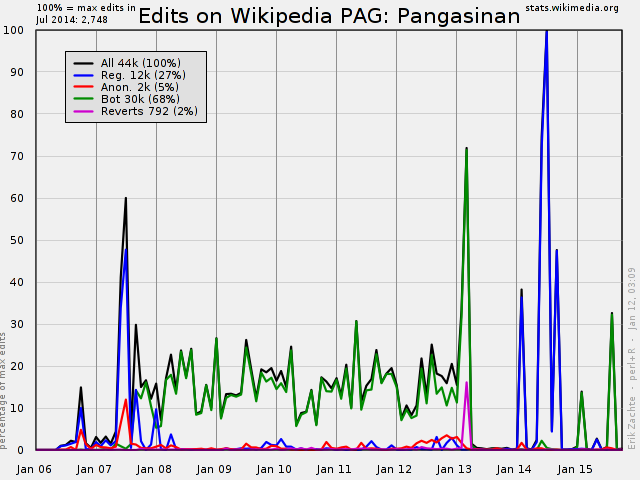 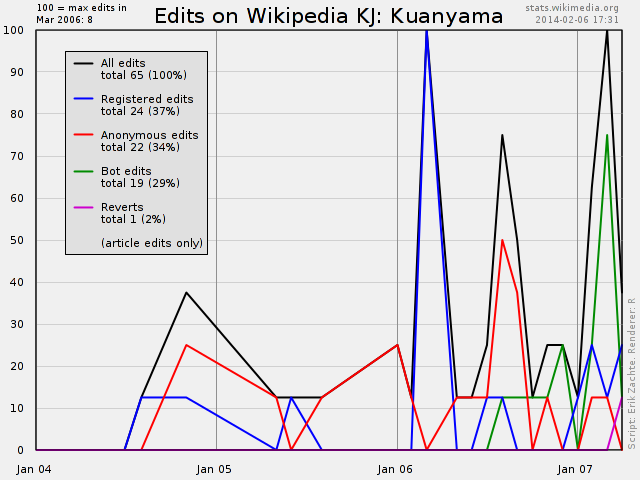 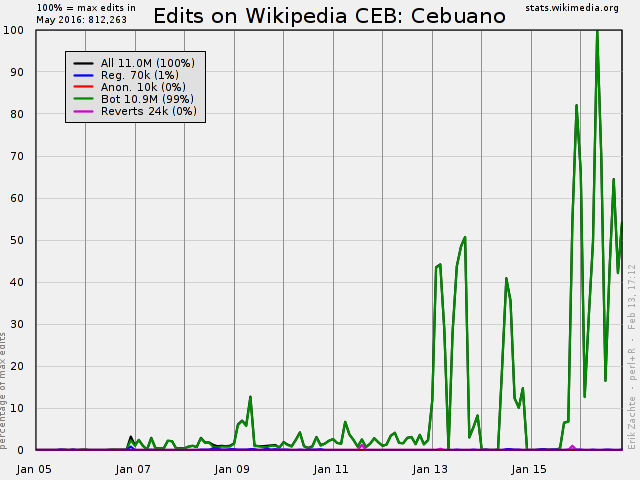 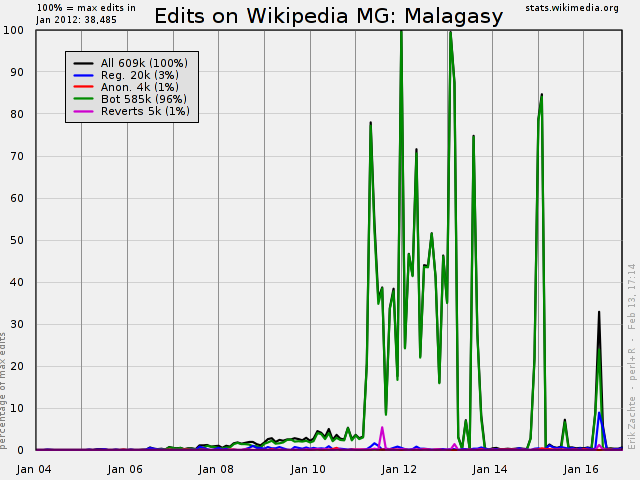 The Analytics Team will now proceed to also migrate data collection and reporting about wiki content and contributors. 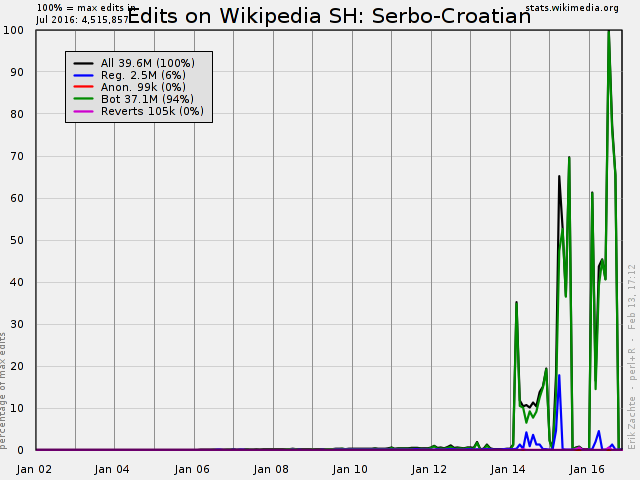 First results are expected later this year. 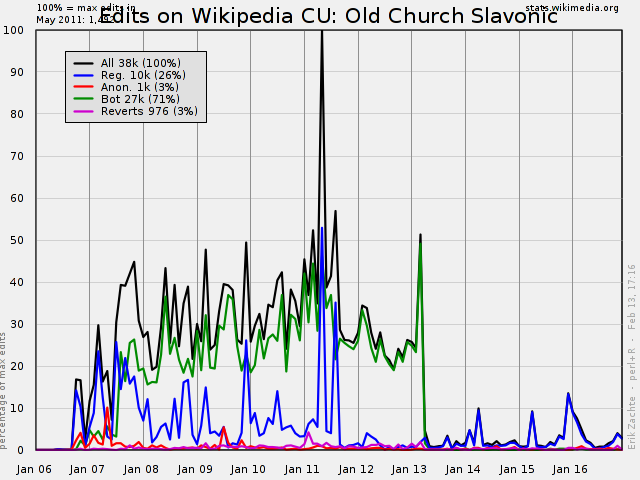 You can still tell us which reports you want to see preserved, in this survey. 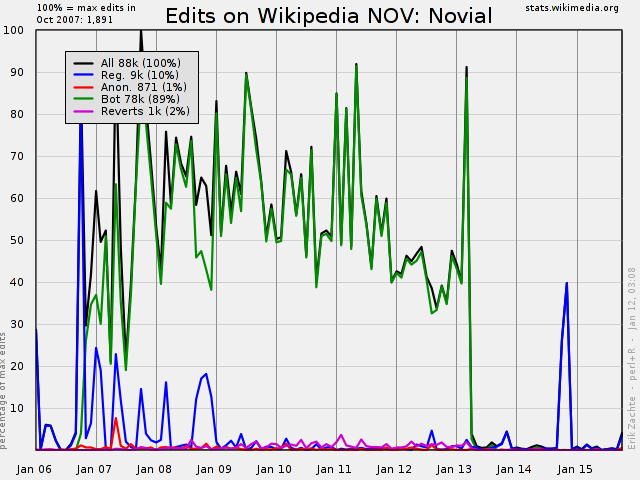 Revert percentage is ratio reverts:edits per class of editors (registered or anonymous users or bots). 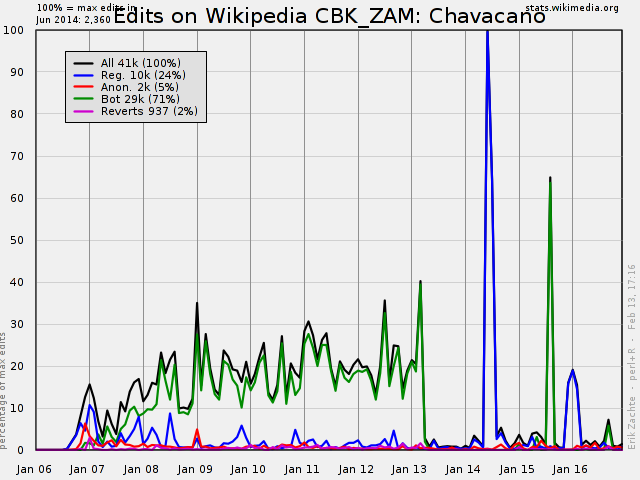 Only reverts detected by sha1 matching are considered here, not (partial) manual reverts only detectable by edit comment. 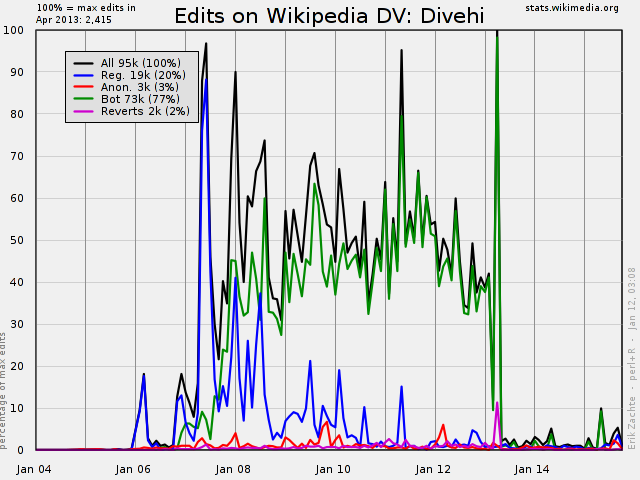 Reverts is less than reverted edits! 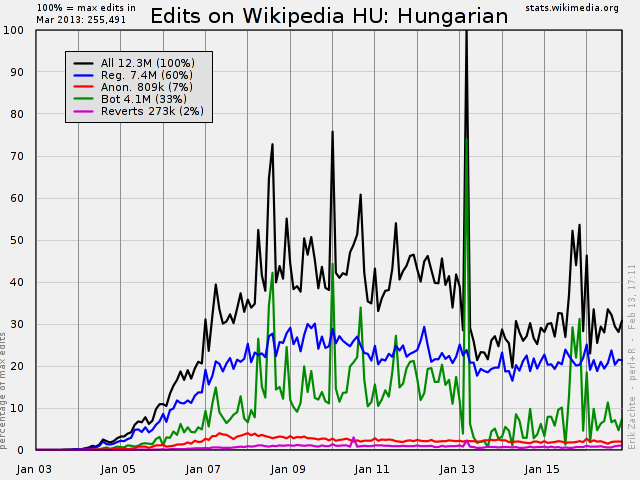 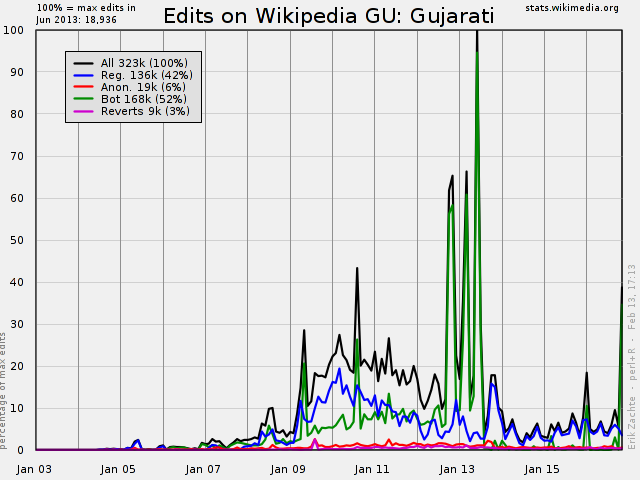 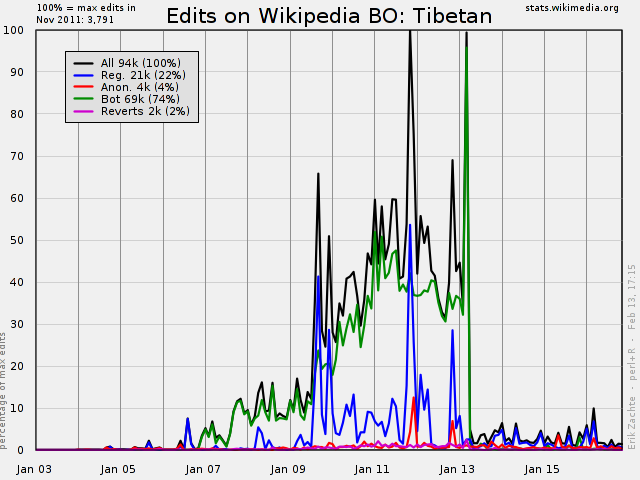 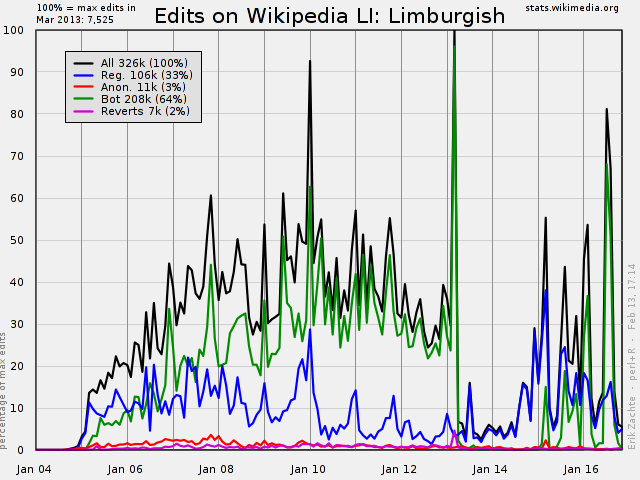 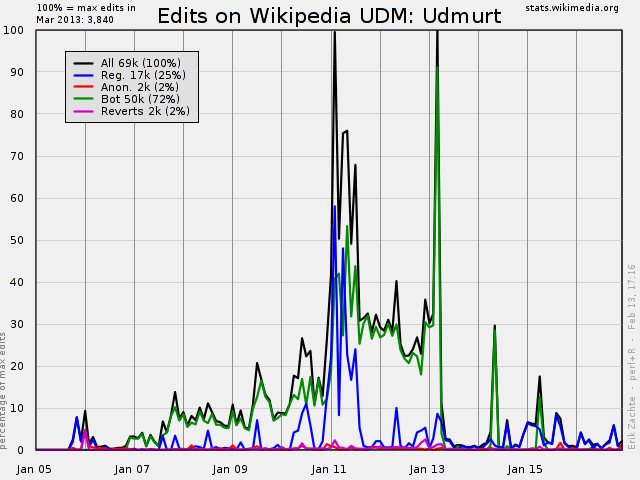 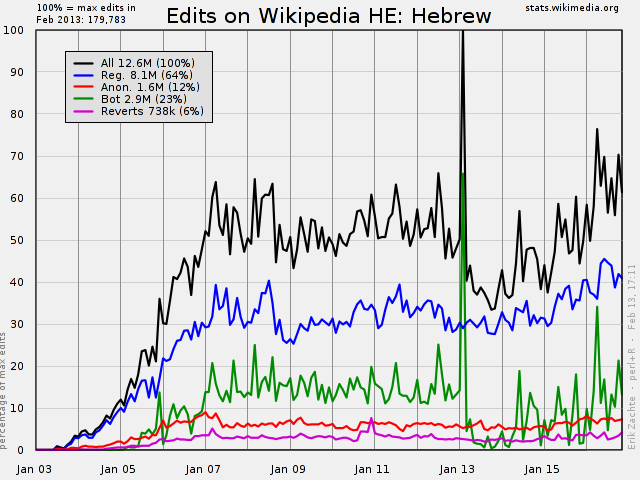 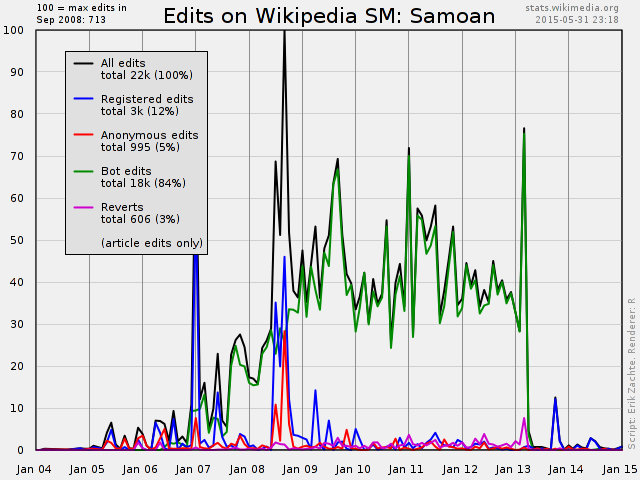 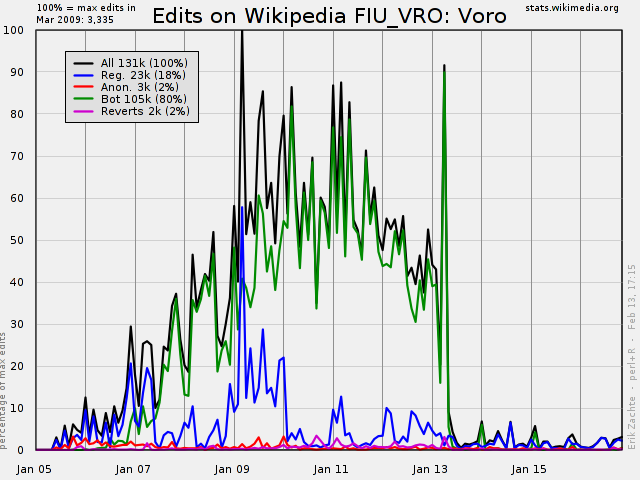 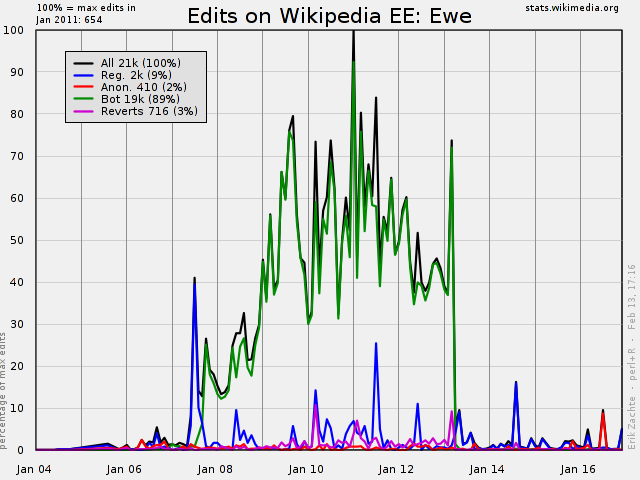 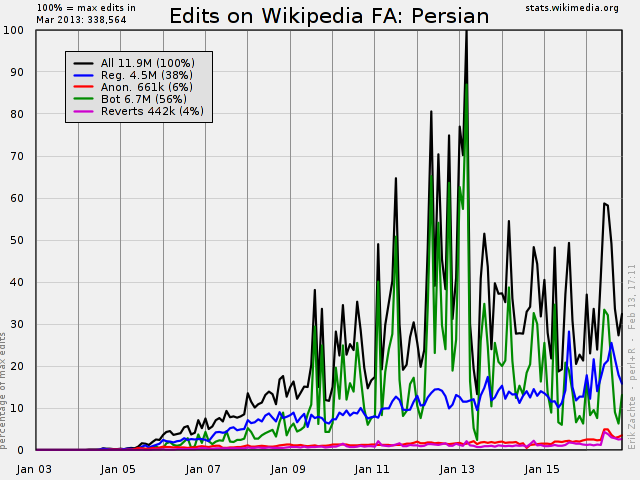 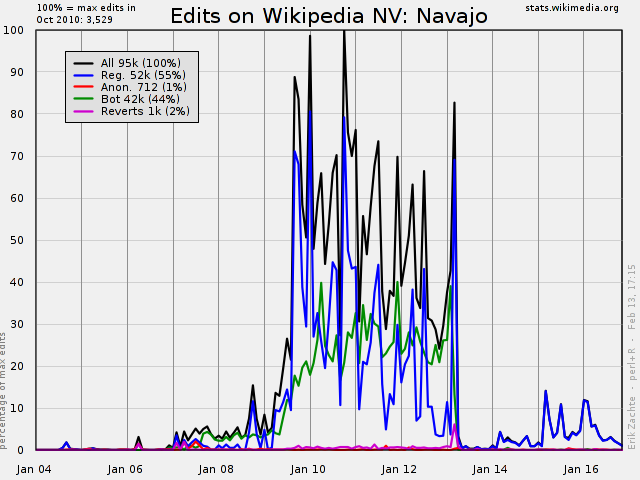 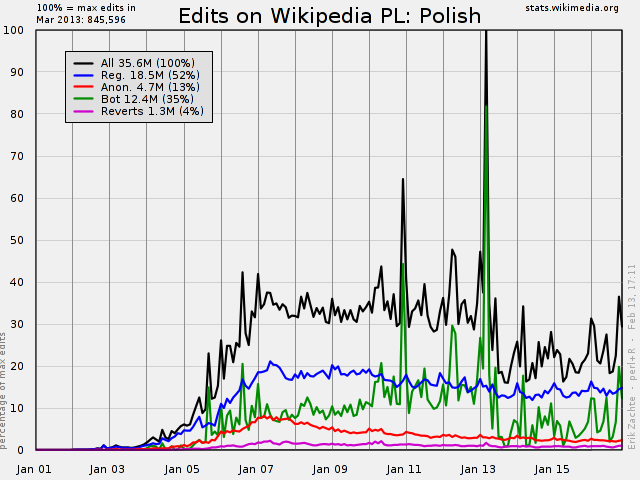 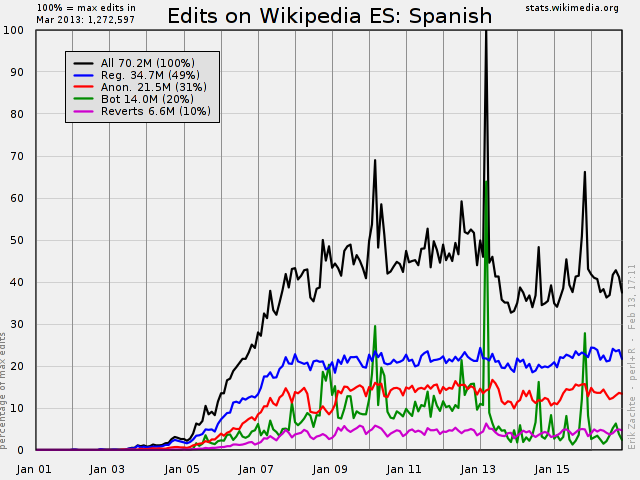 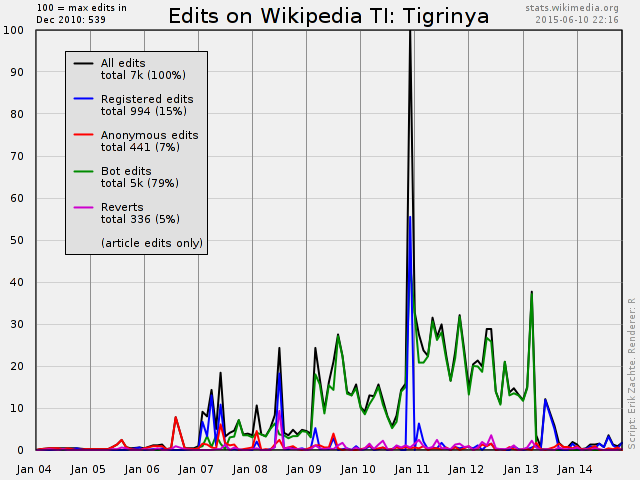 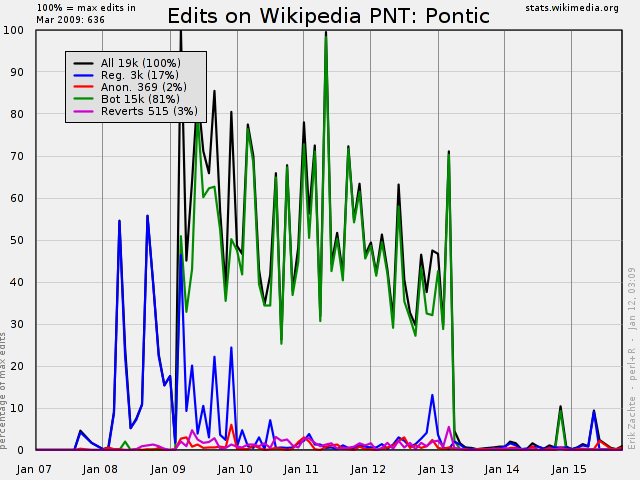 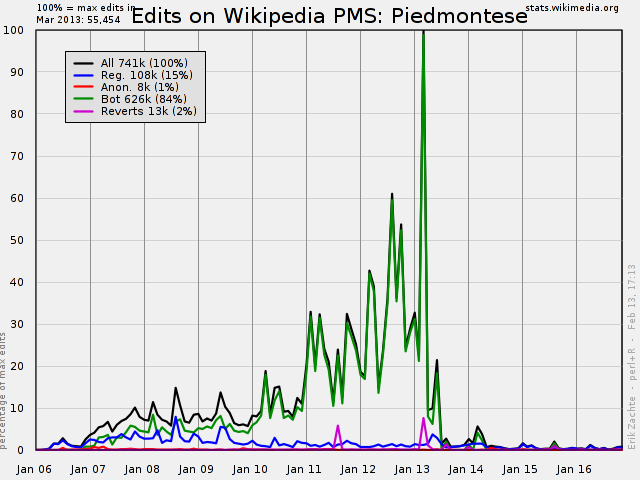 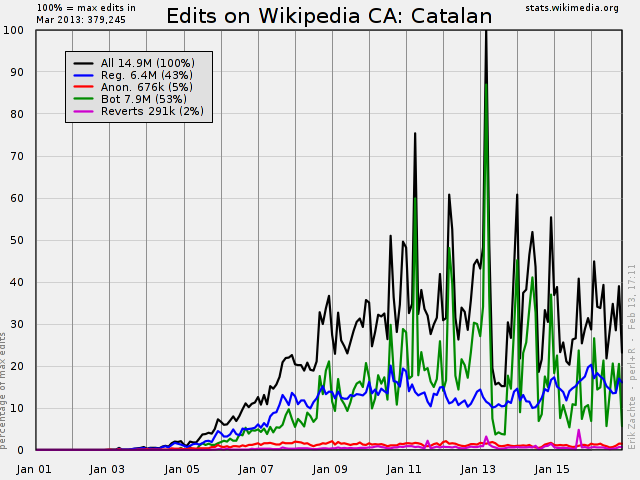 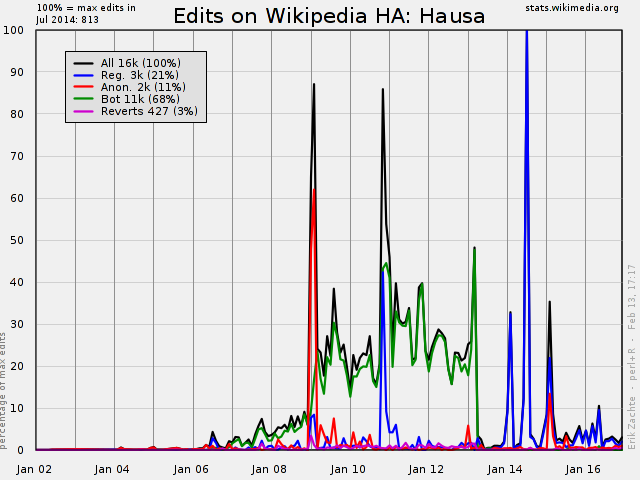 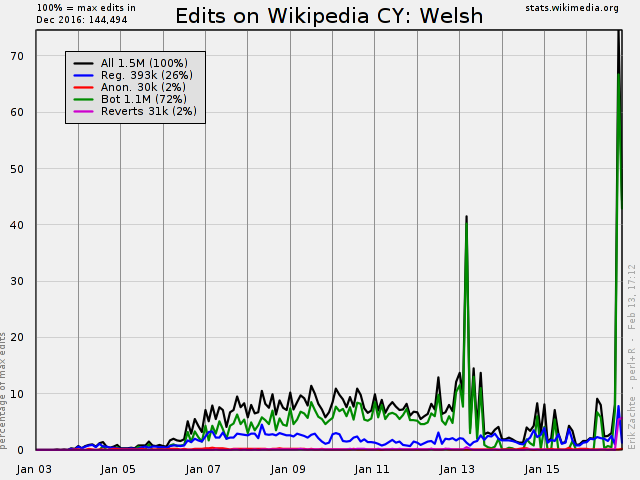 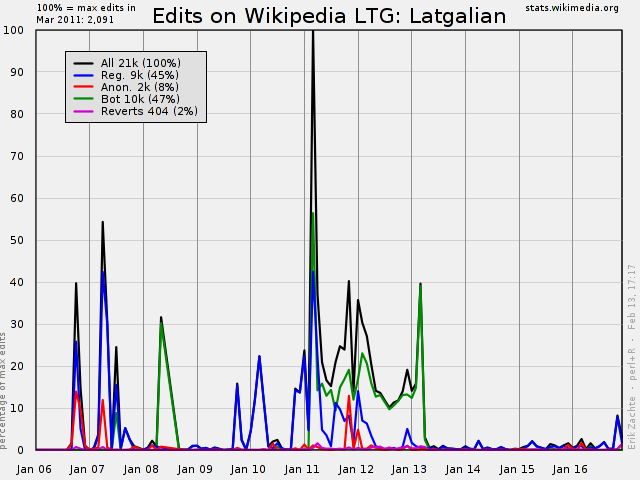 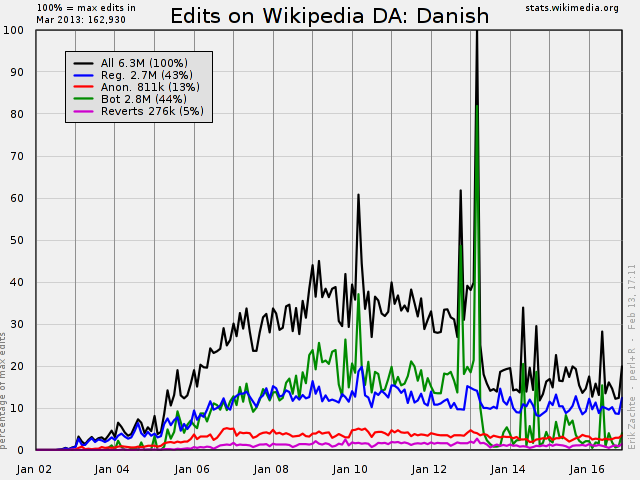 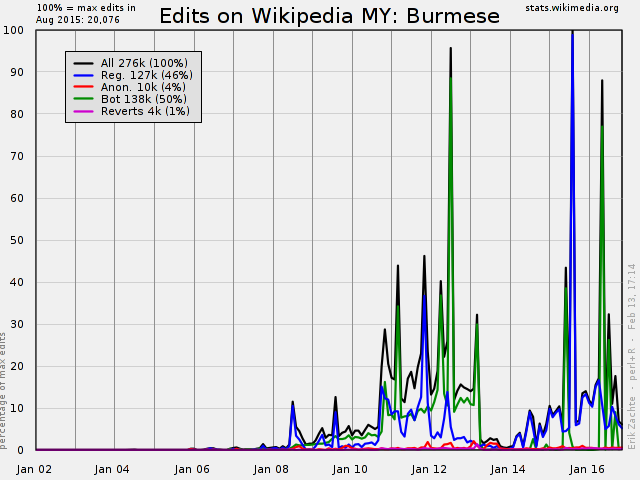 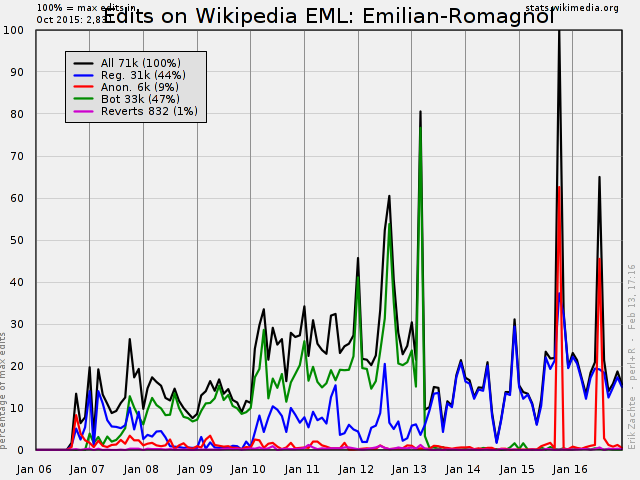 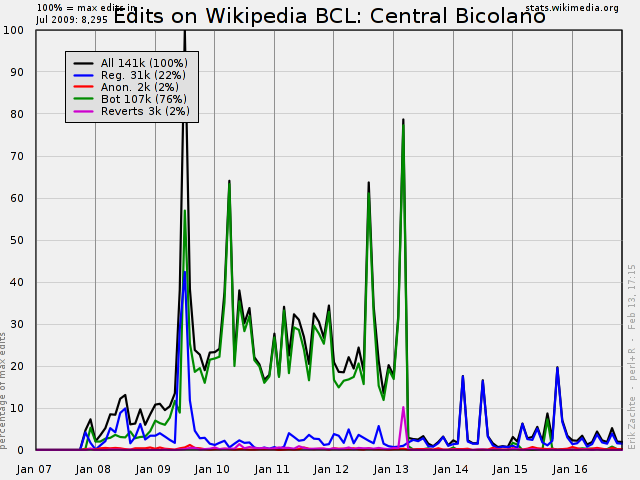 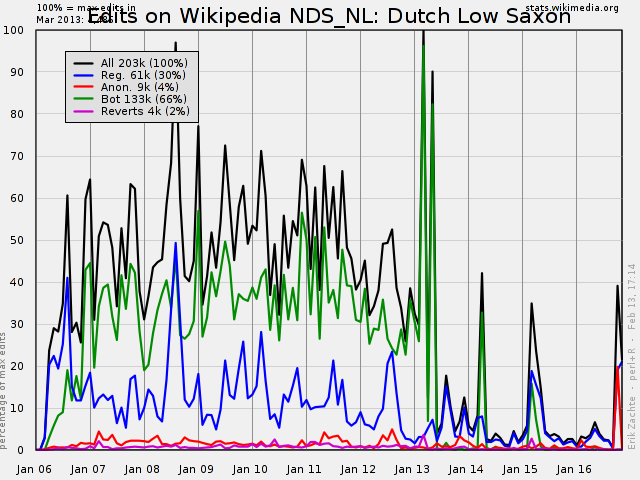 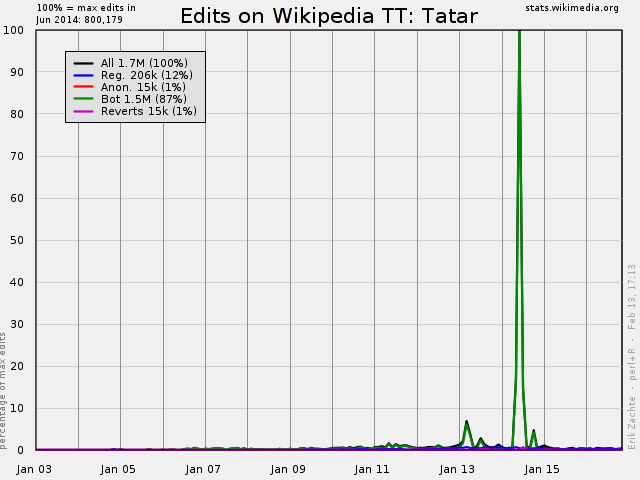 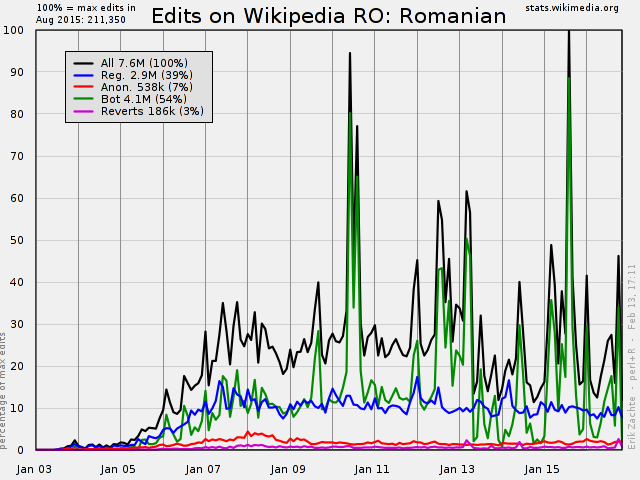 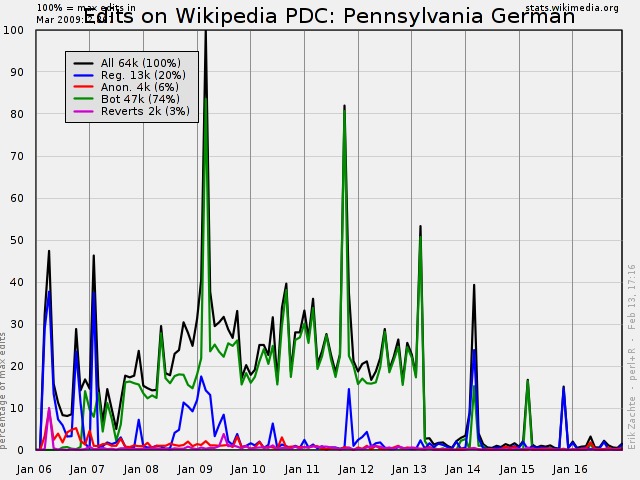 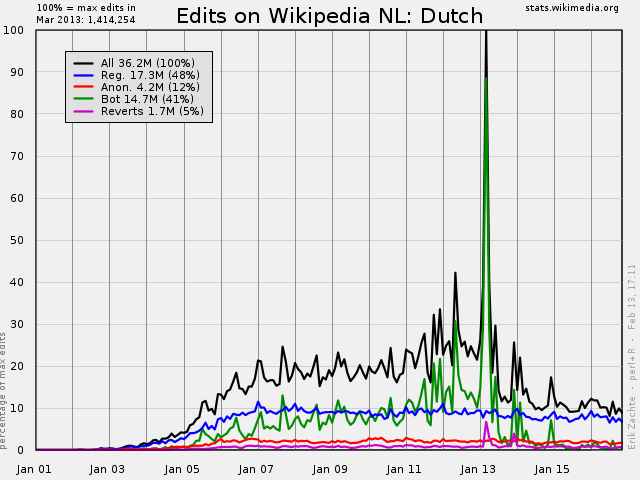 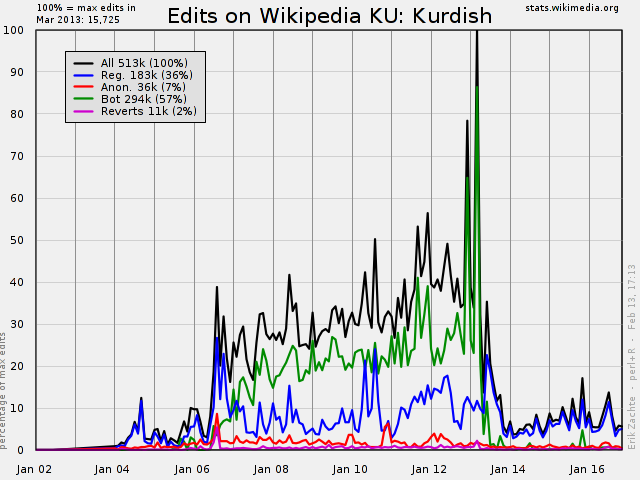 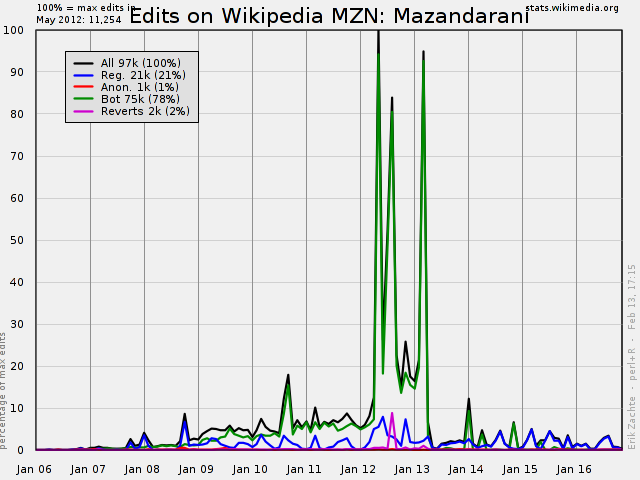 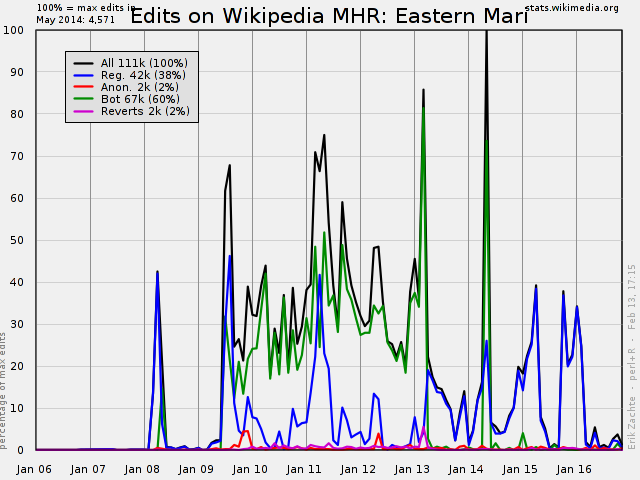 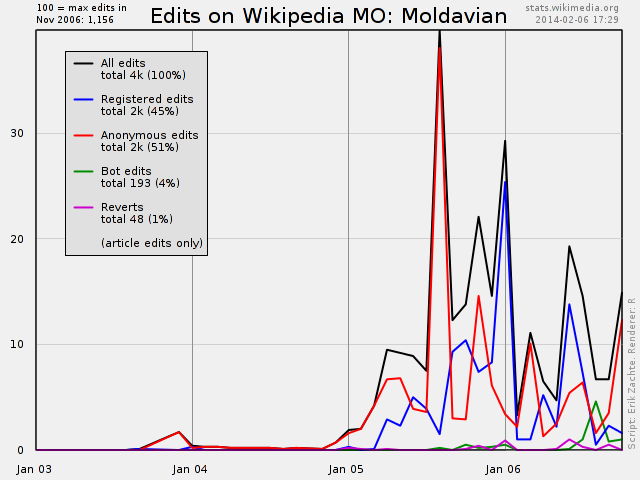 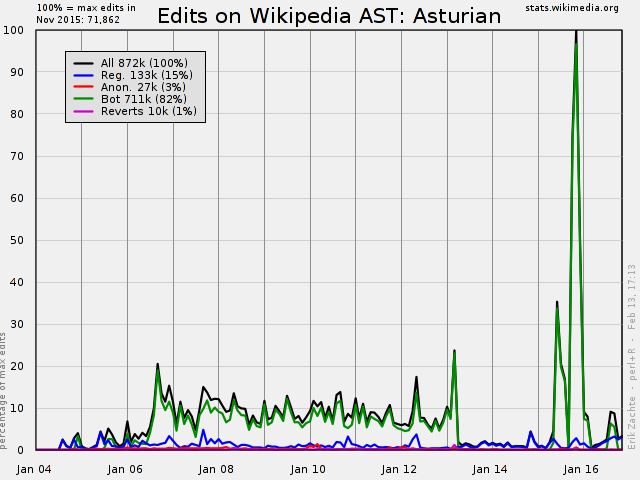 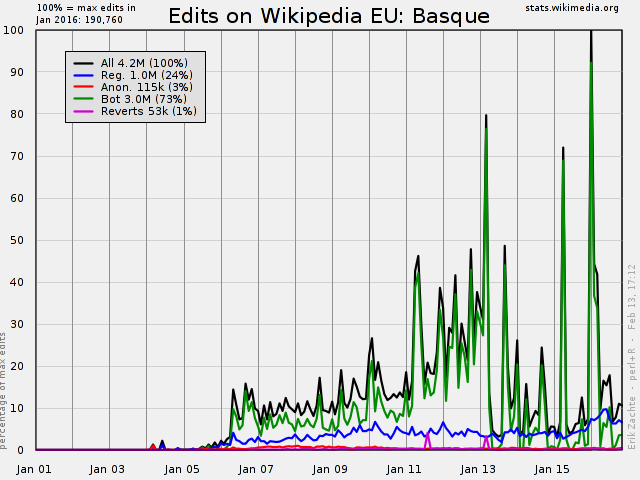 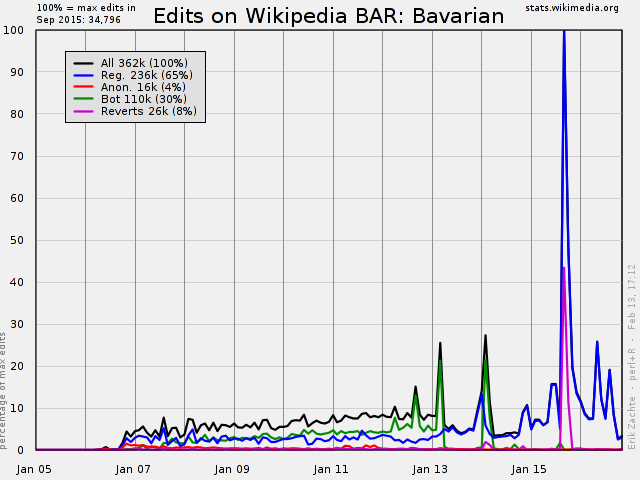 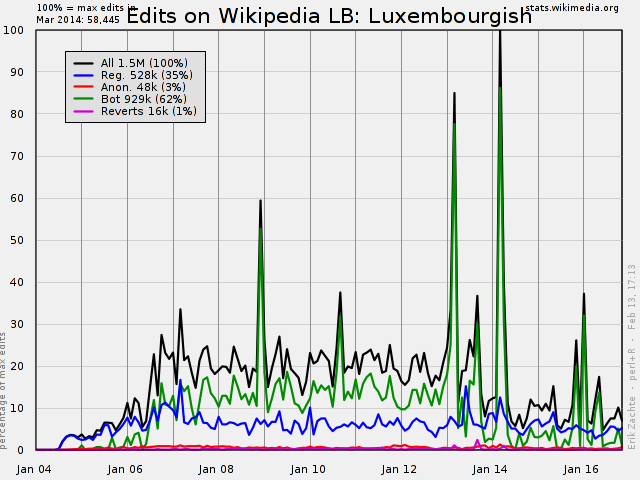 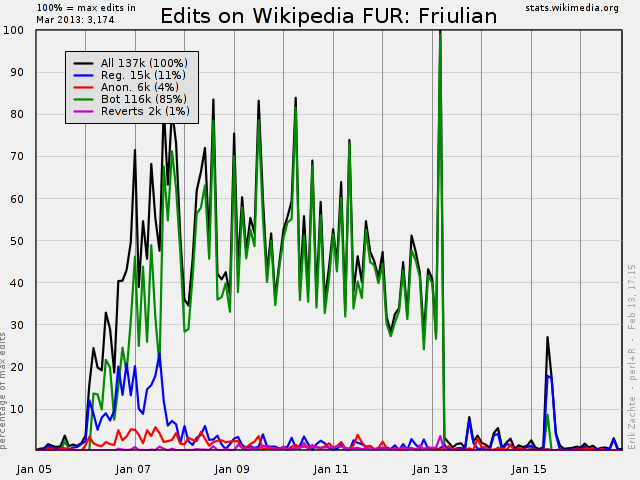 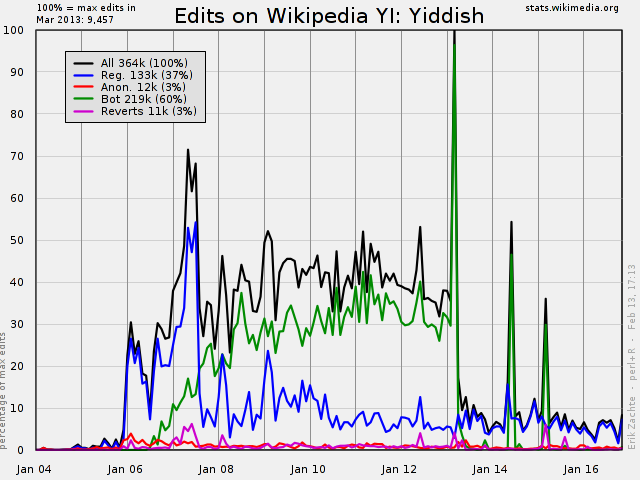 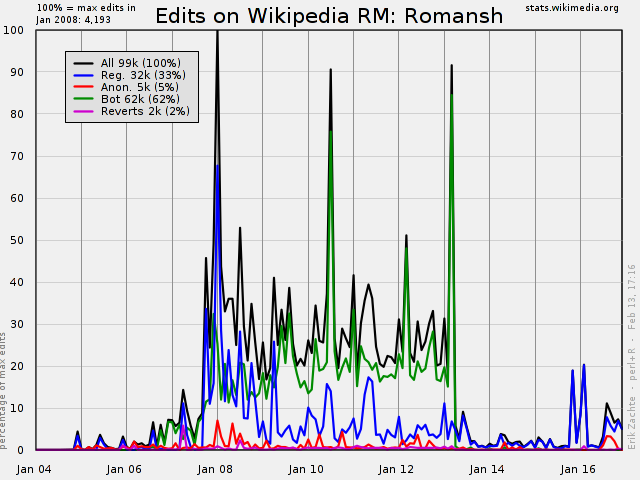 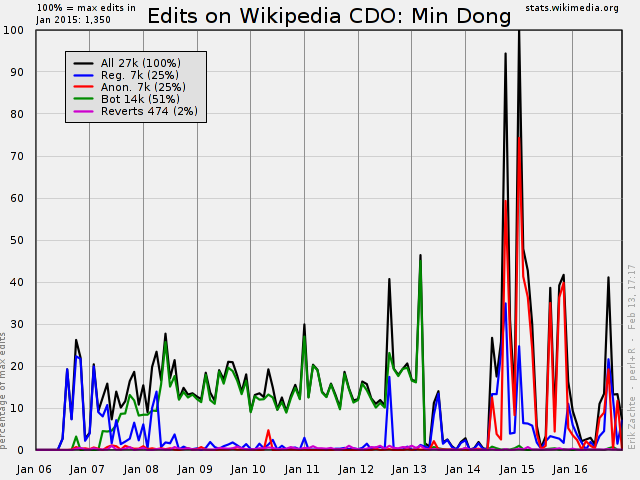 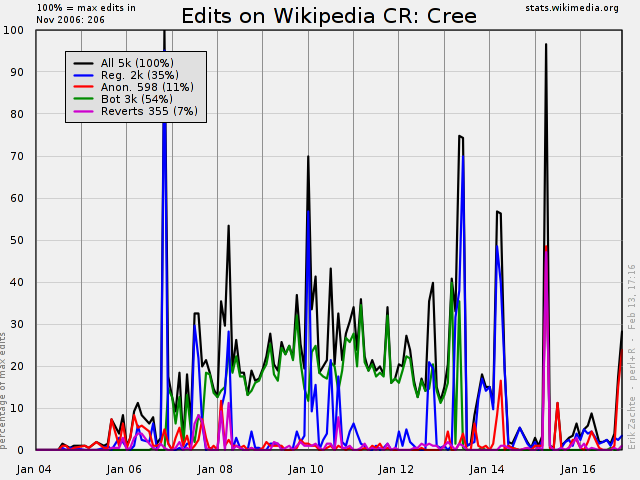 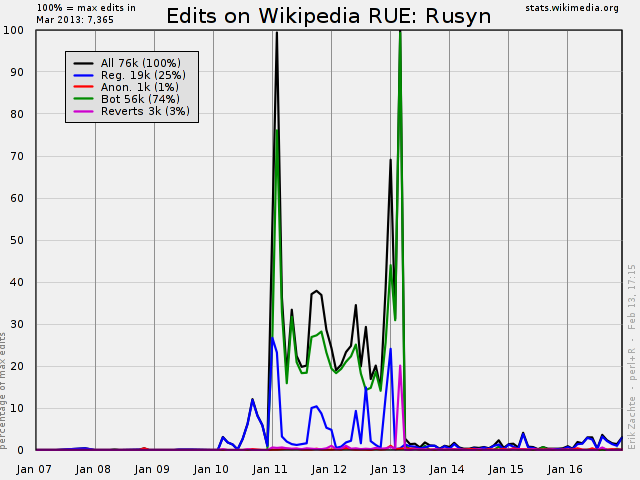 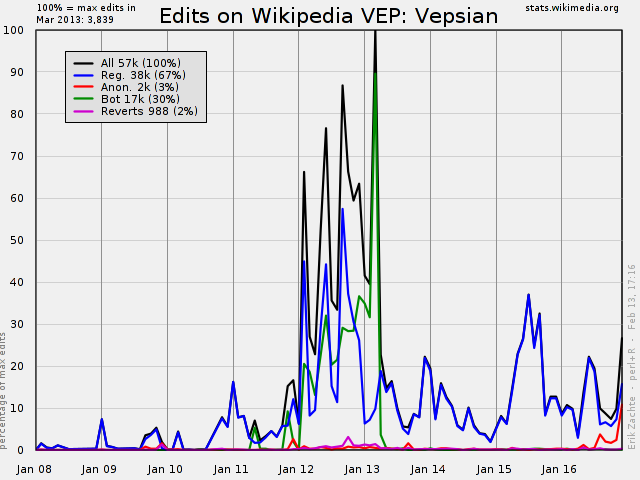 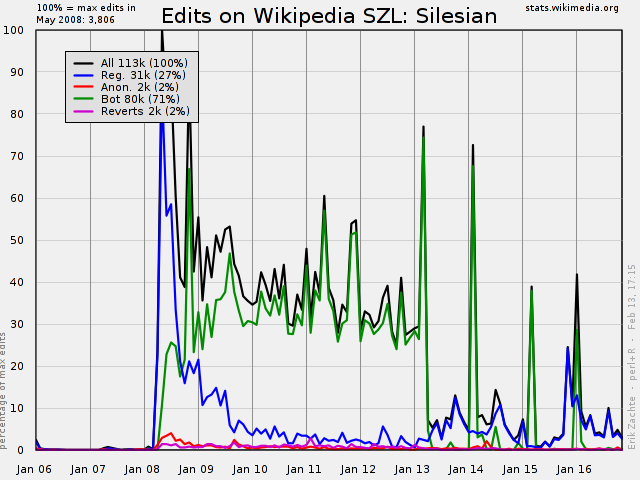 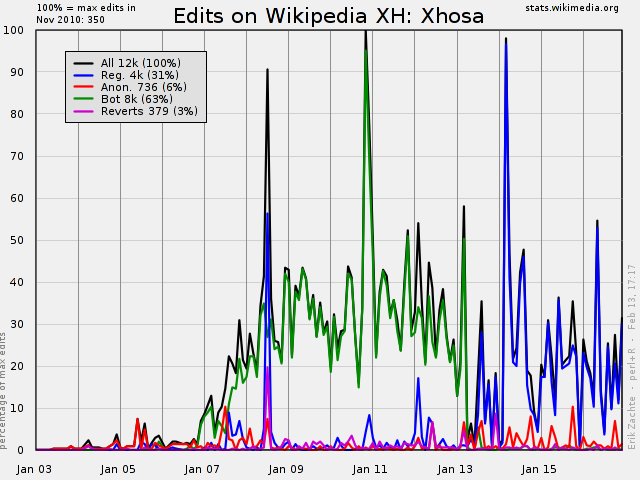 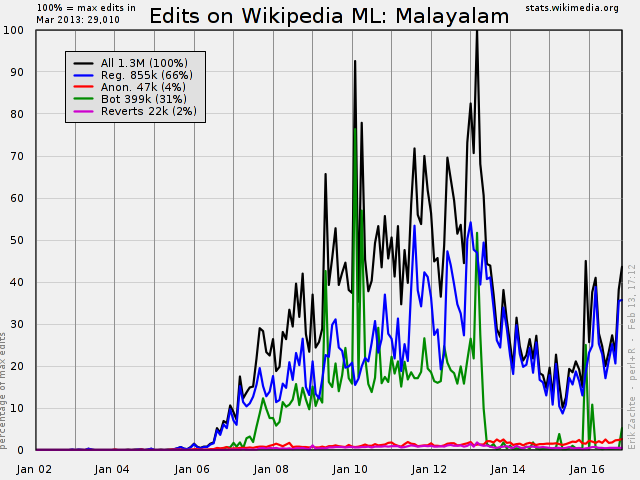 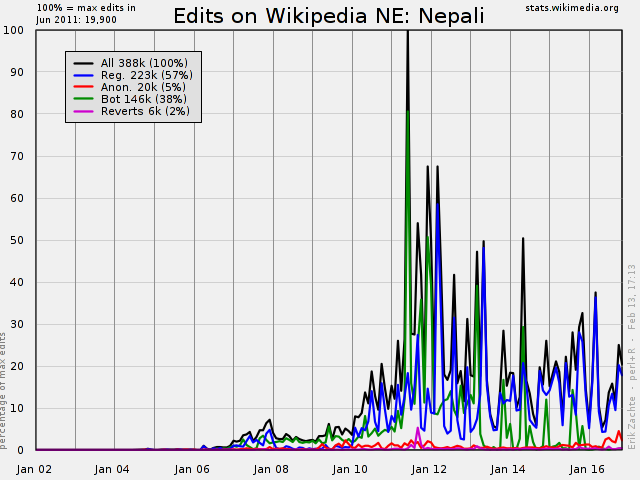 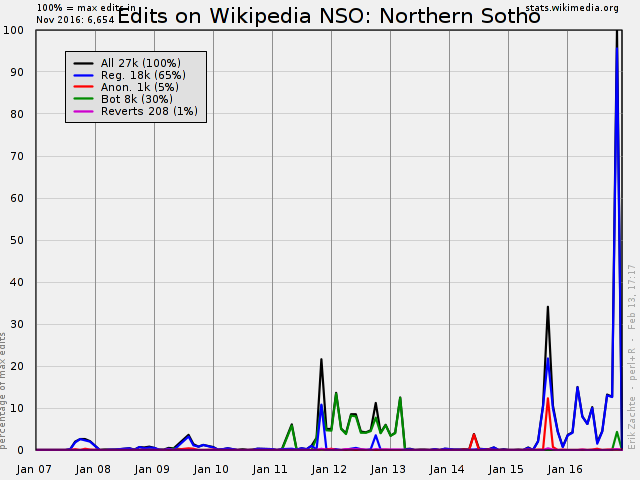 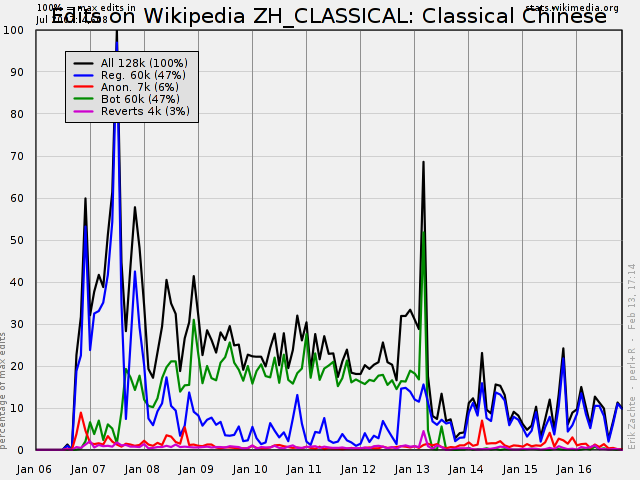 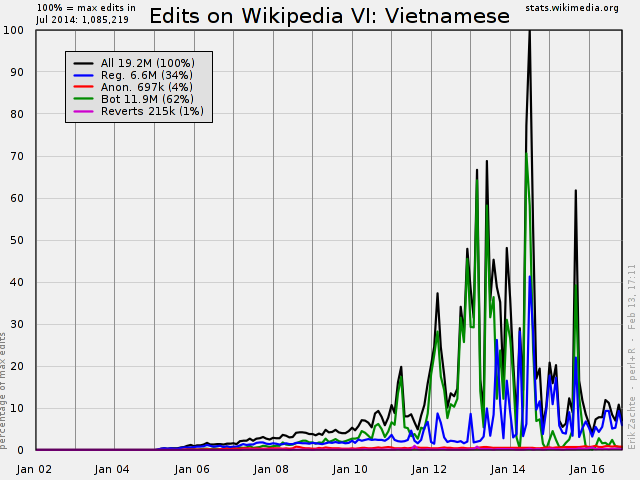 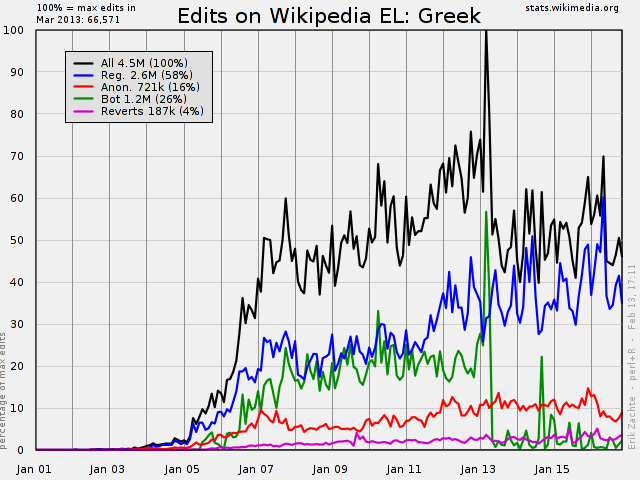 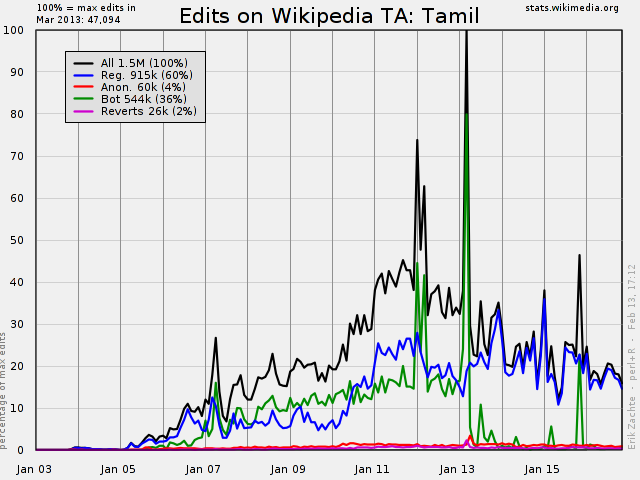 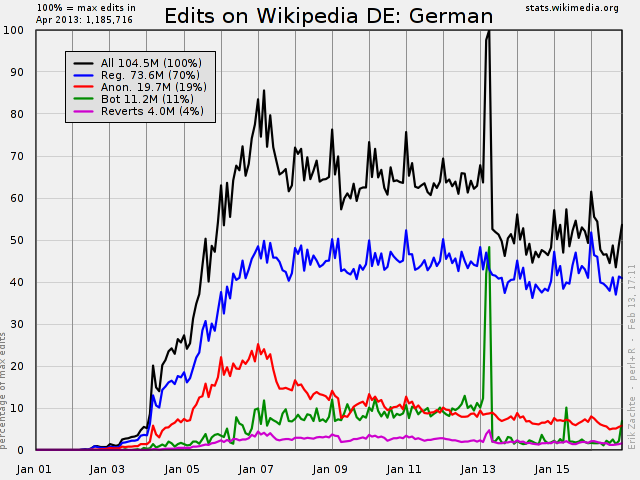 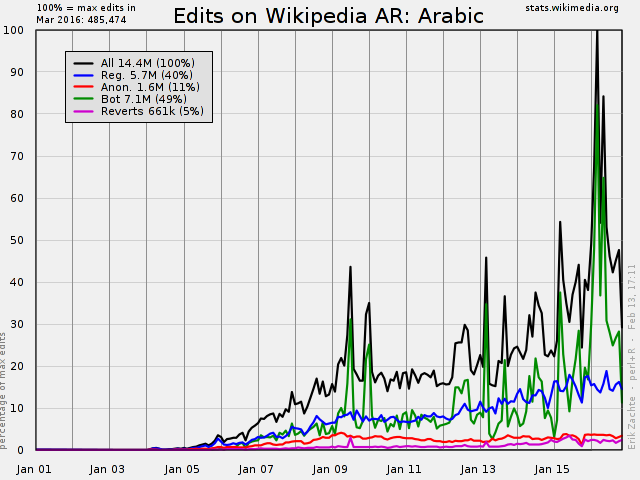 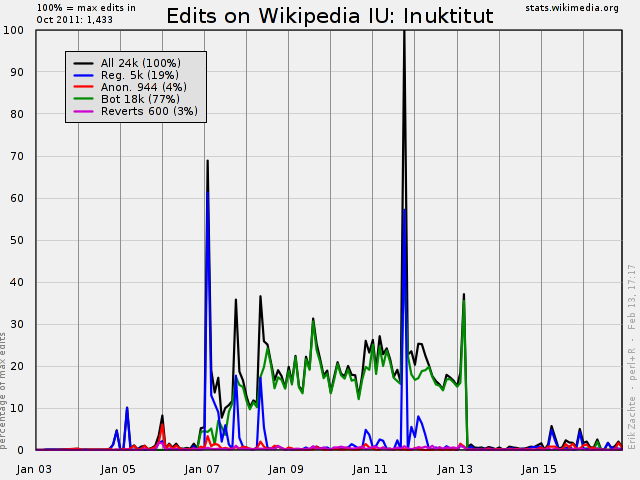 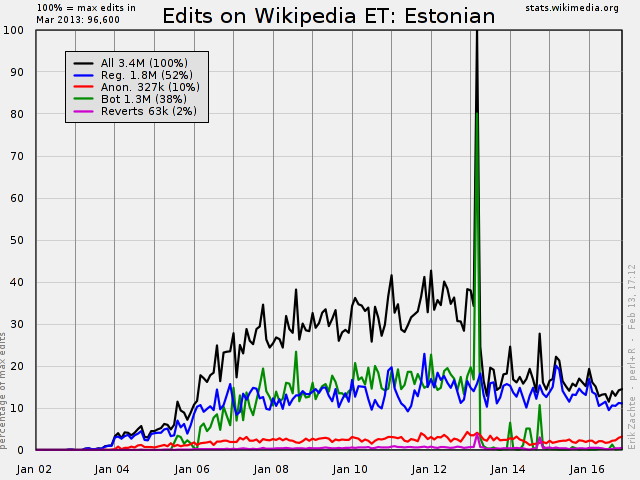 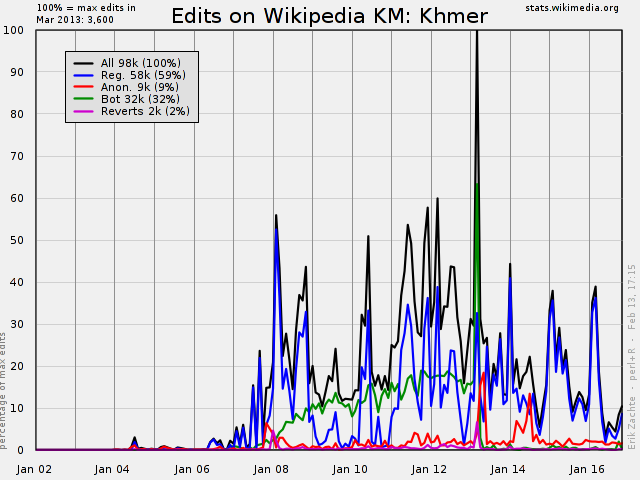 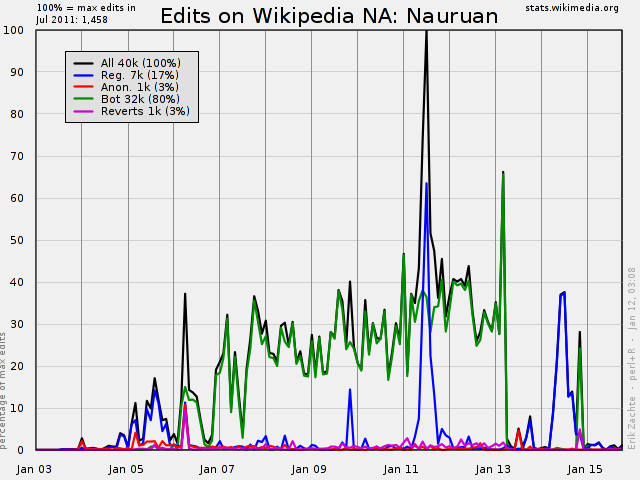 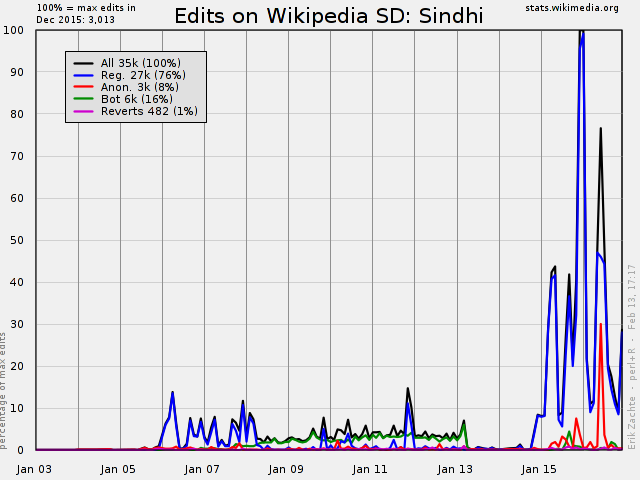 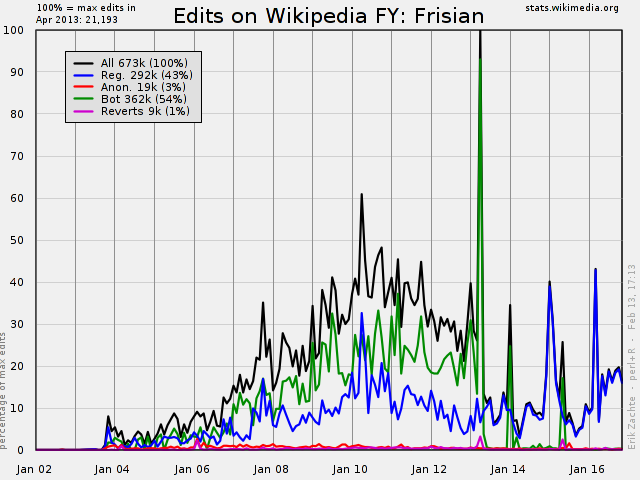 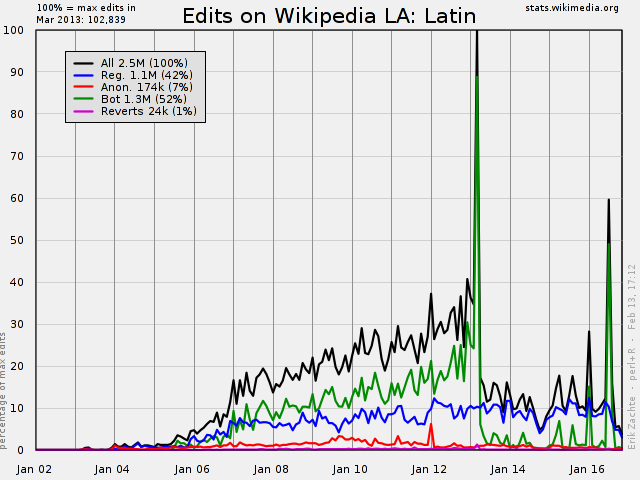 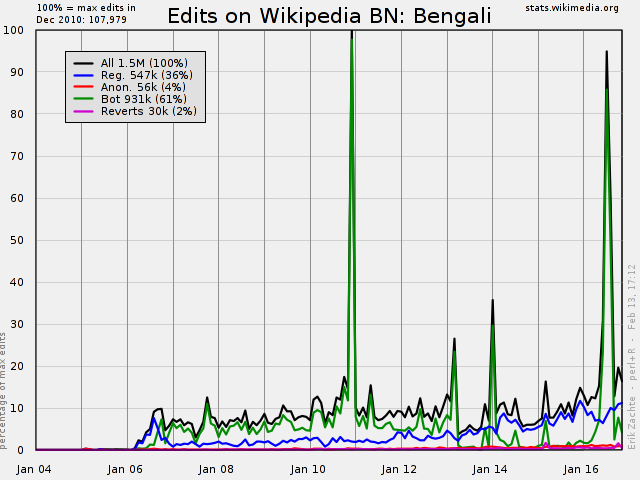 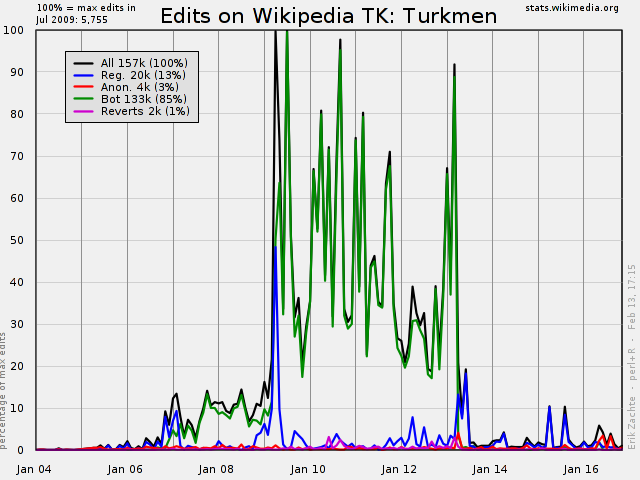 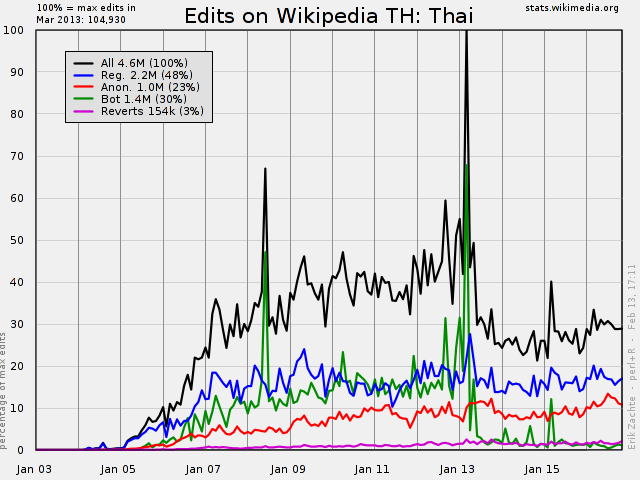 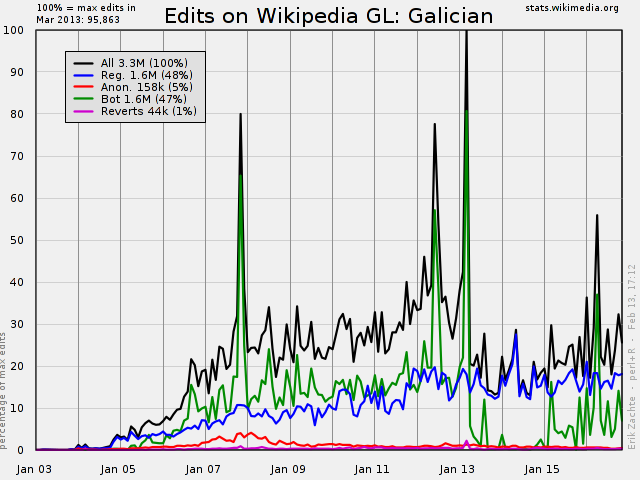 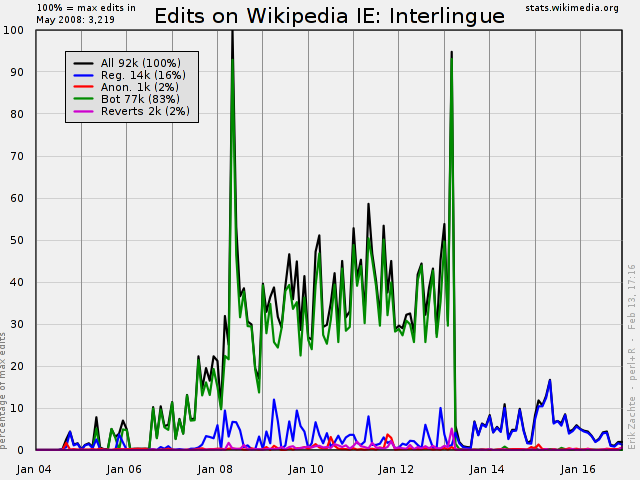 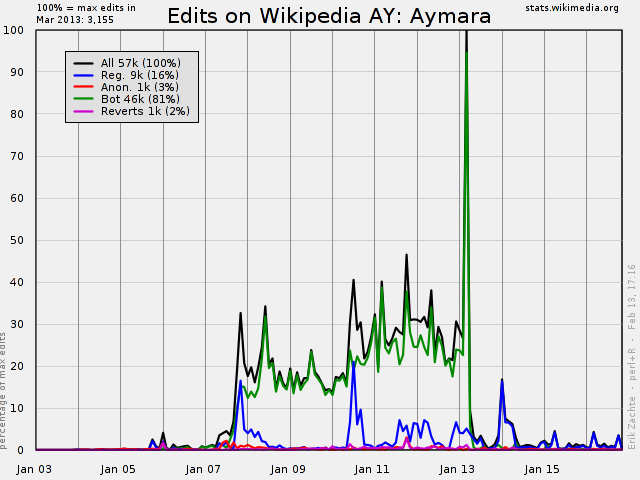 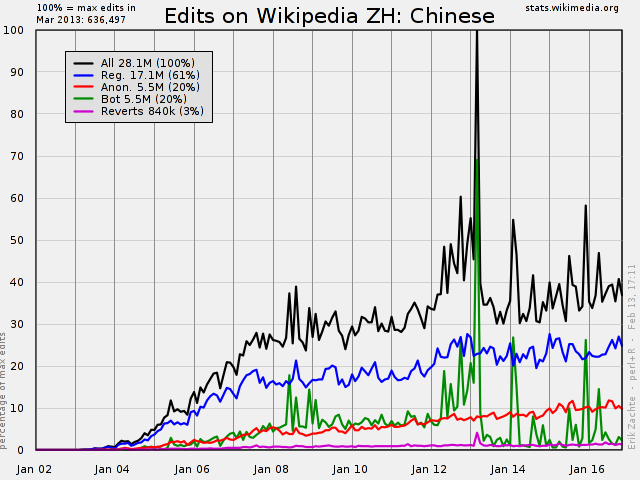 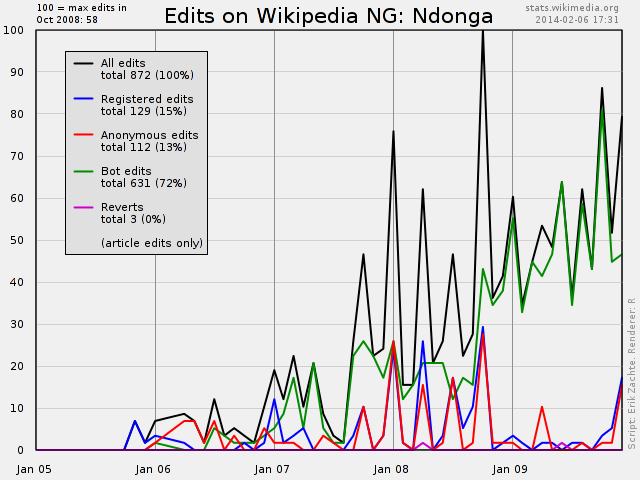 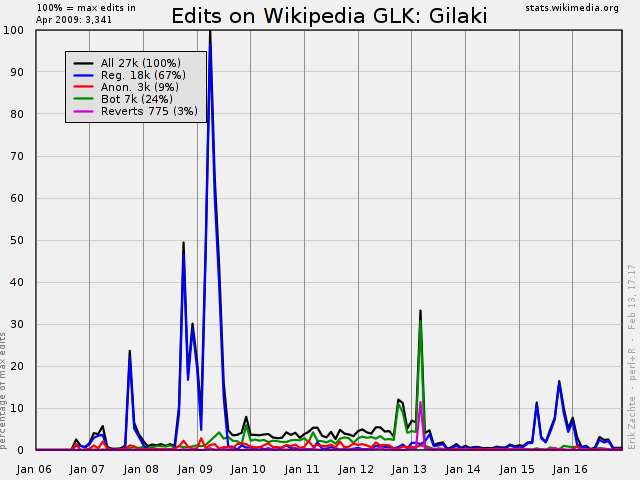 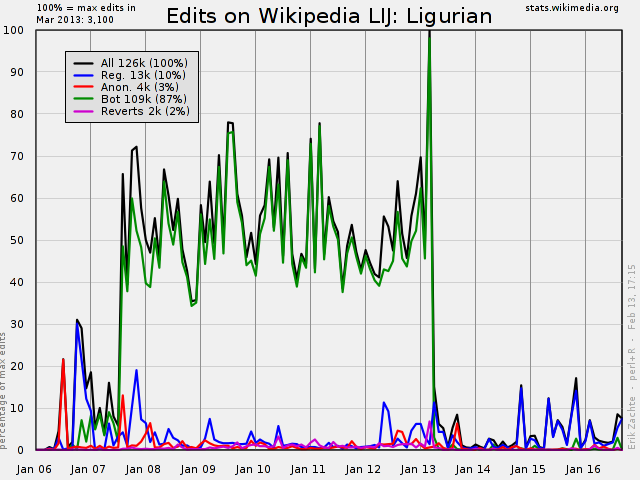 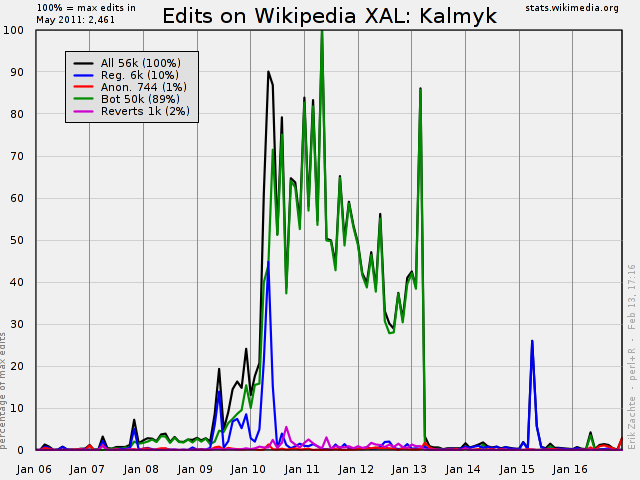 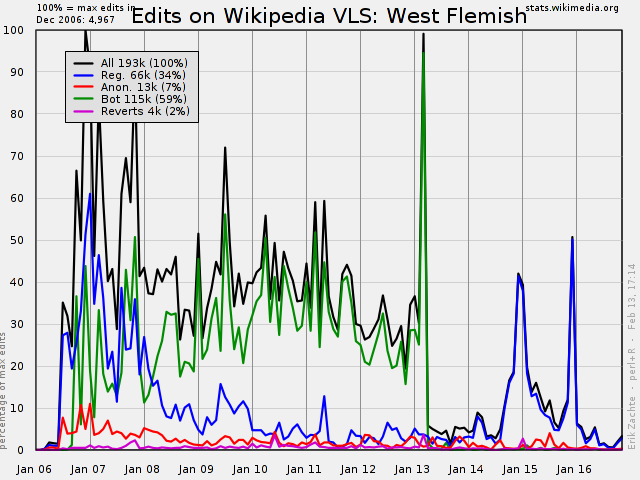 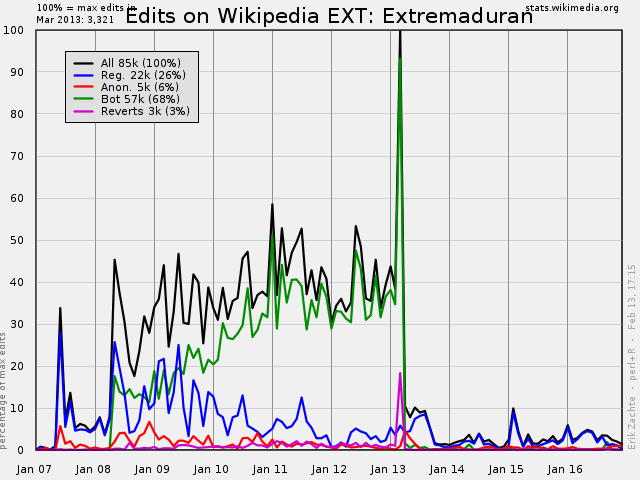 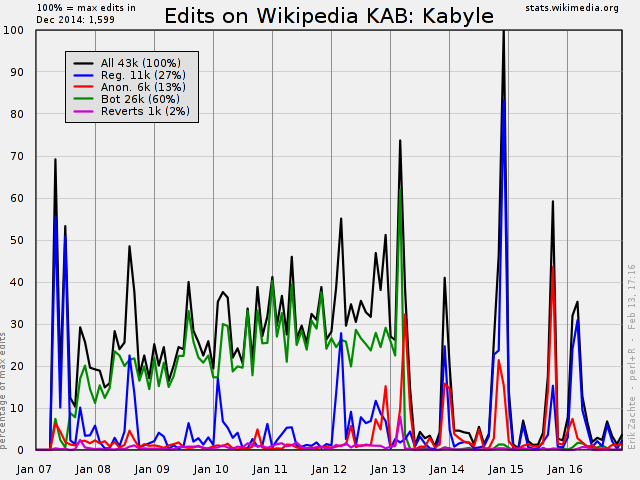 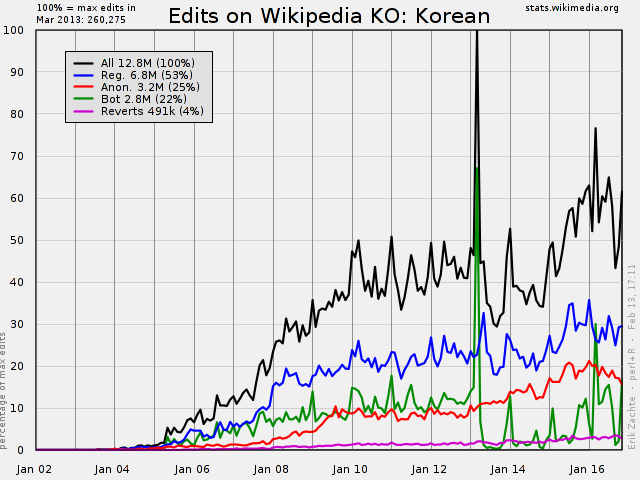 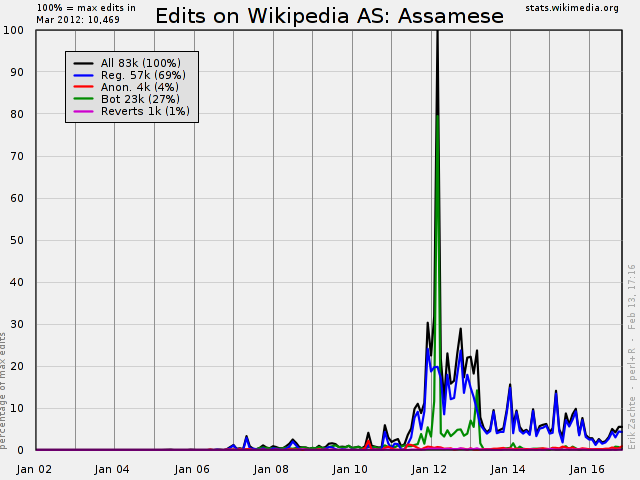 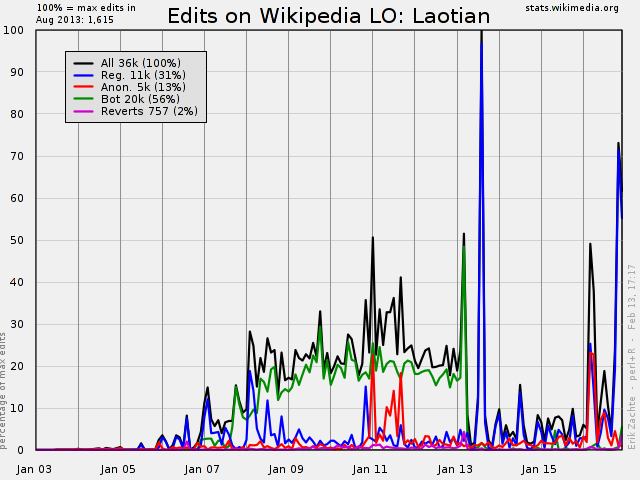 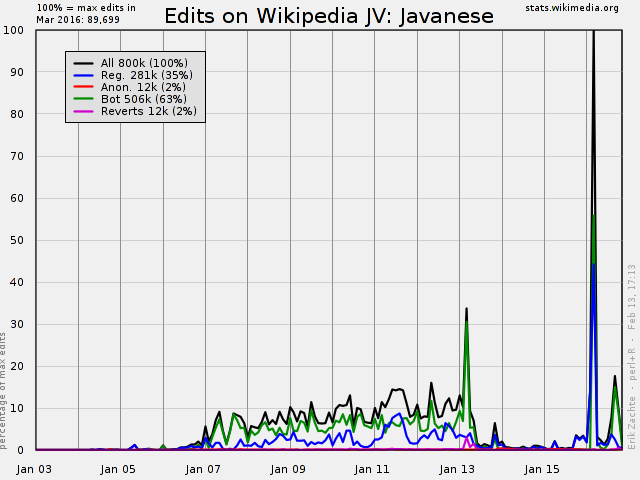 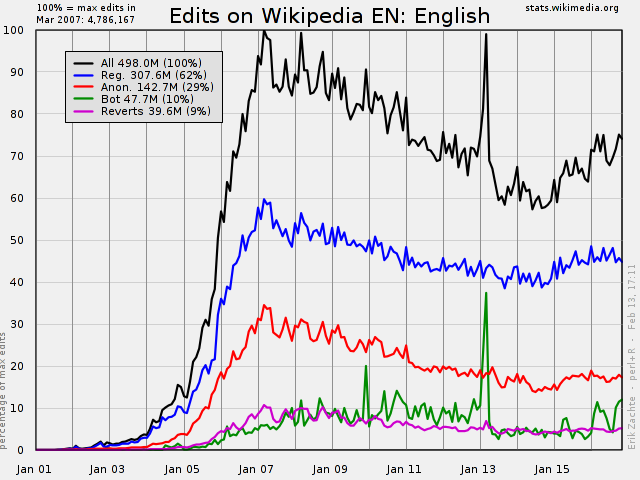 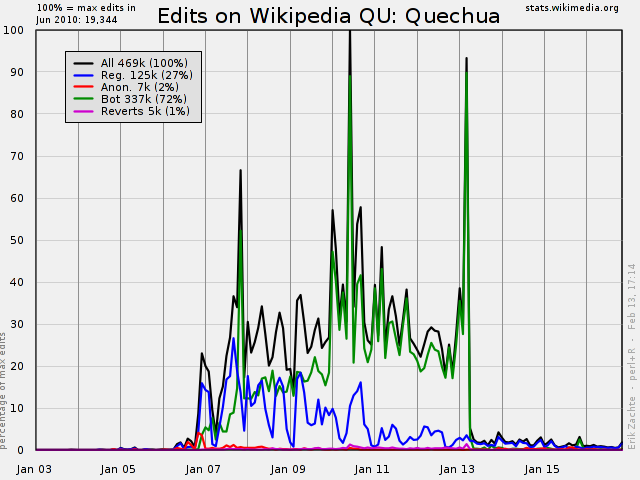 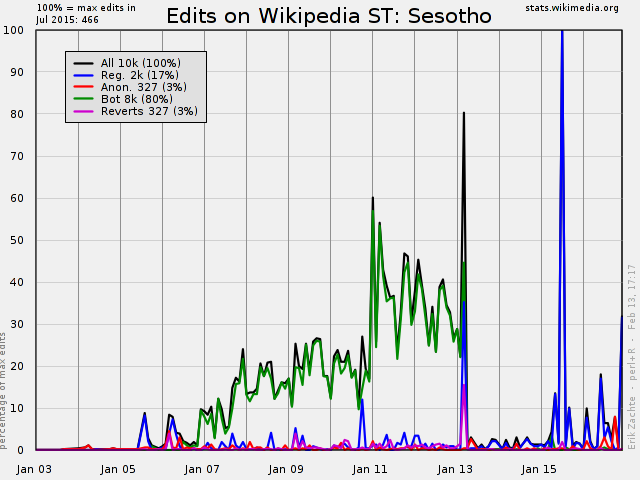 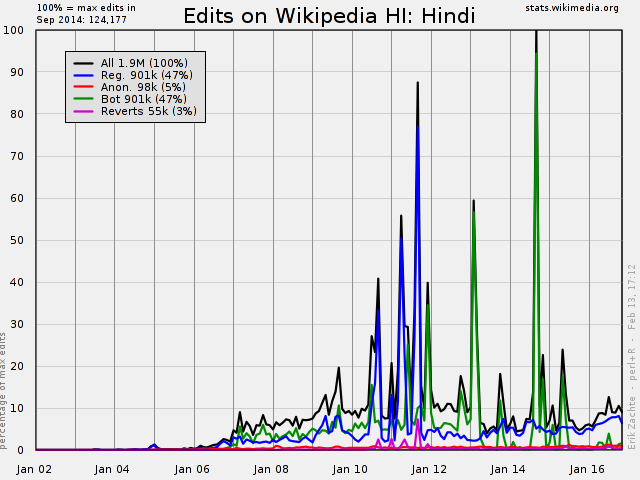 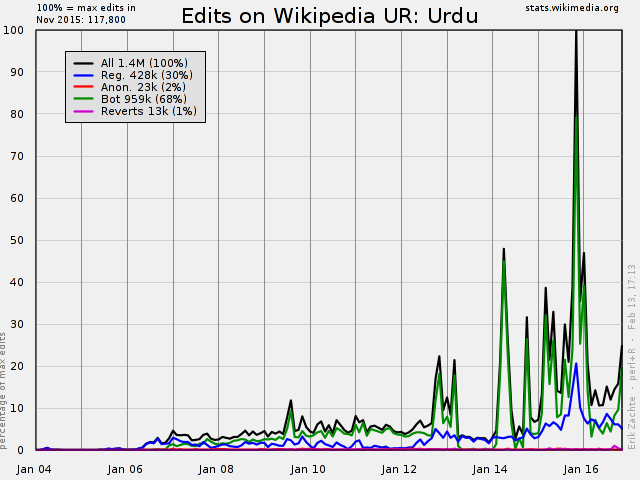 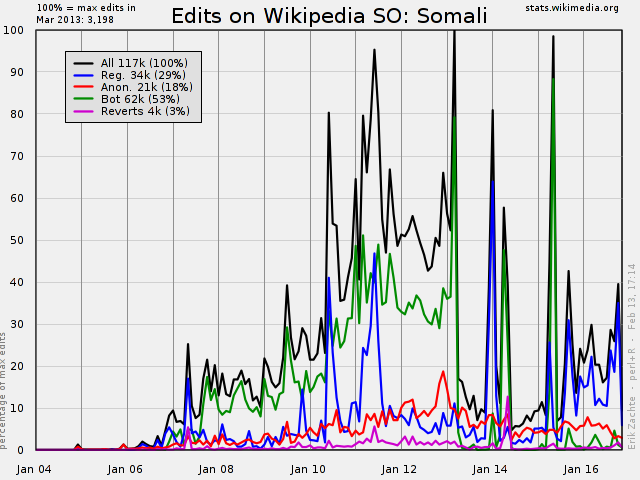 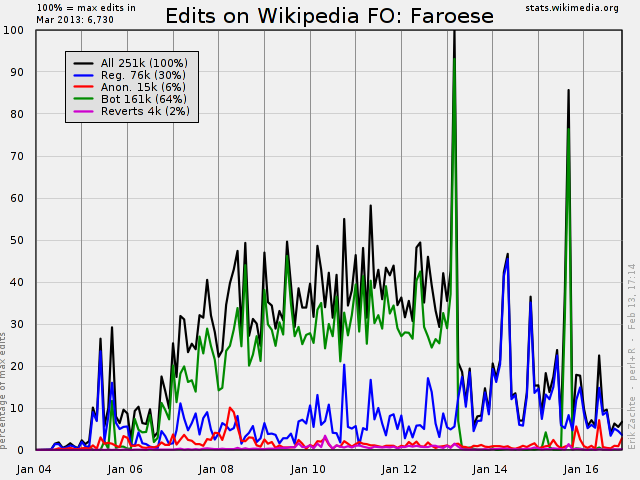 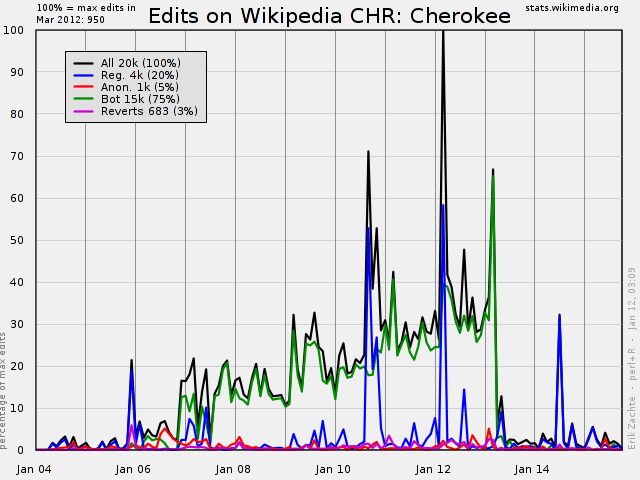 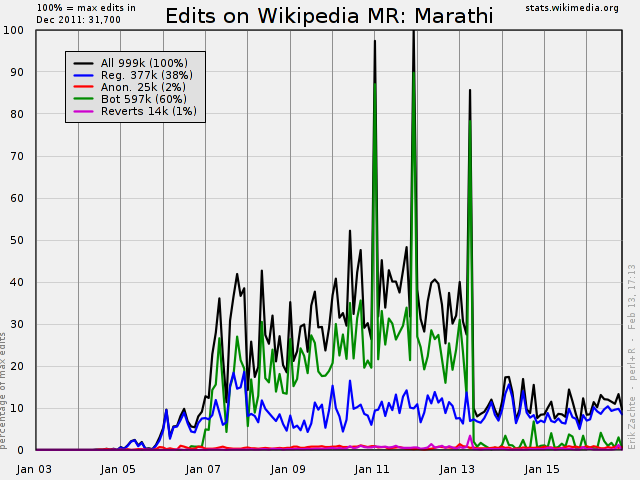 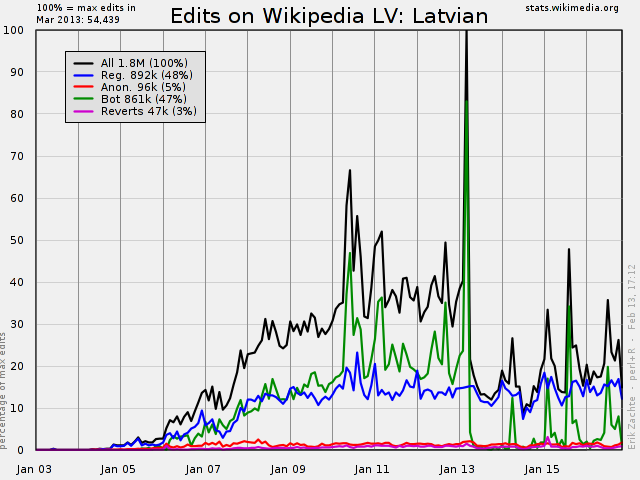 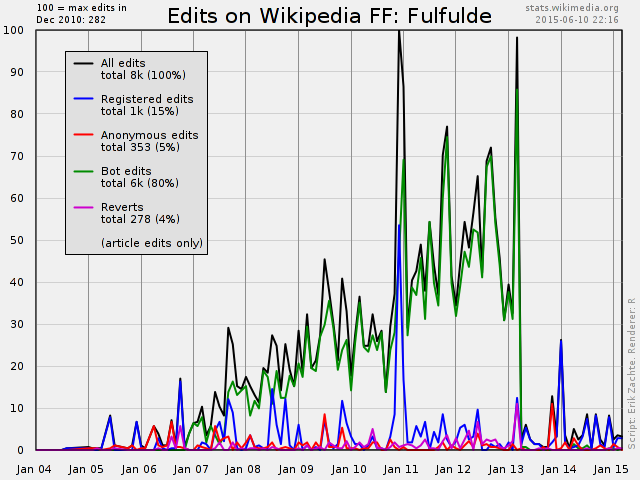 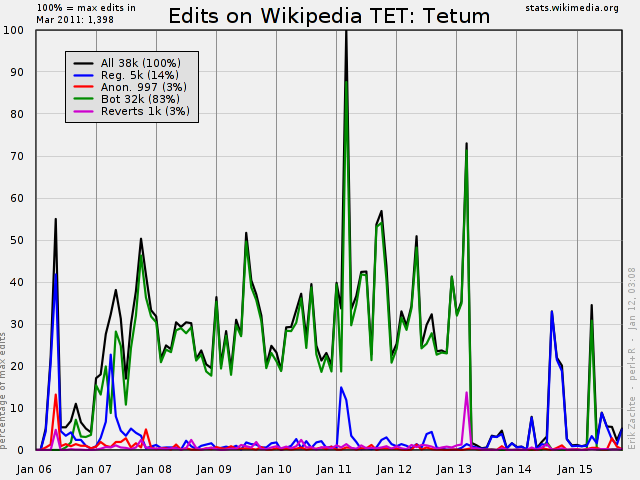 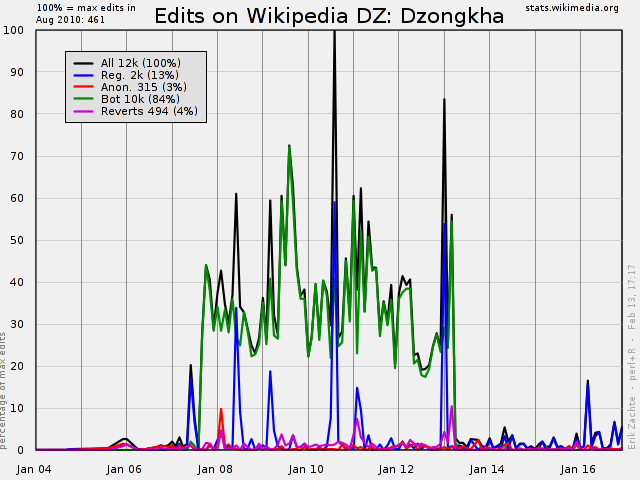 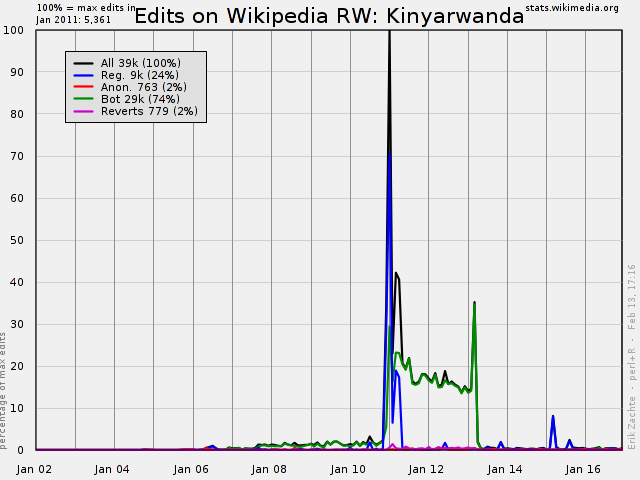 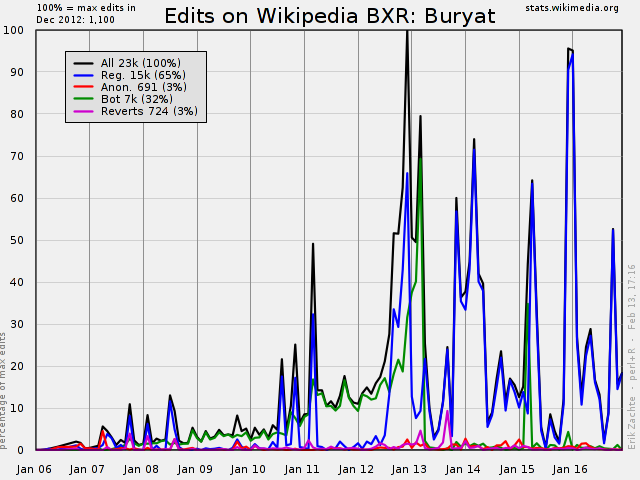 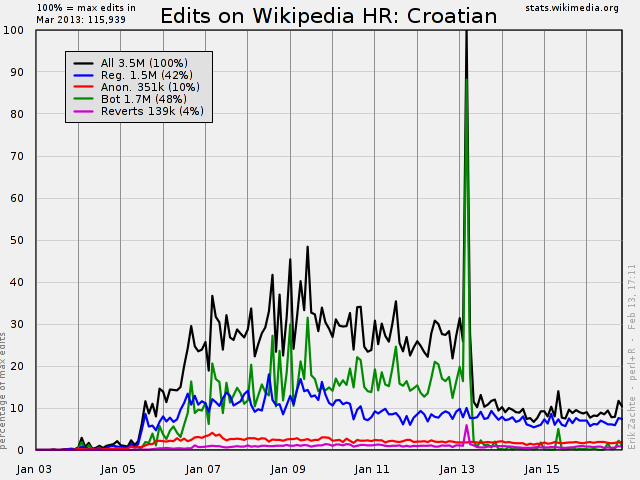 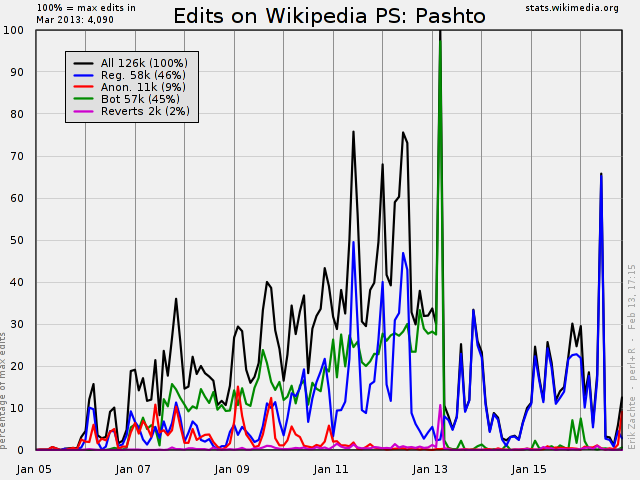 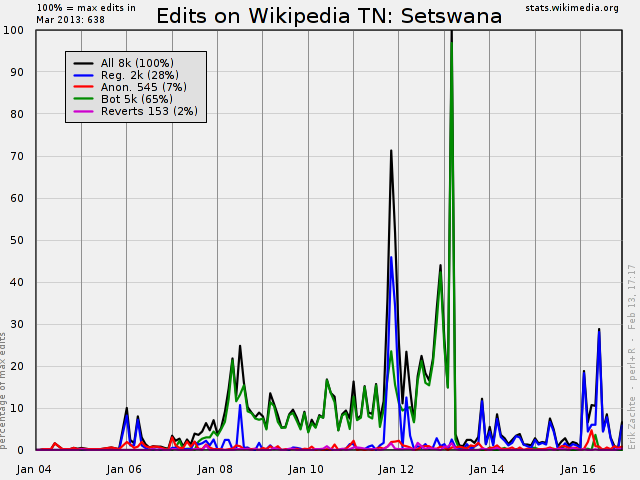 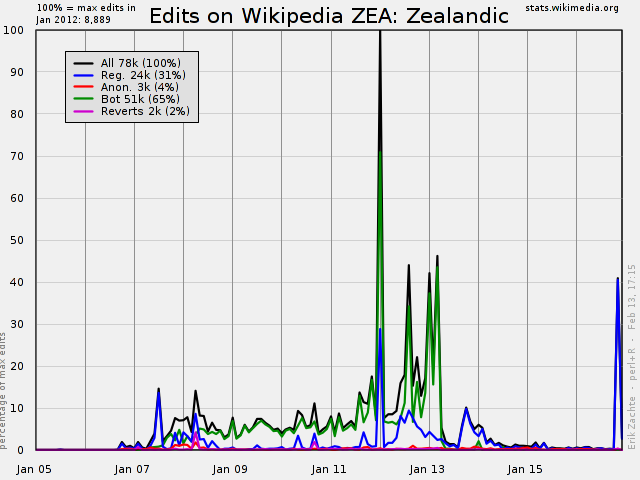 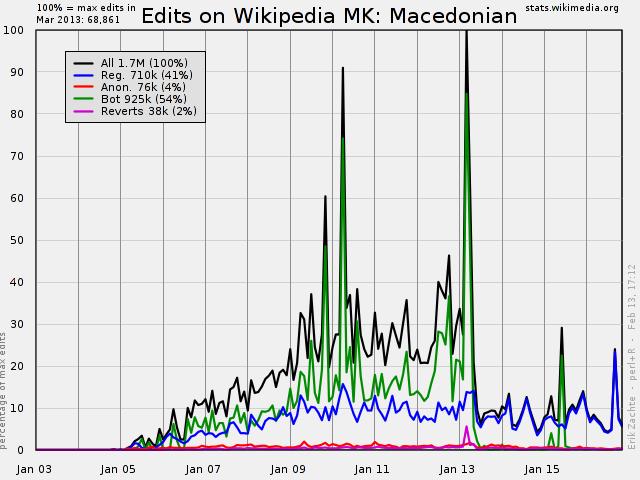 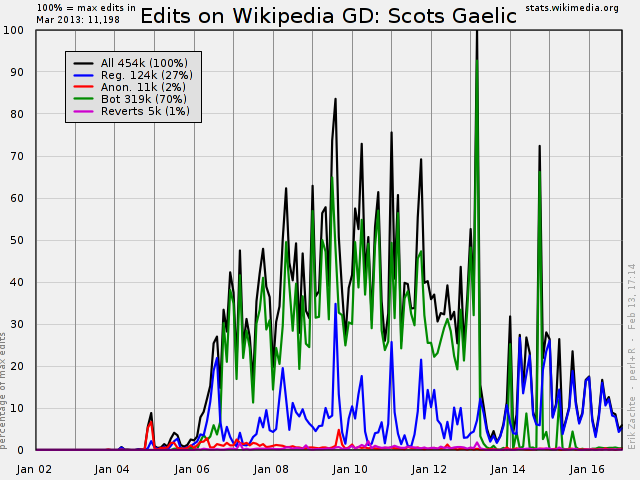 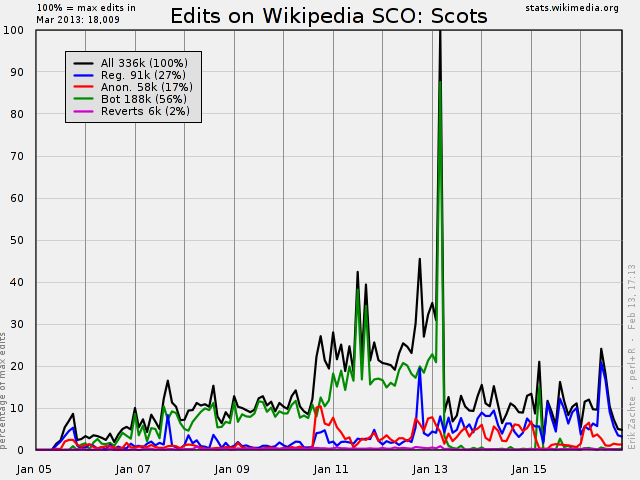 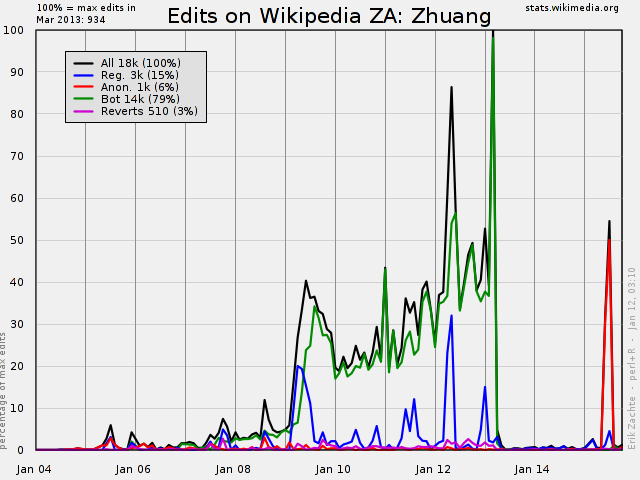 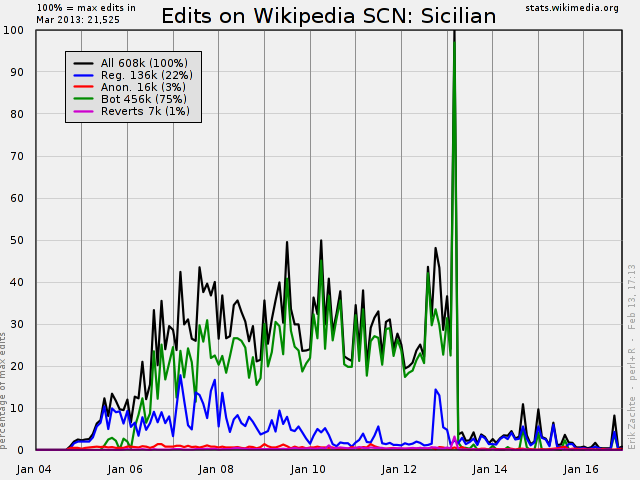 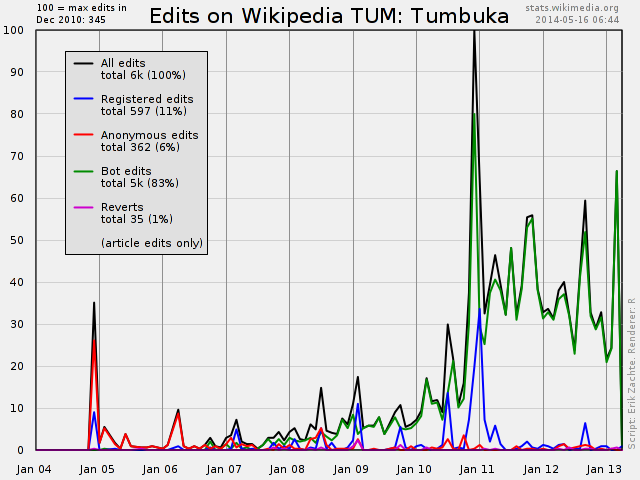 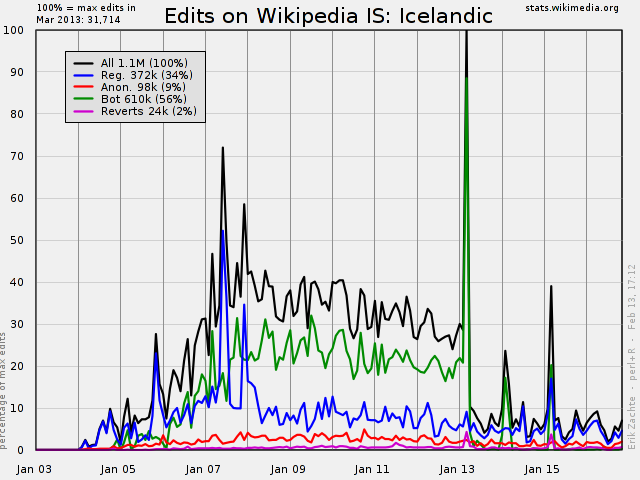 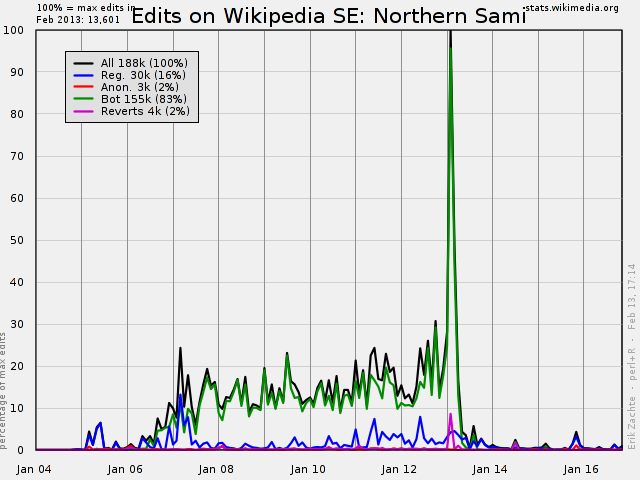 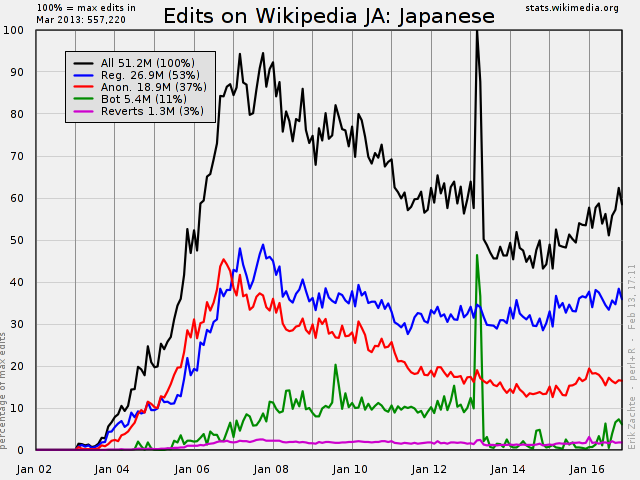 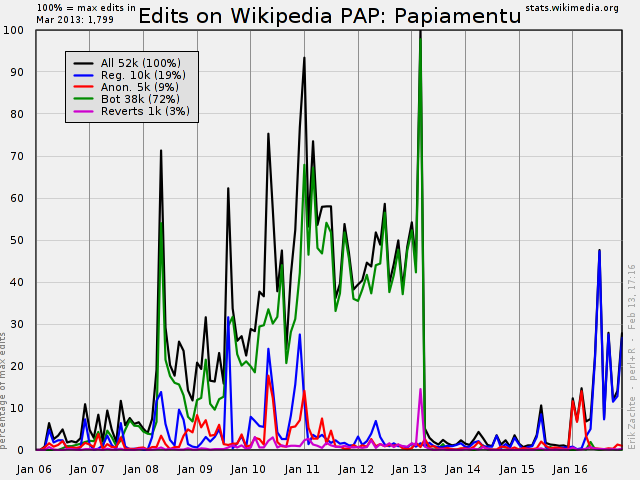 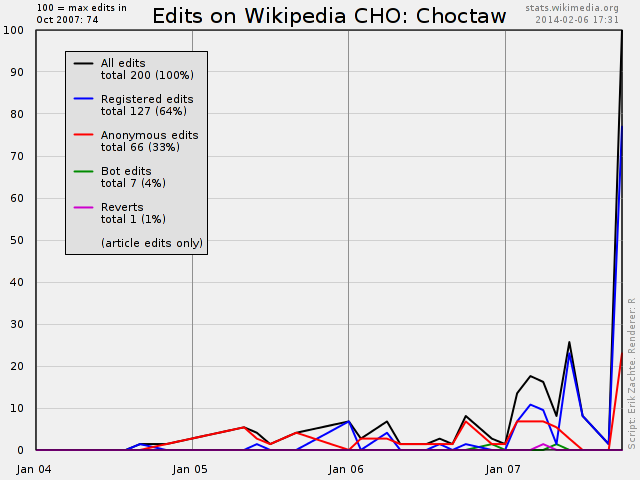 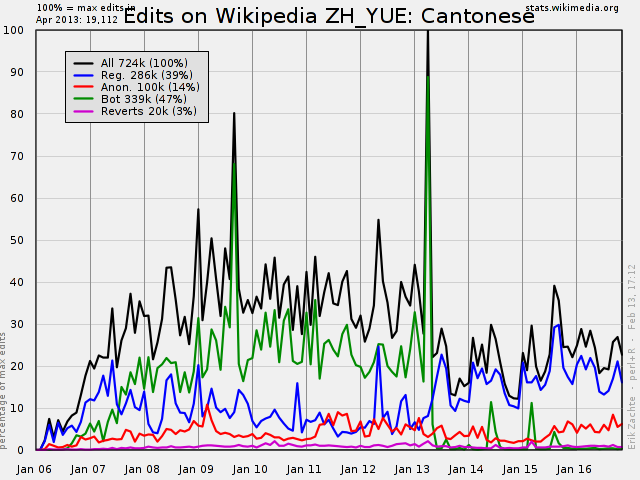 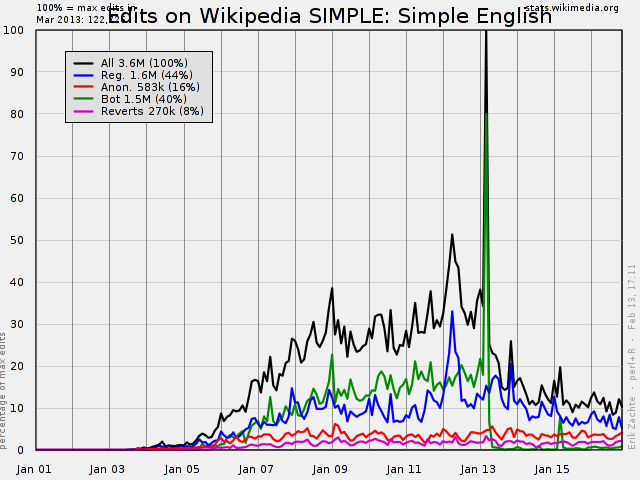 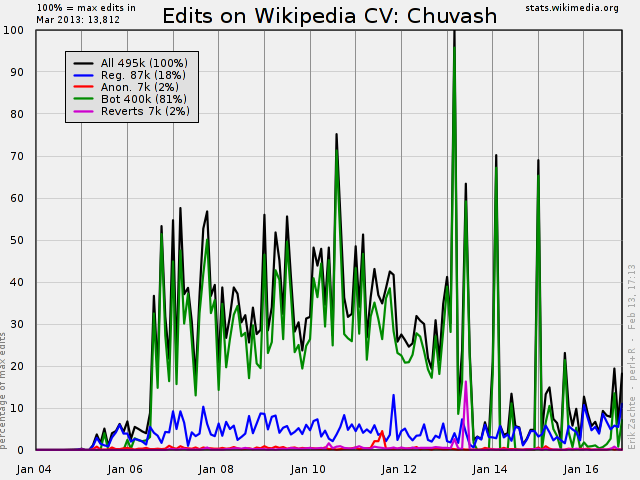 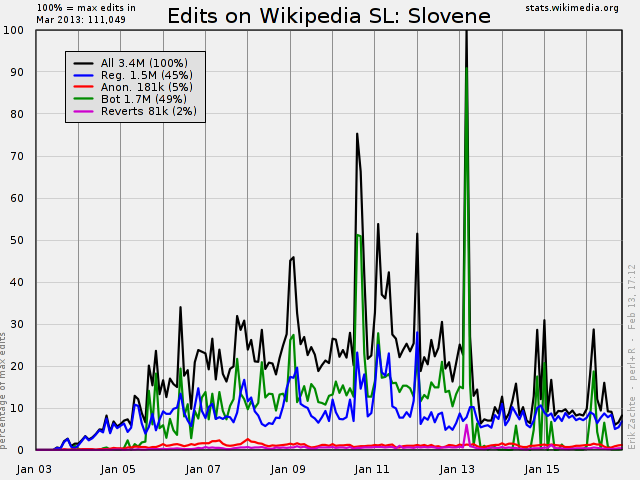 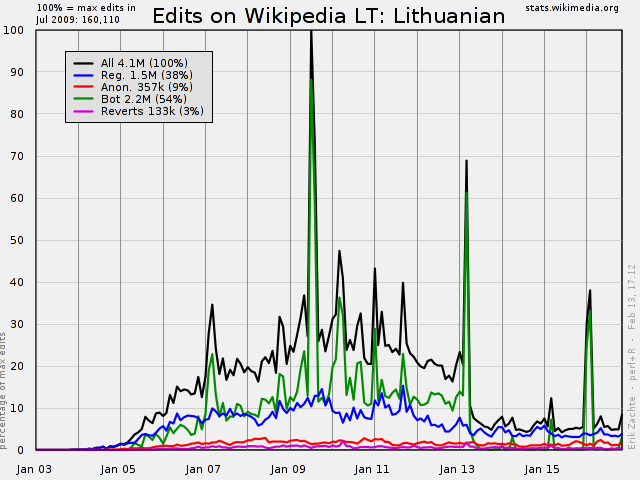 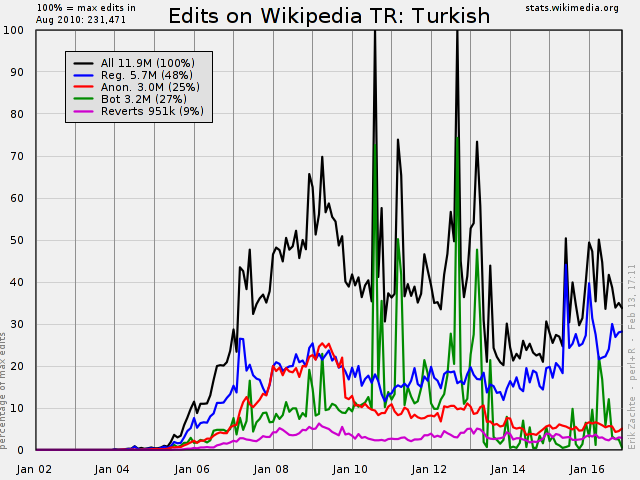 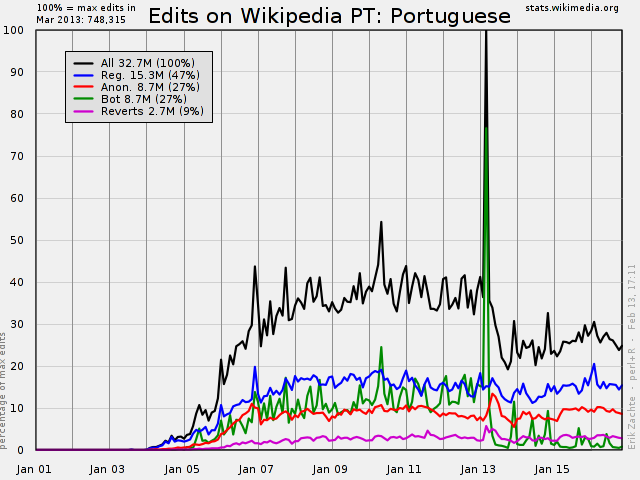 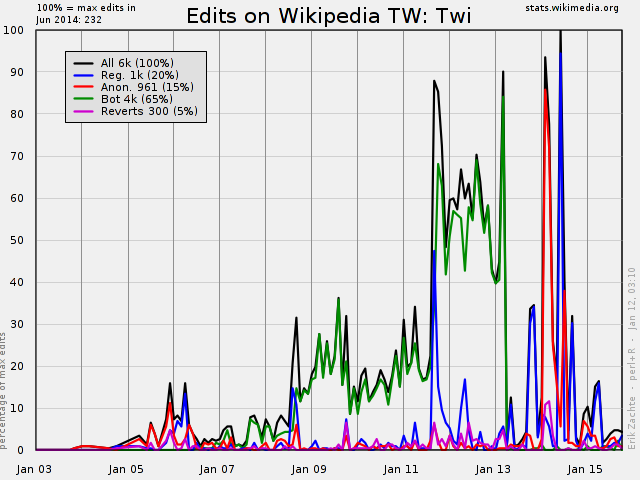 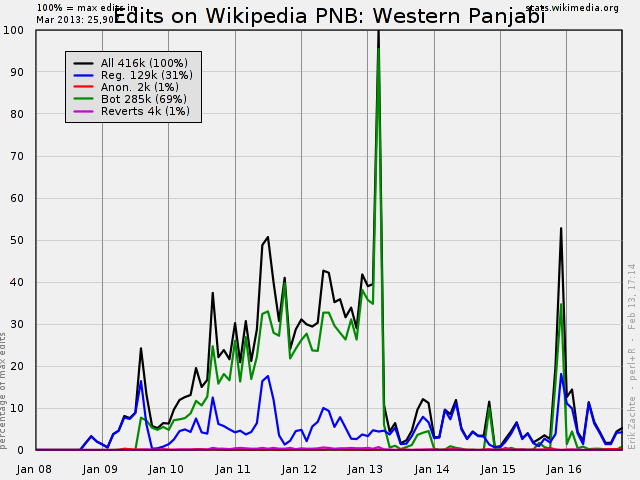 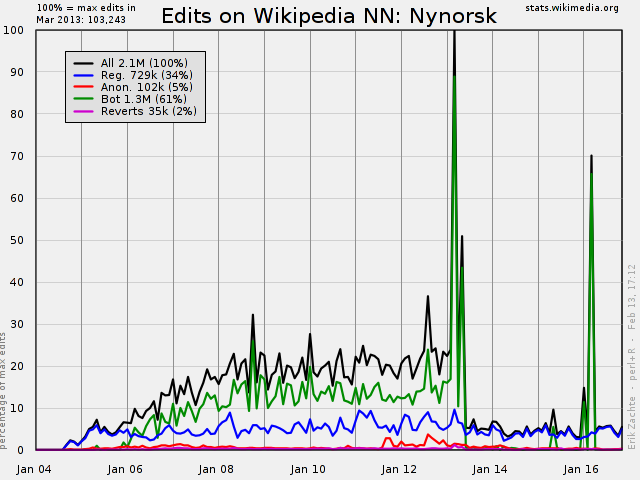 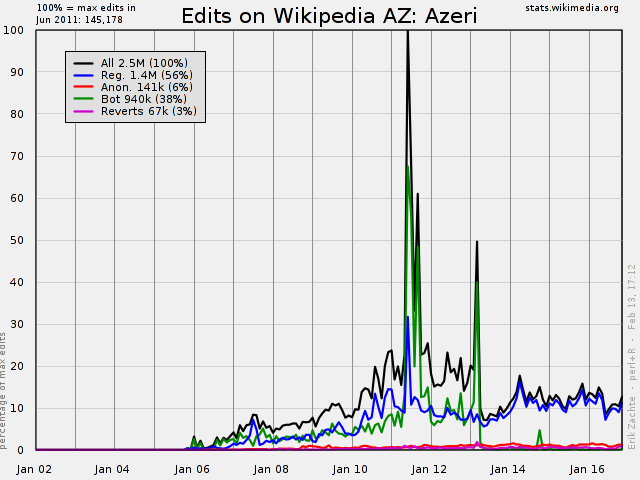 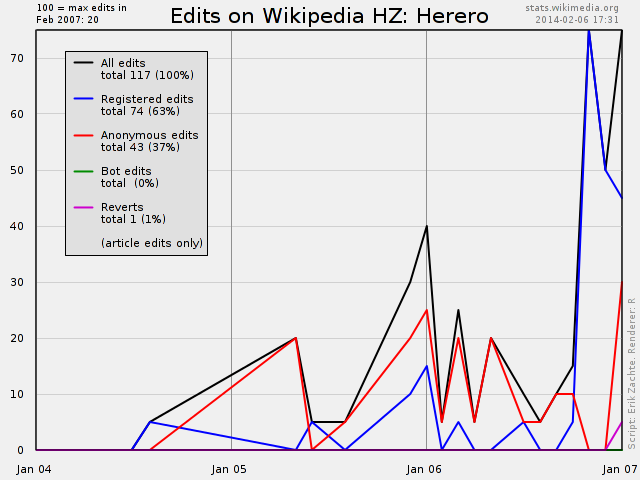 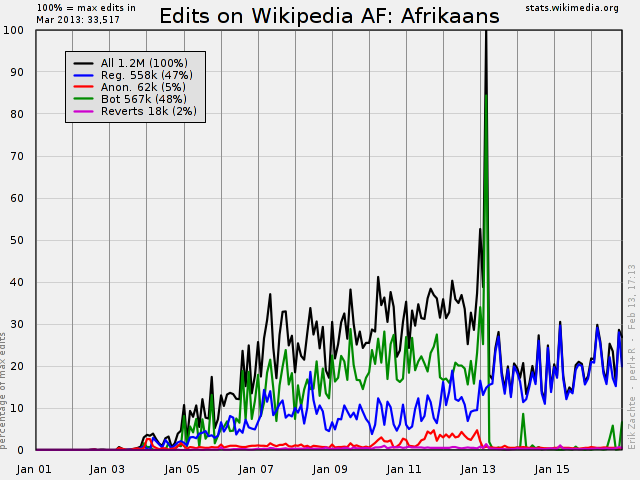 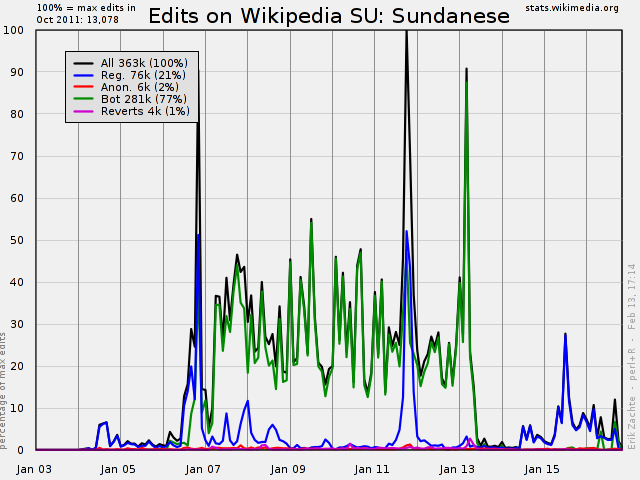 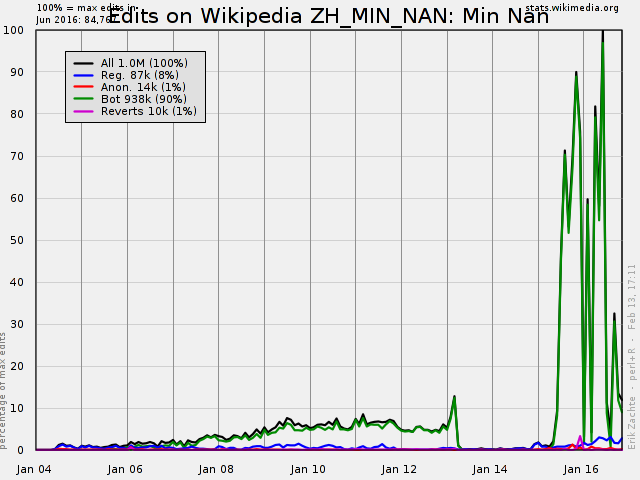 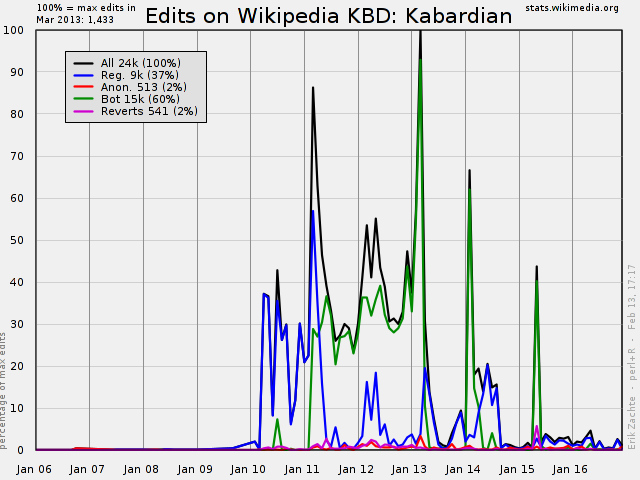 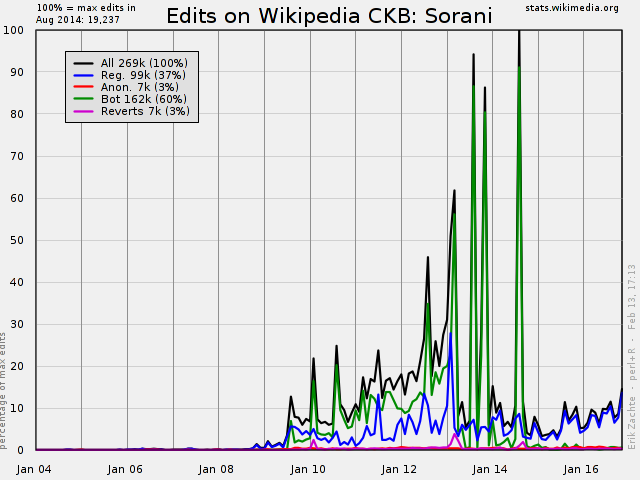 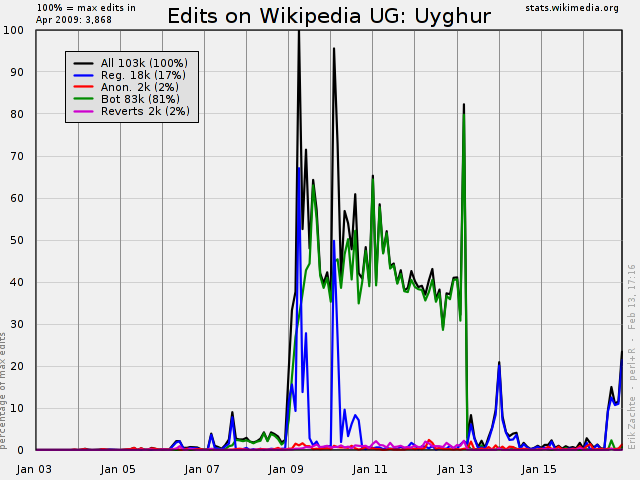 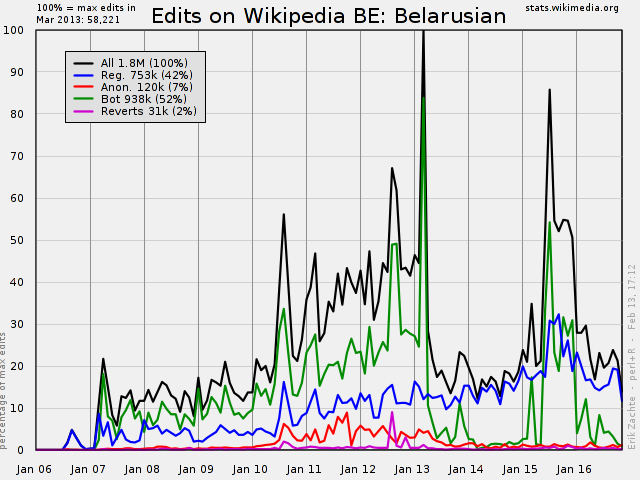 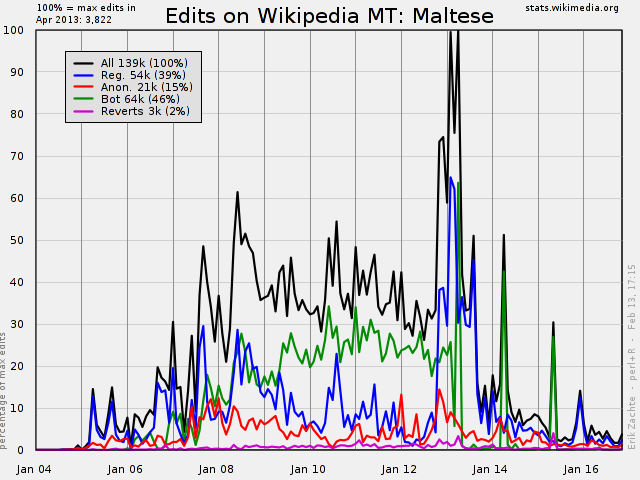 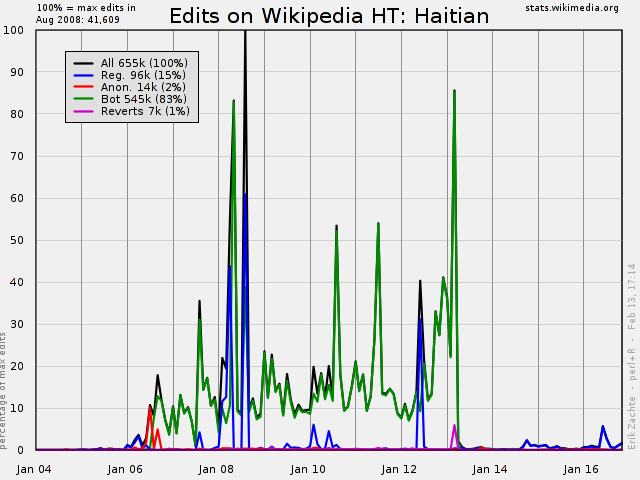 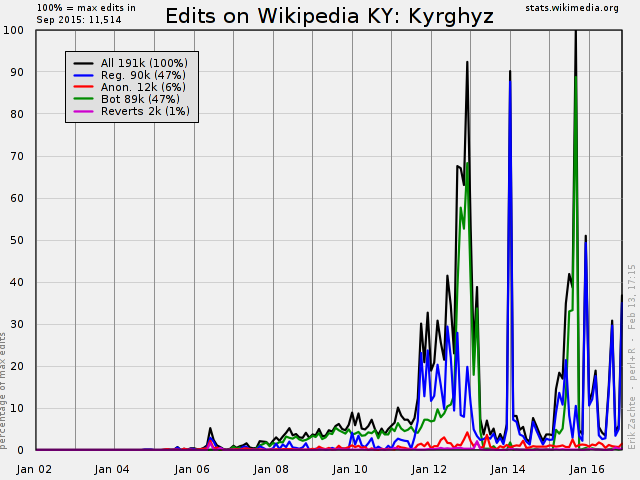 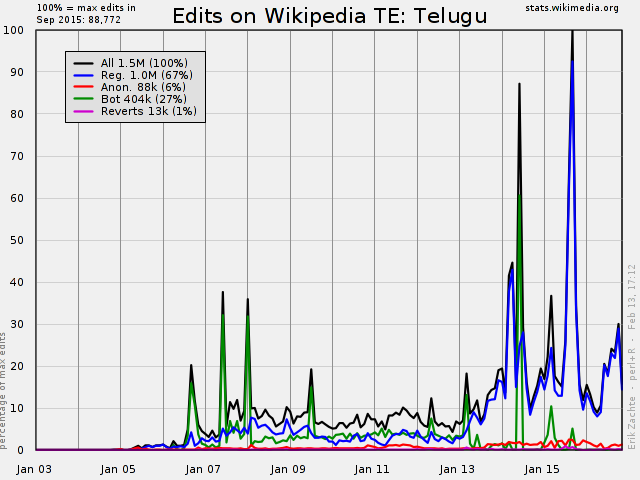 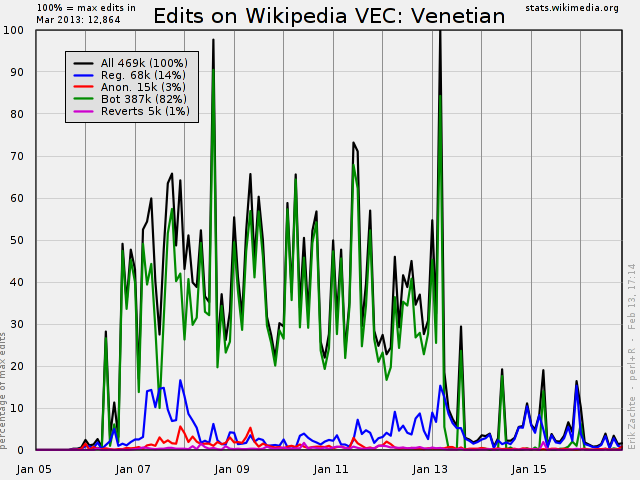 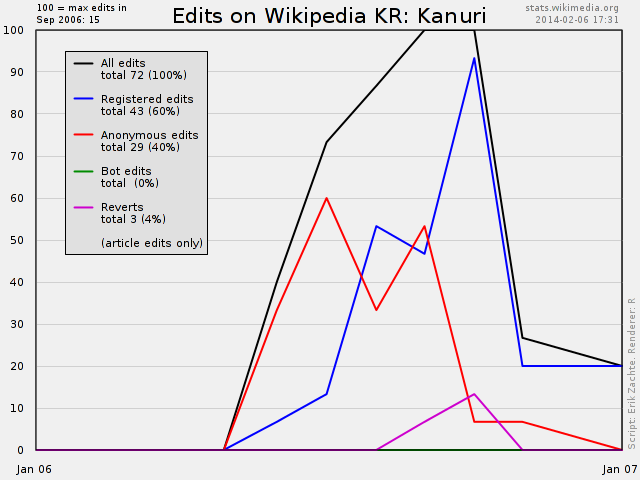 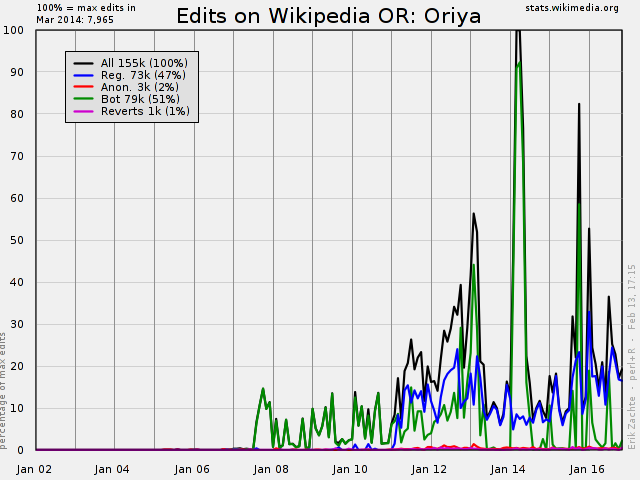 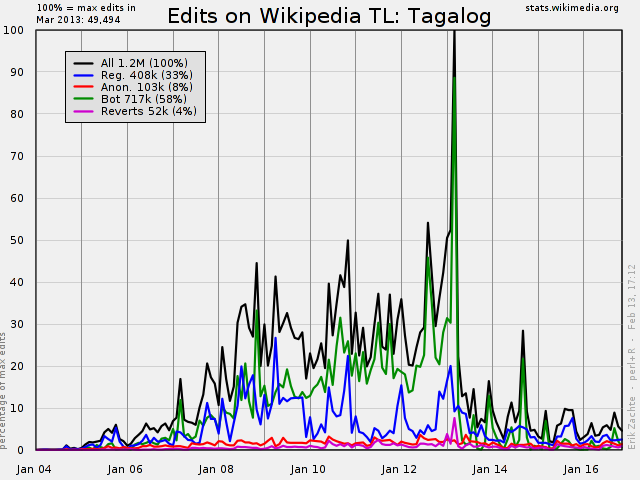 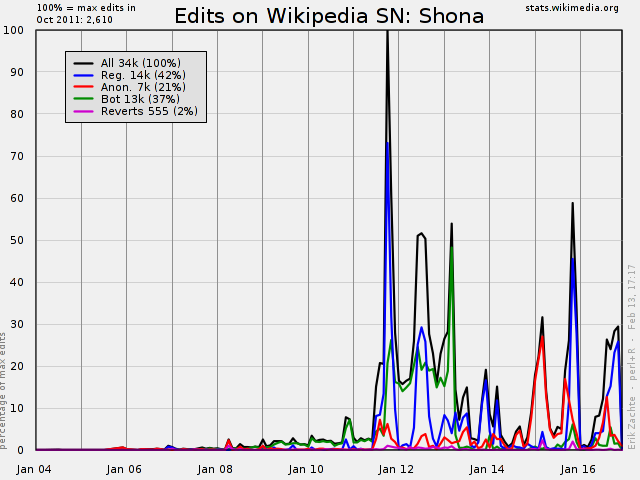 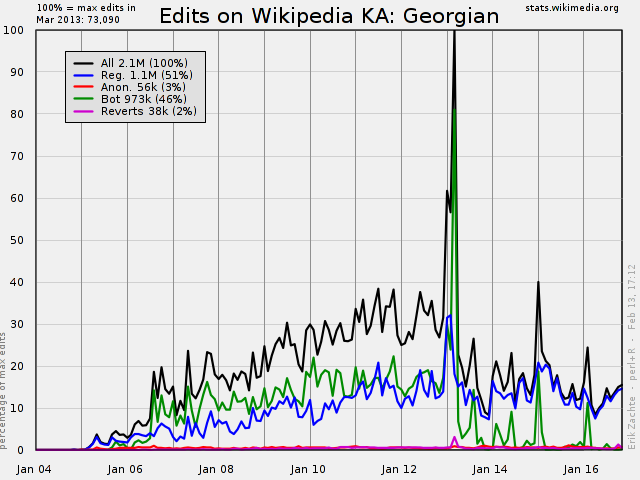 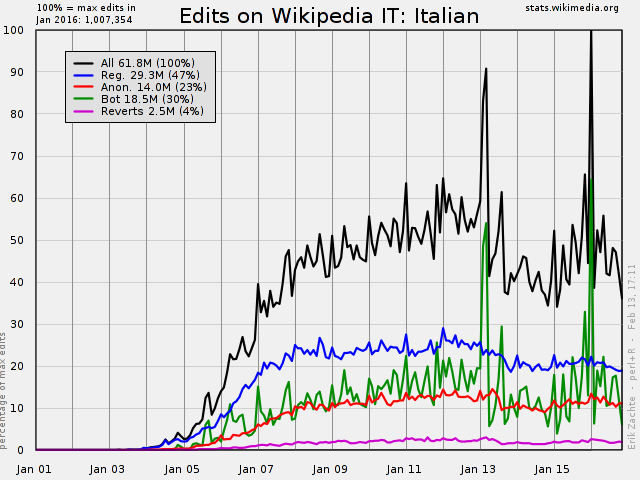 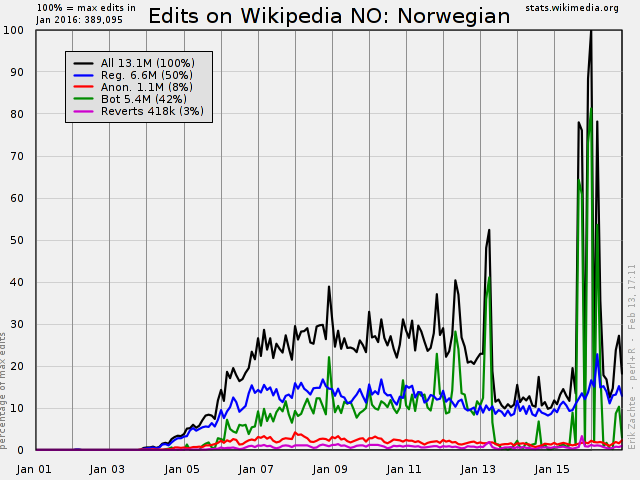 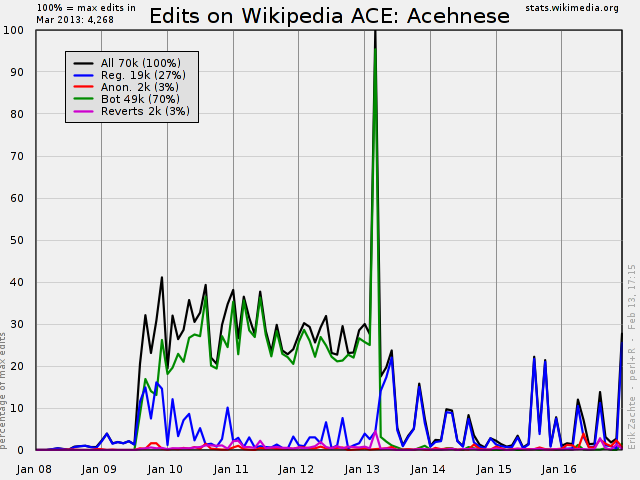 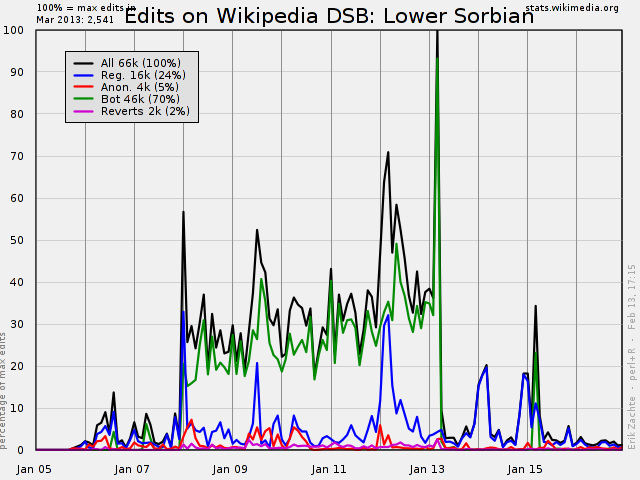 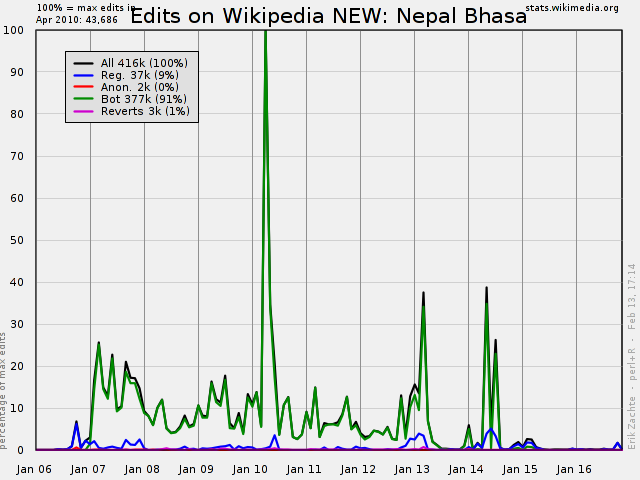 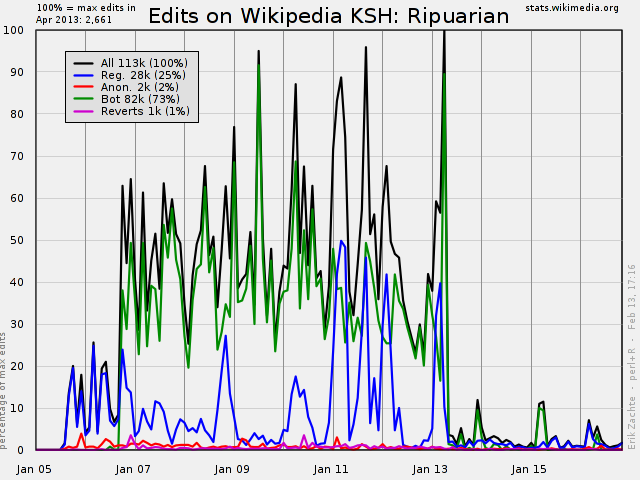 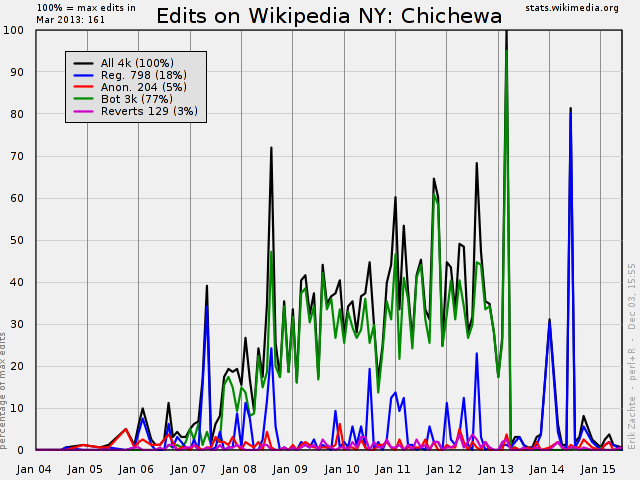 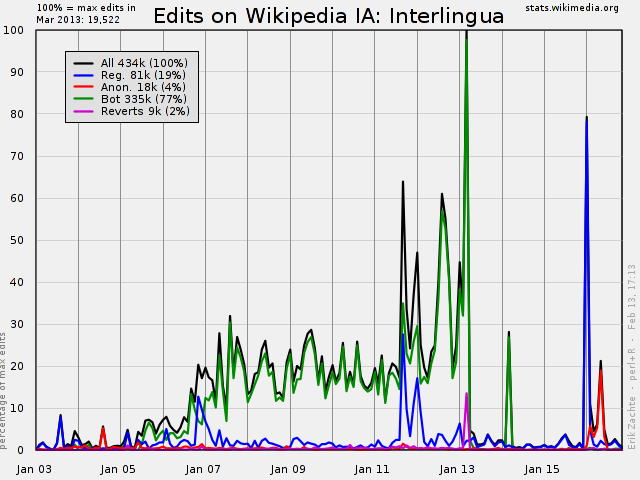 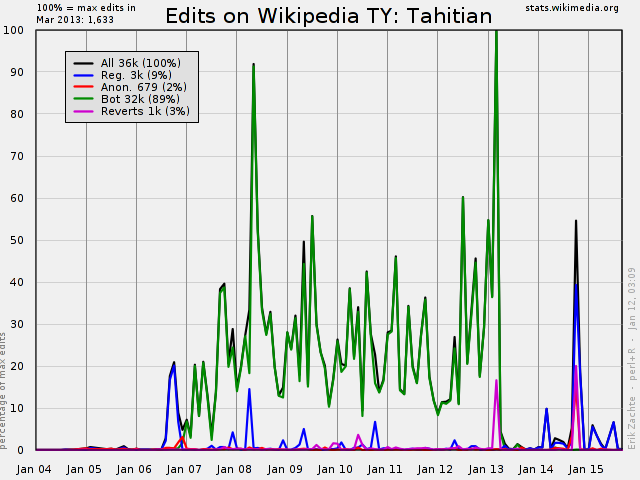 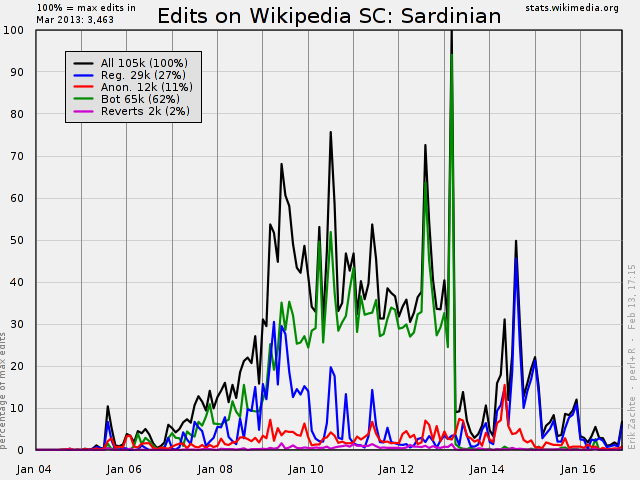 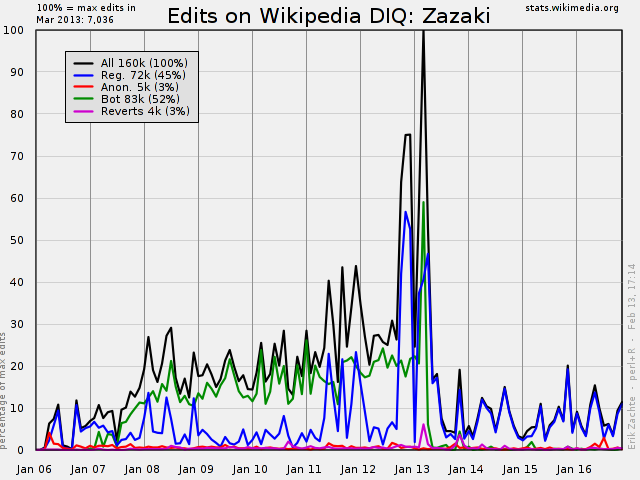 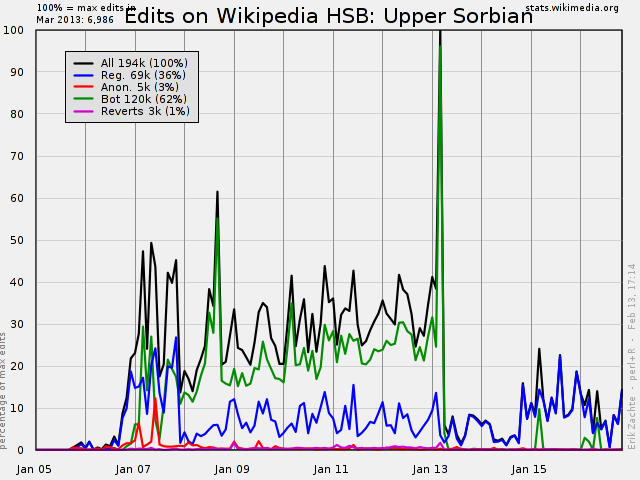 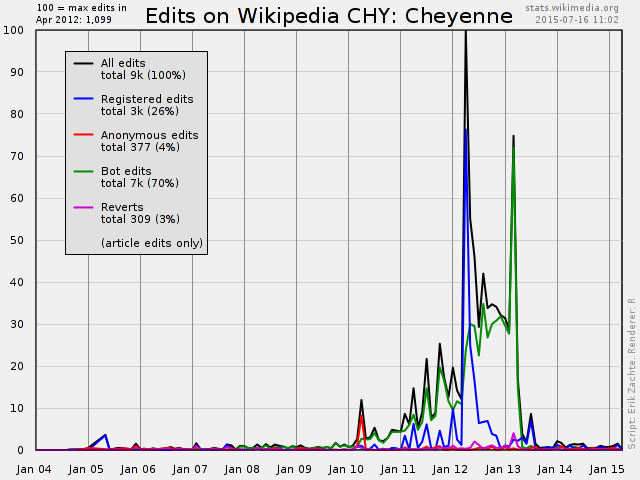 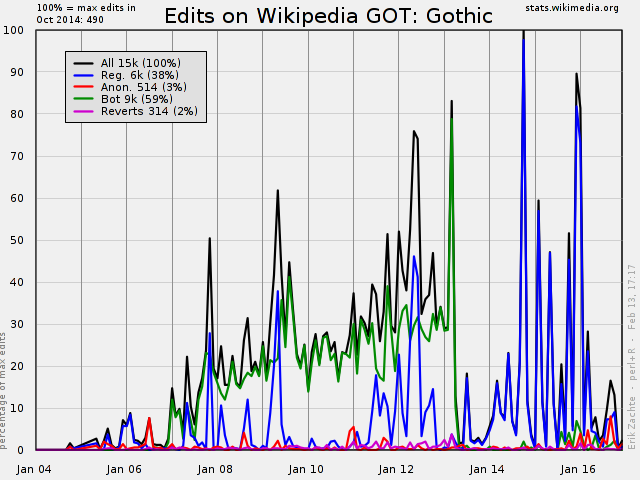 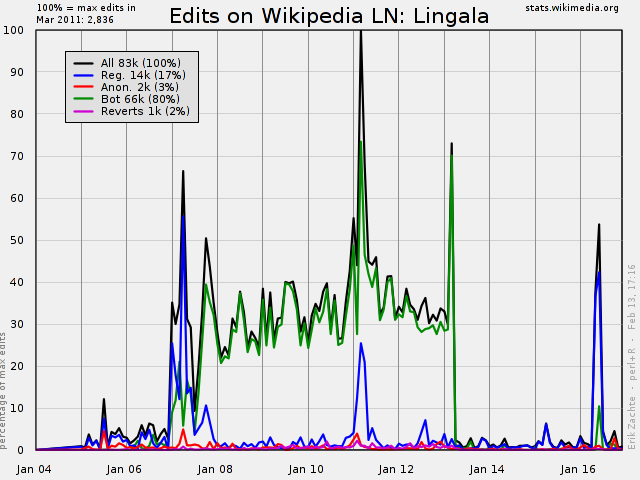 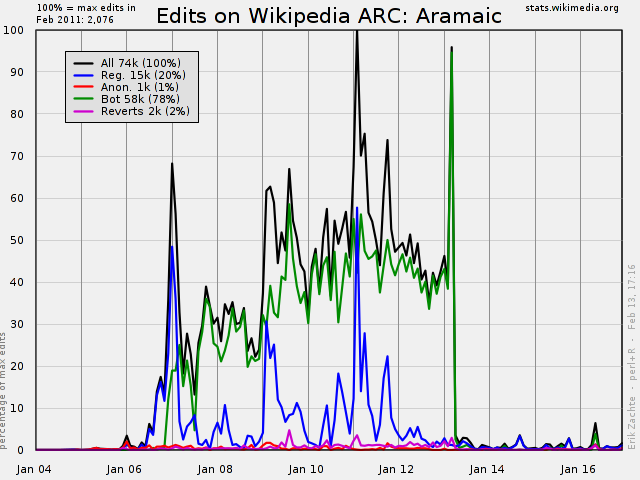 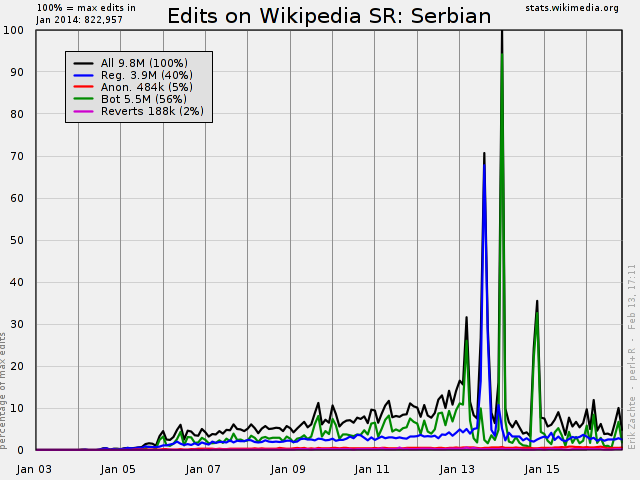 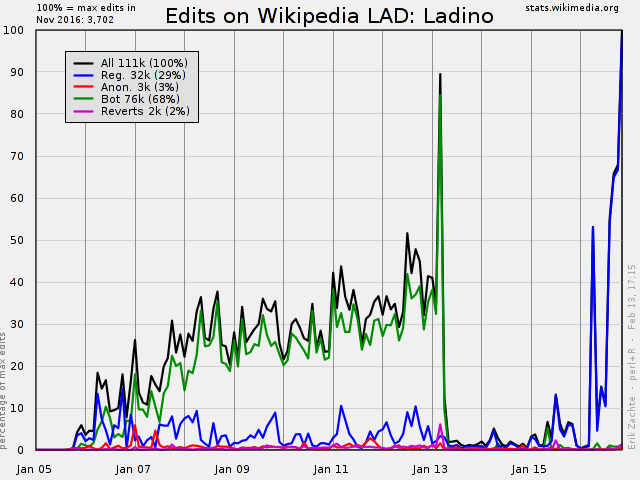 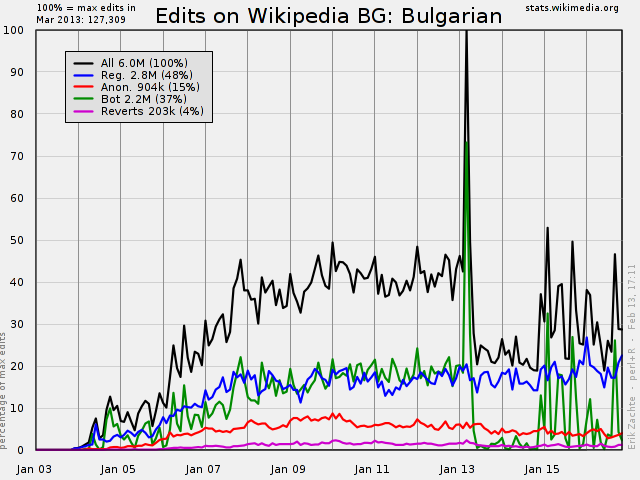 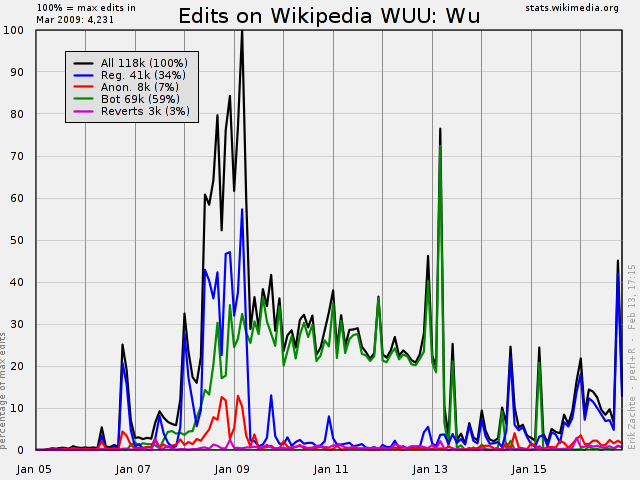 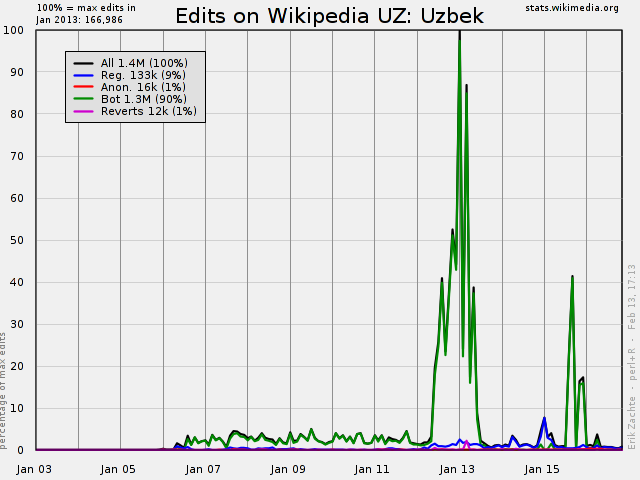 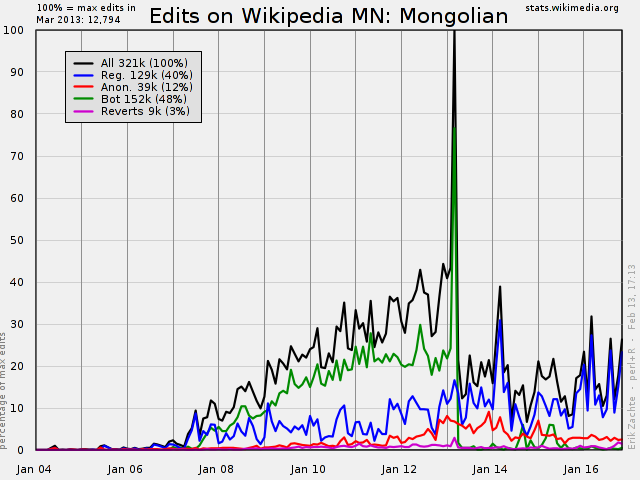 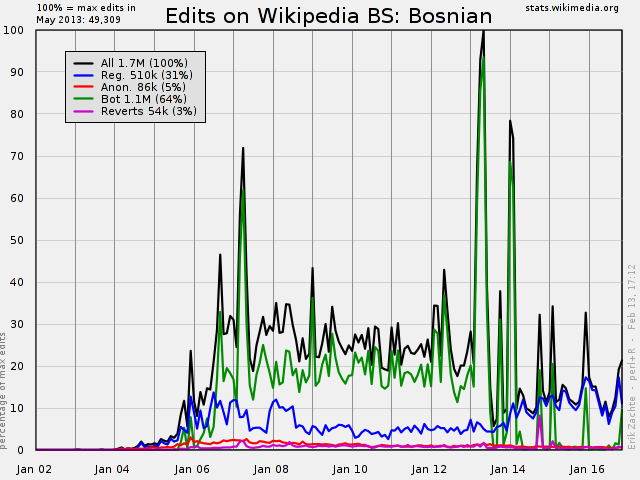 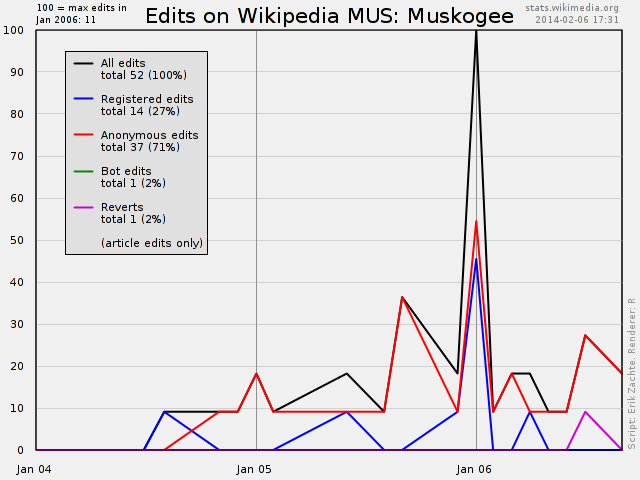 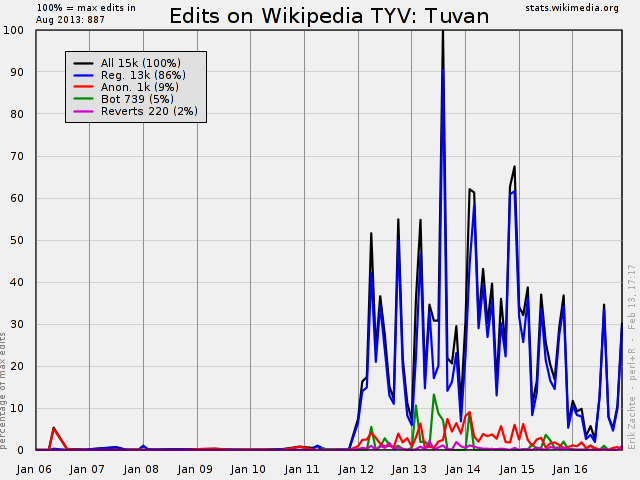 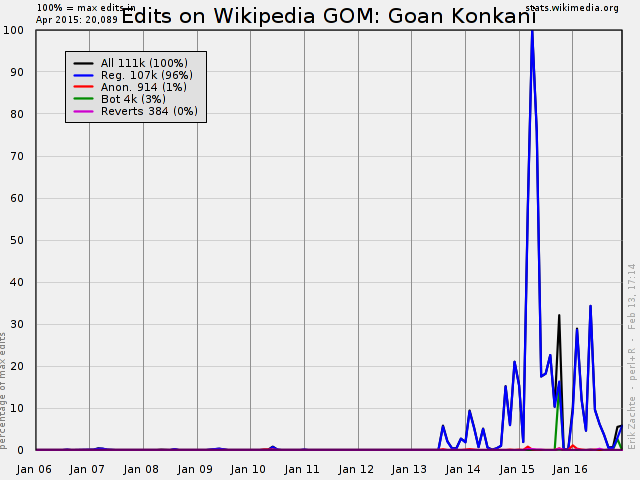 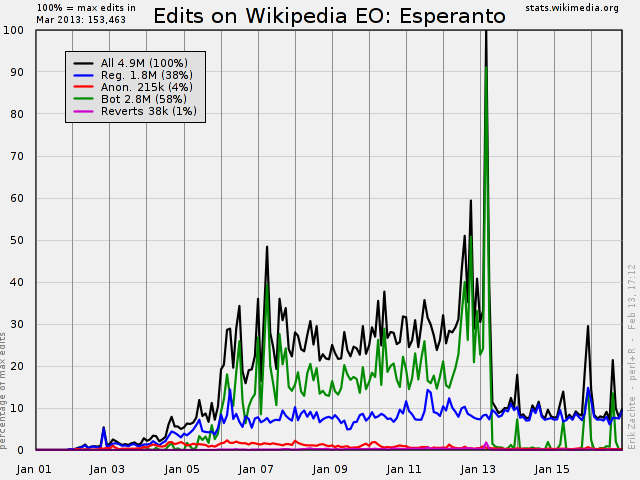 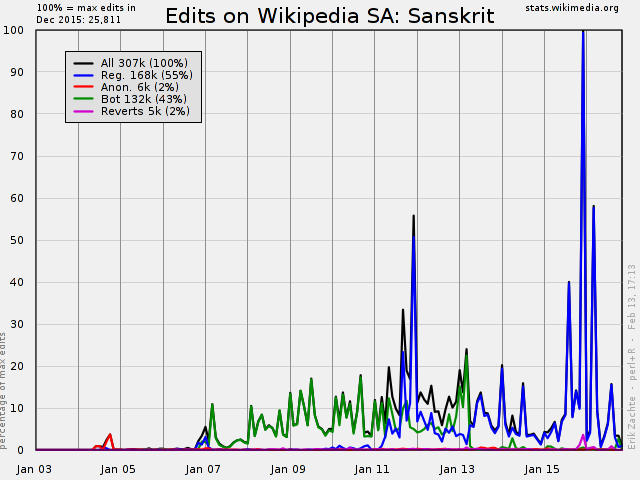 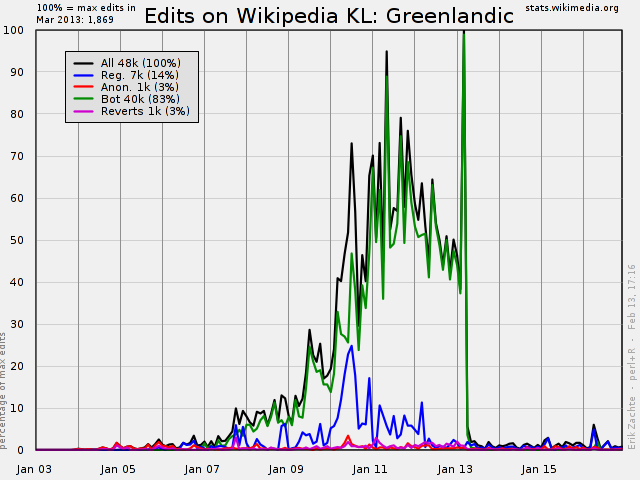 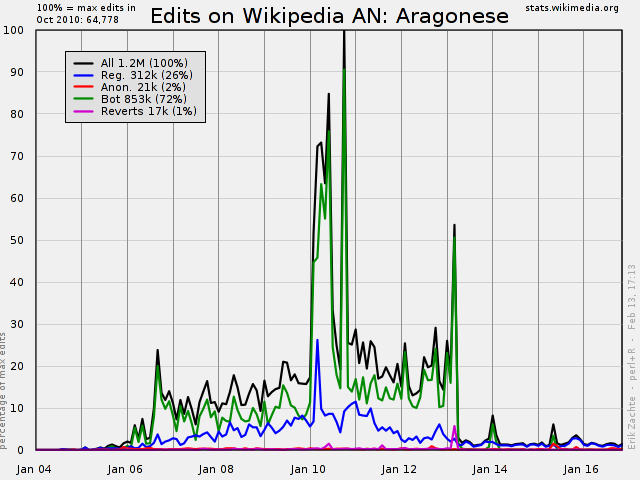 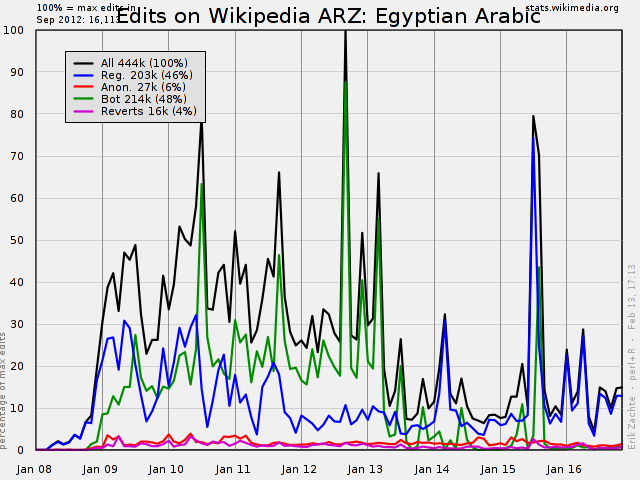 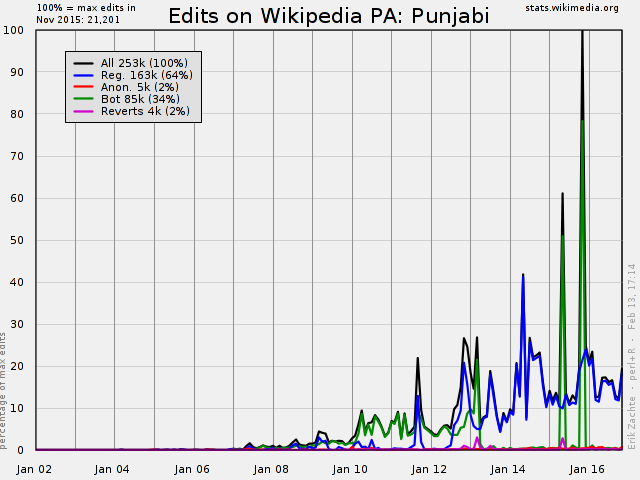 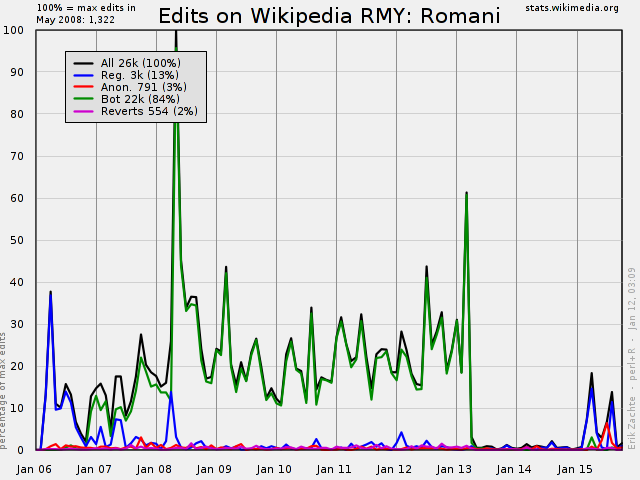 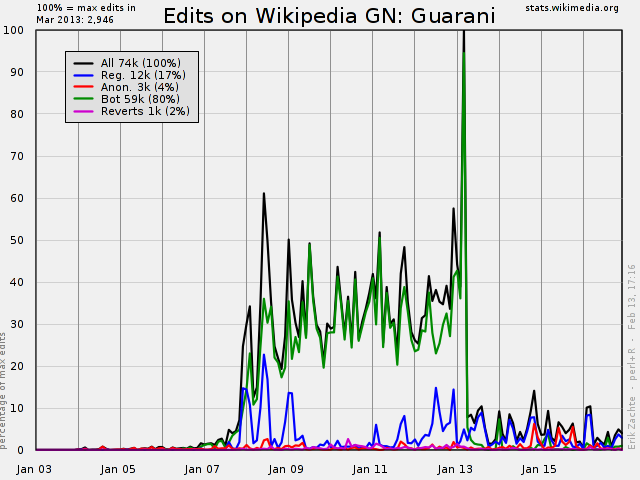 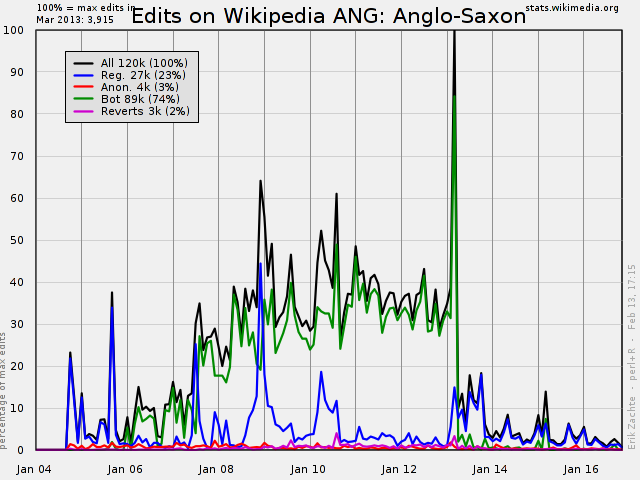 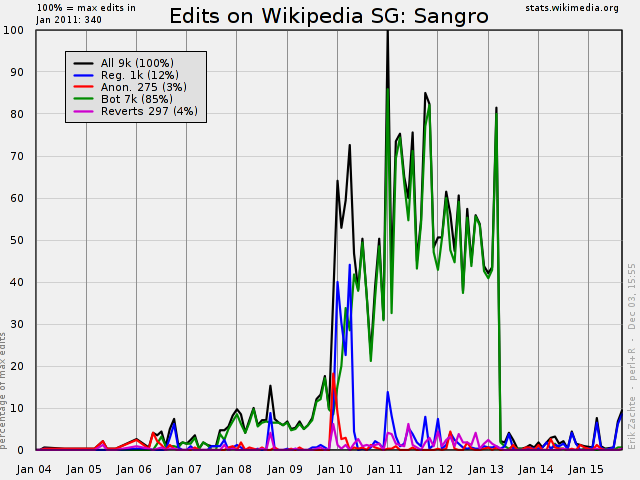 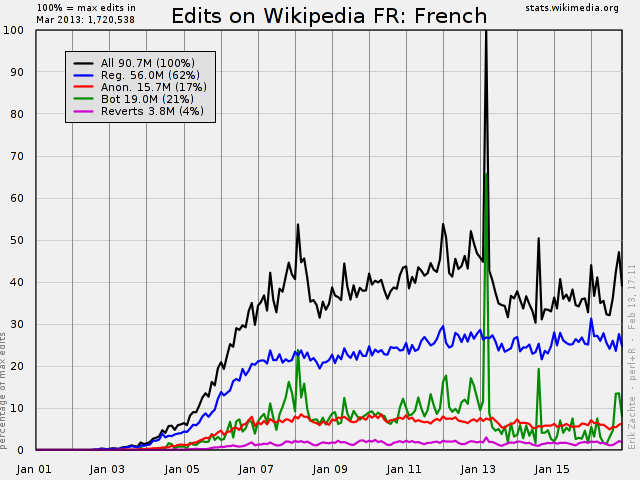 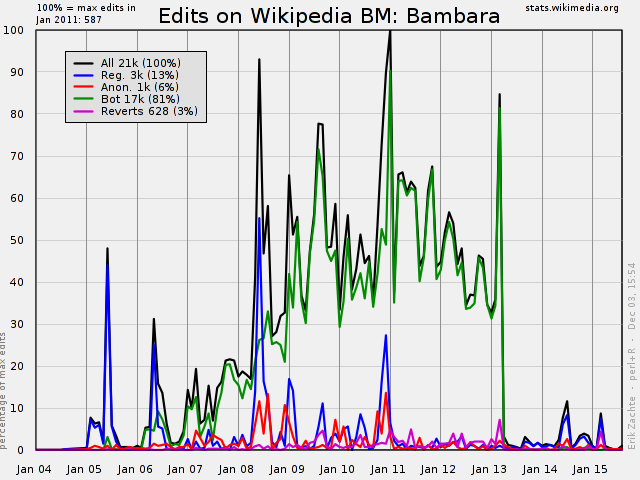 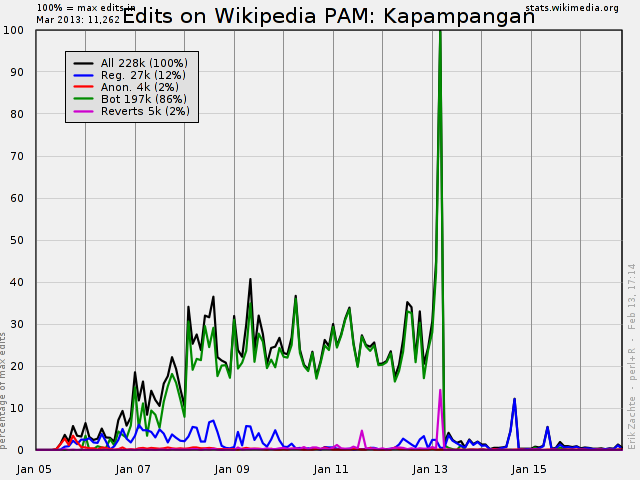 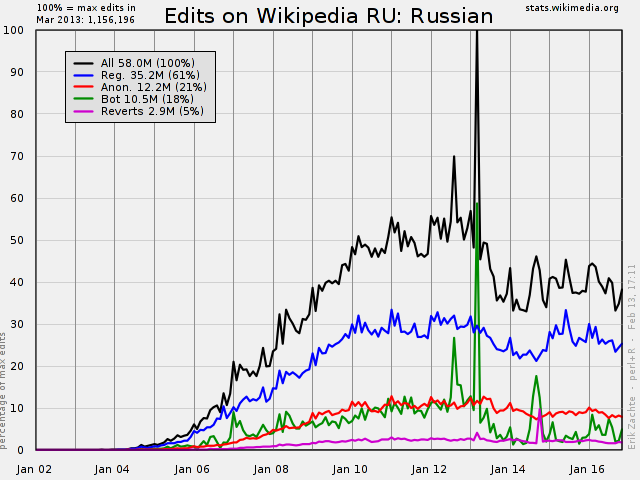 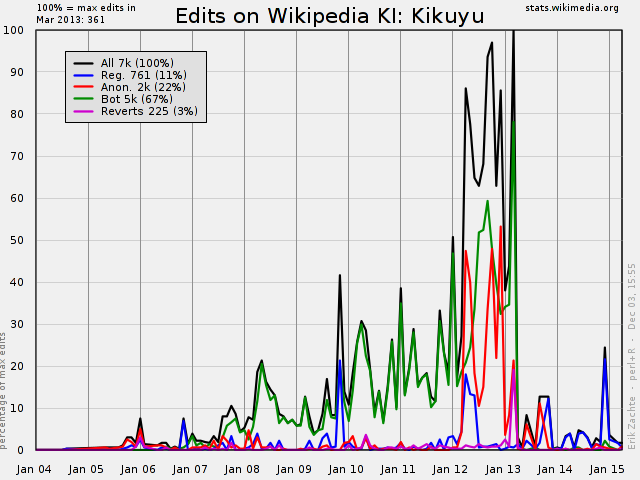 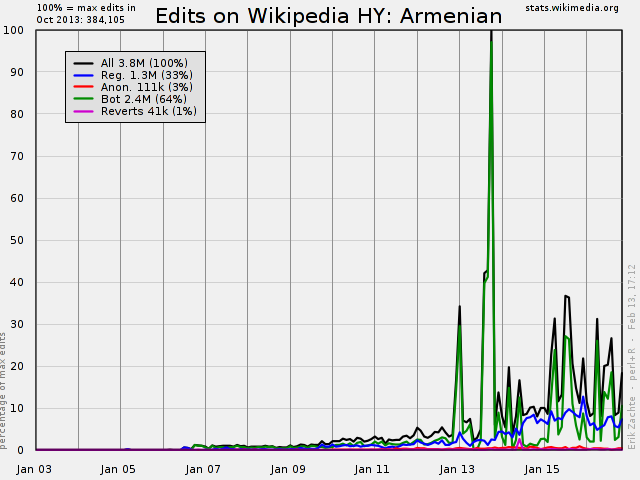 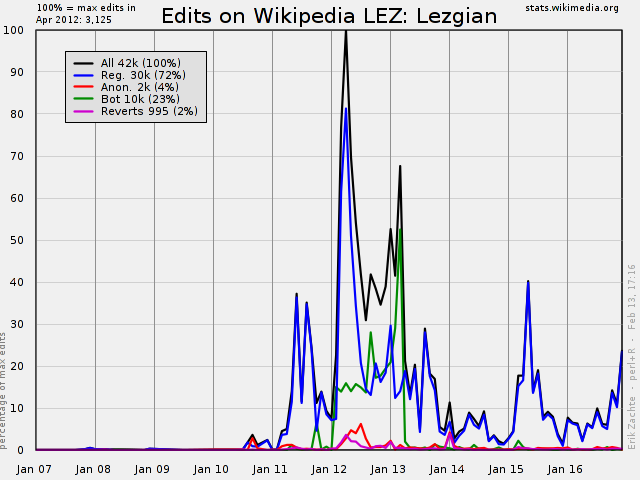 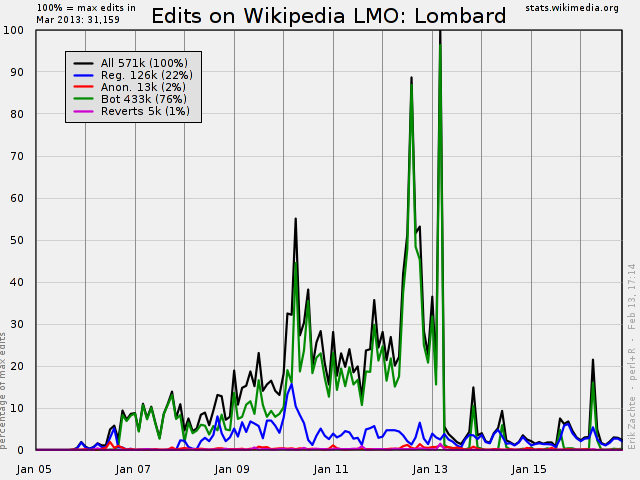 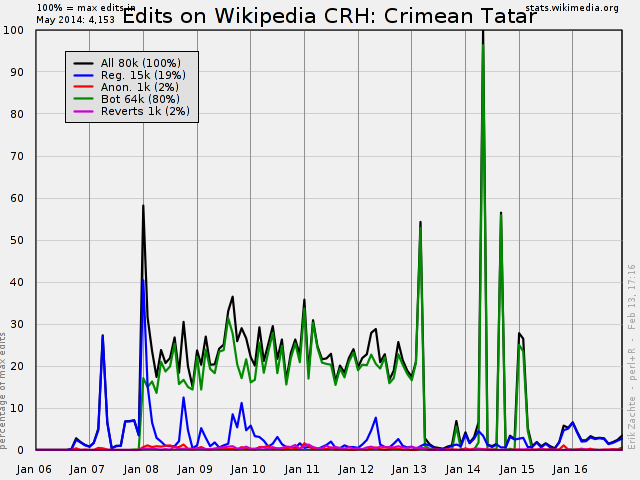 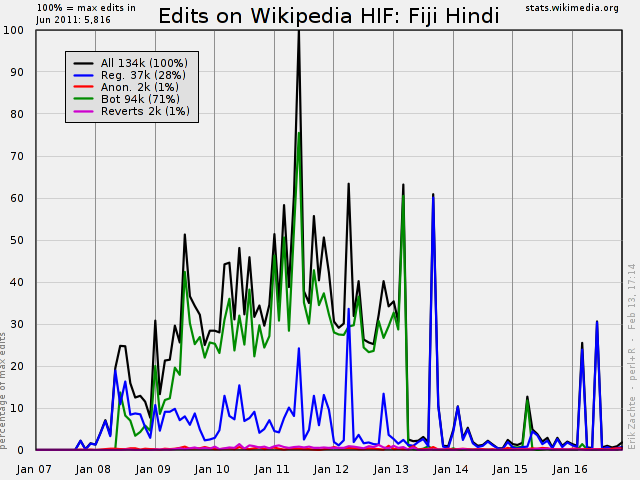 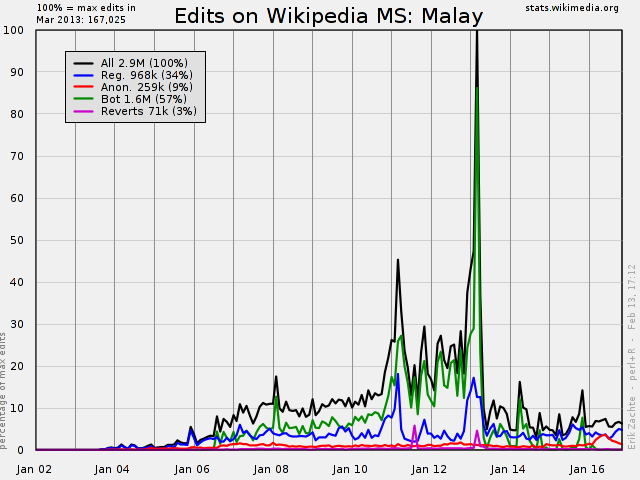 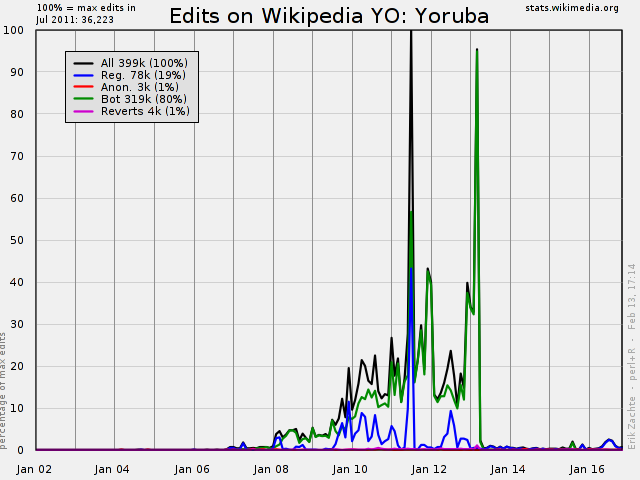 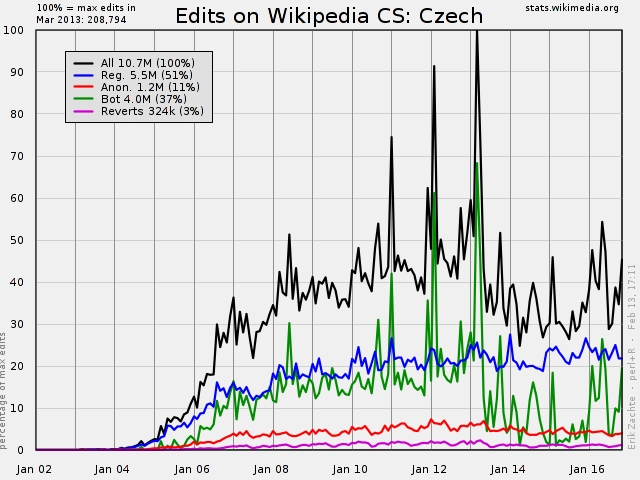 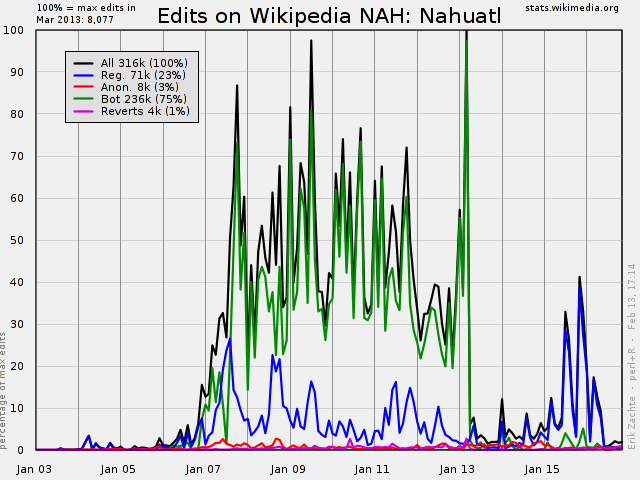 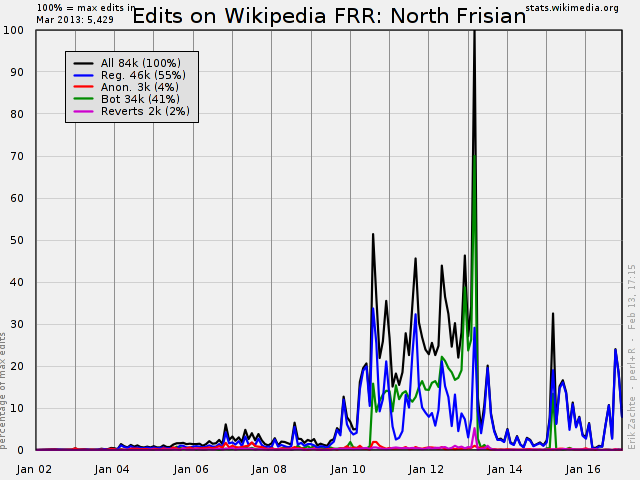 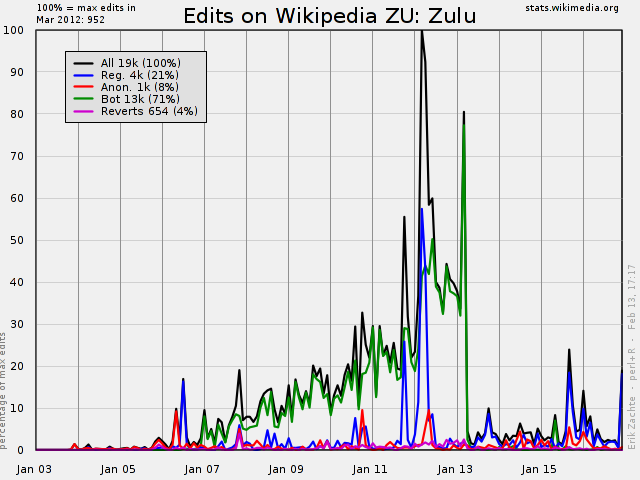 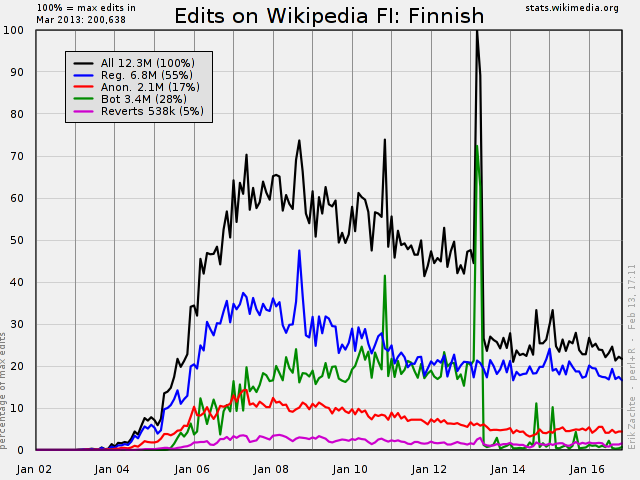 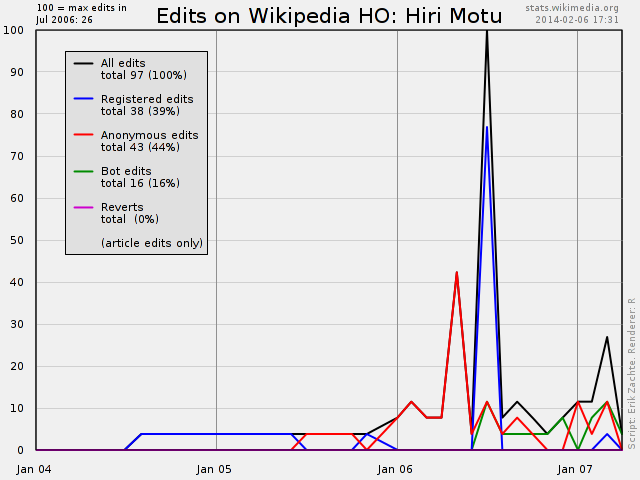 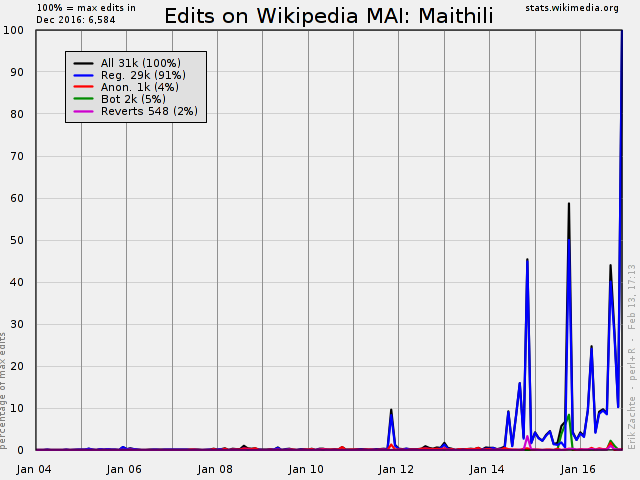 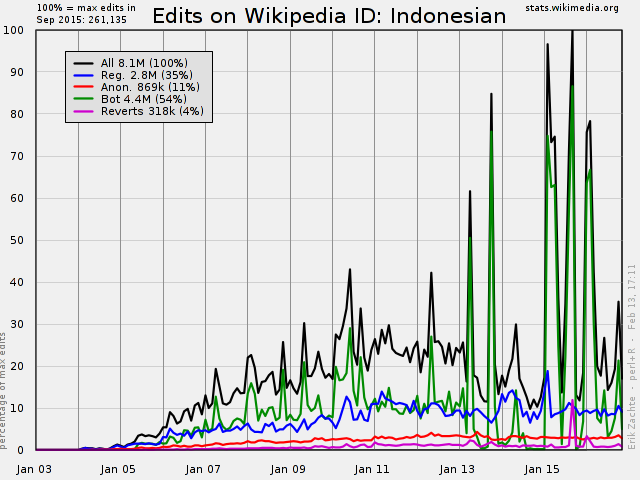 Sometimes several edits are undone with one revert (see trends report per language). 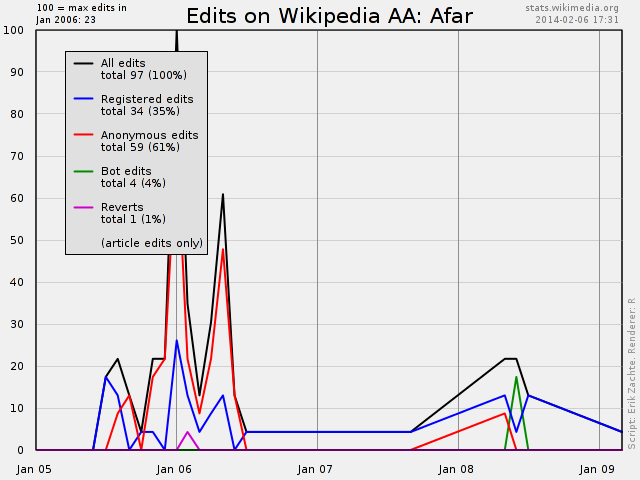 is this a reverted user edit (reg/anon) or a reverted bot edit? 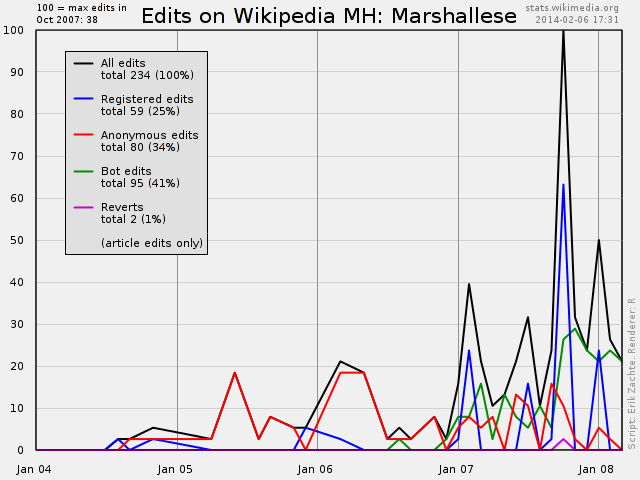 Generated on Monday February 13, 2017 17:17 from recent database dump files. 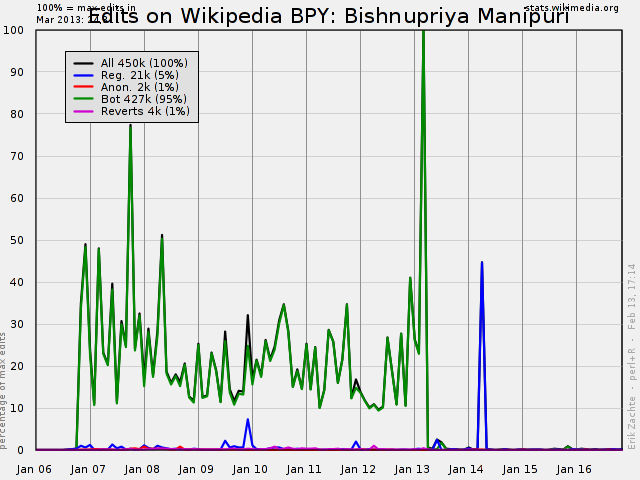 Please note that the lengthy dump process (many weeks) means a delay in publishing these statistics is always to be expected.